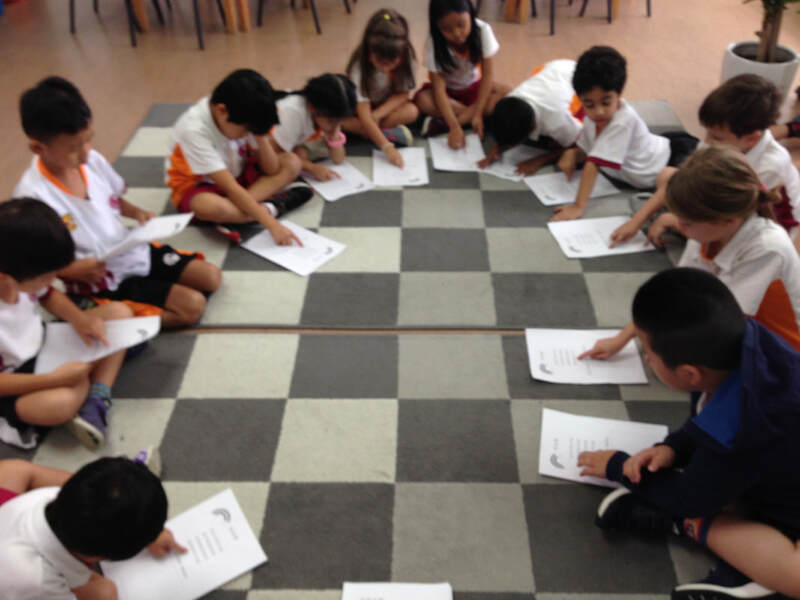 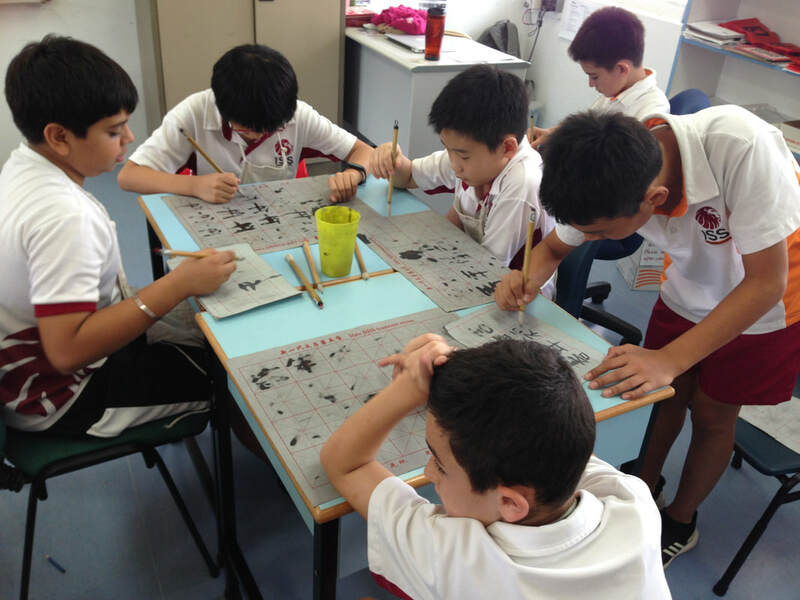 G2 students has explored the ancient Chinese civilization by learning Chinese calligraphy. 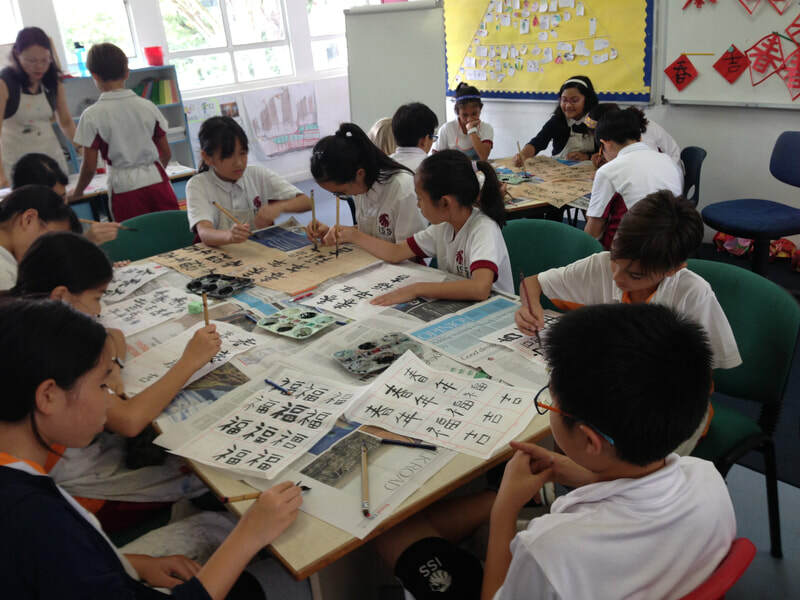 G3 and G4 students has practised read the date in Mandarin. 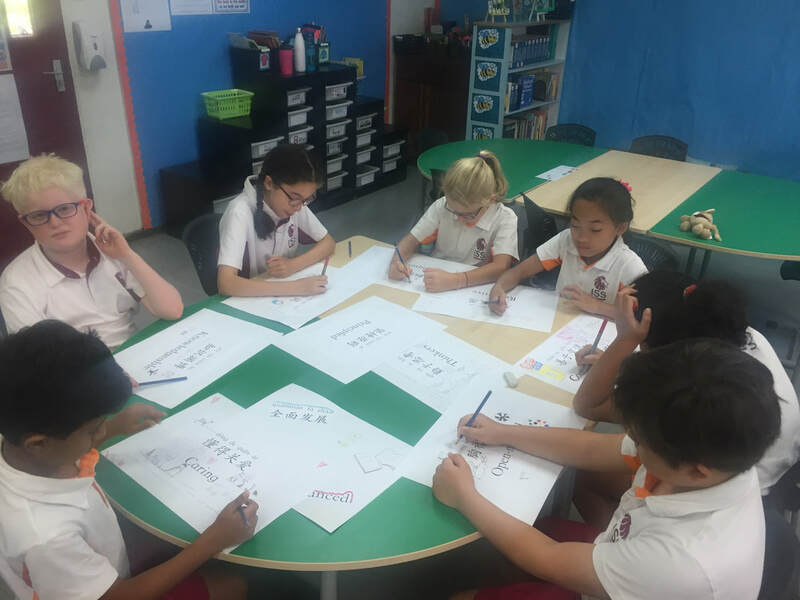 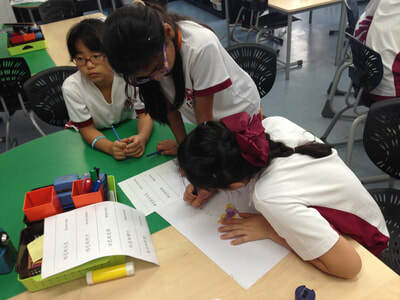 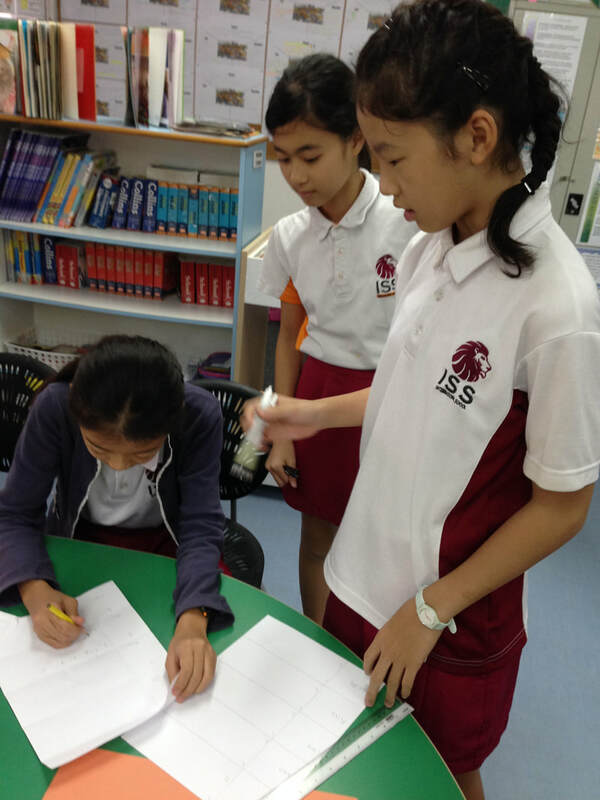 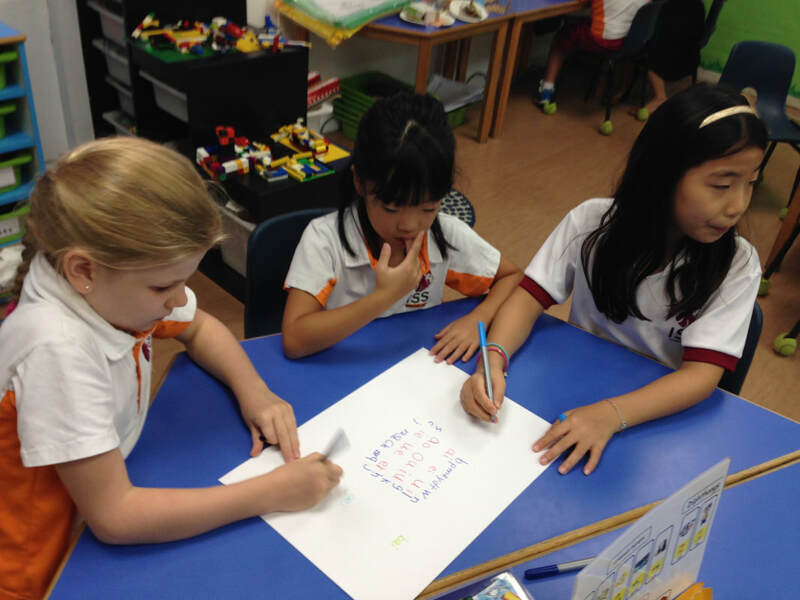 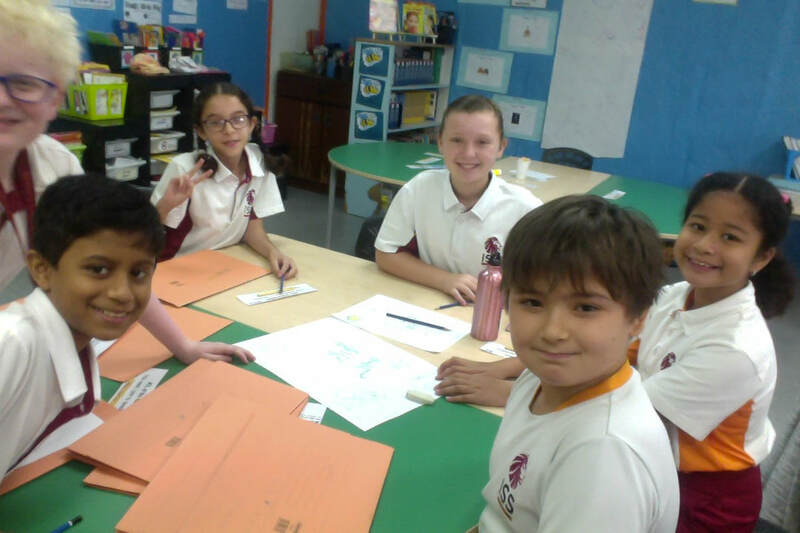 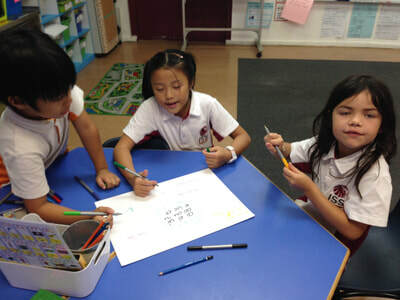 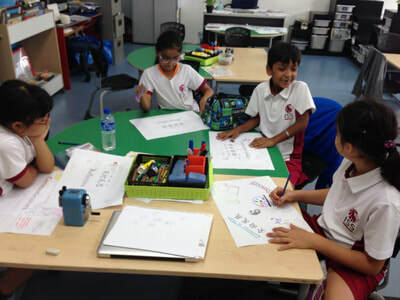 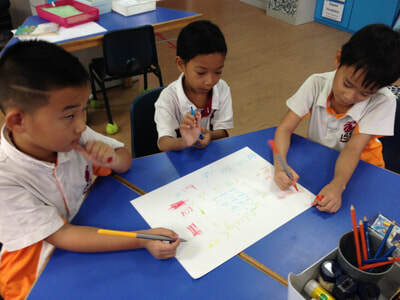 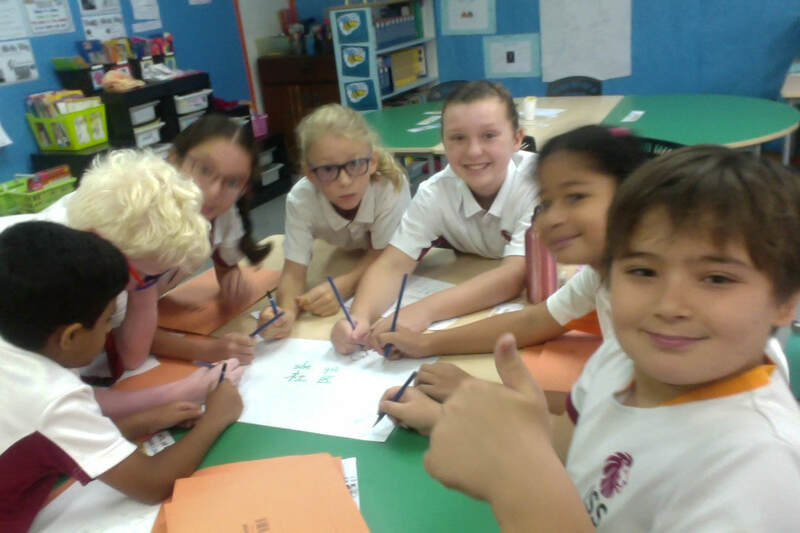 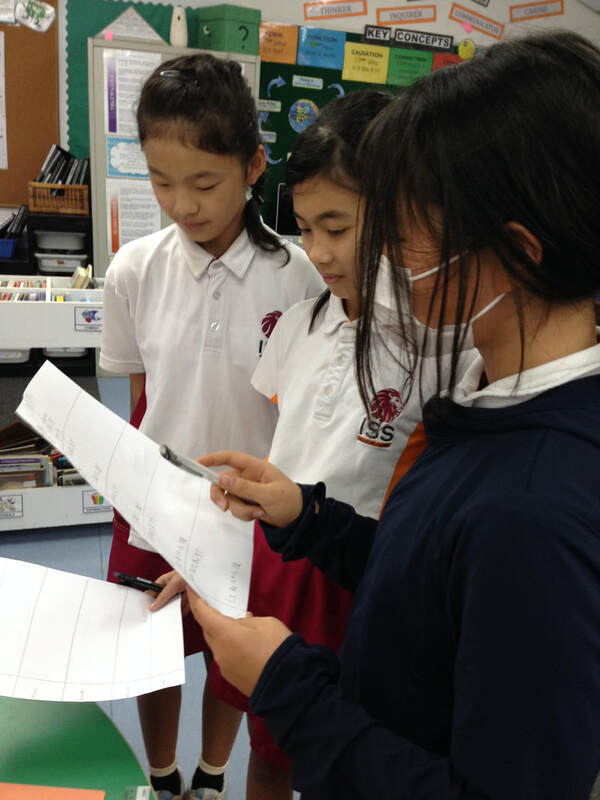 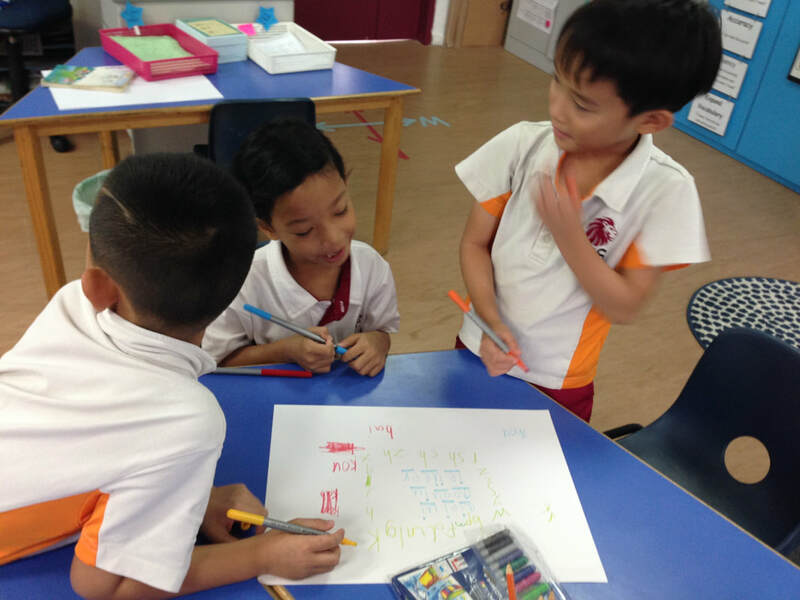 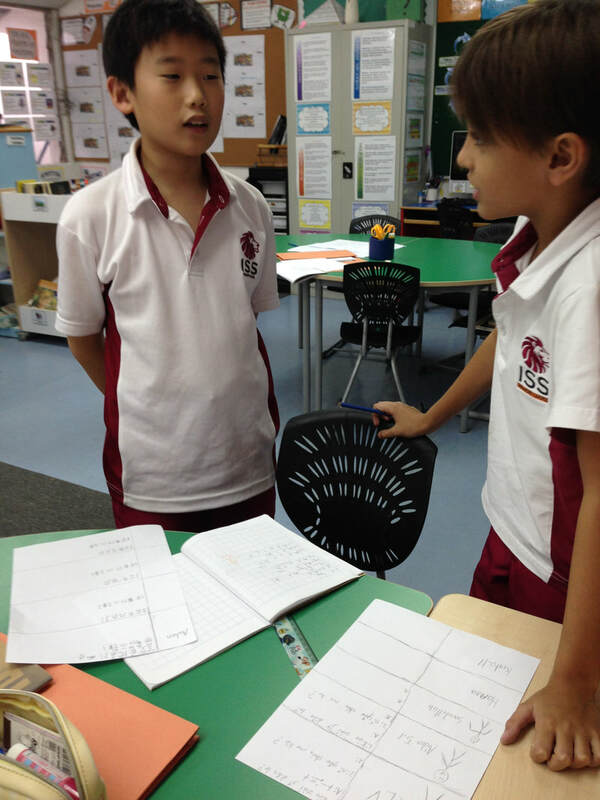 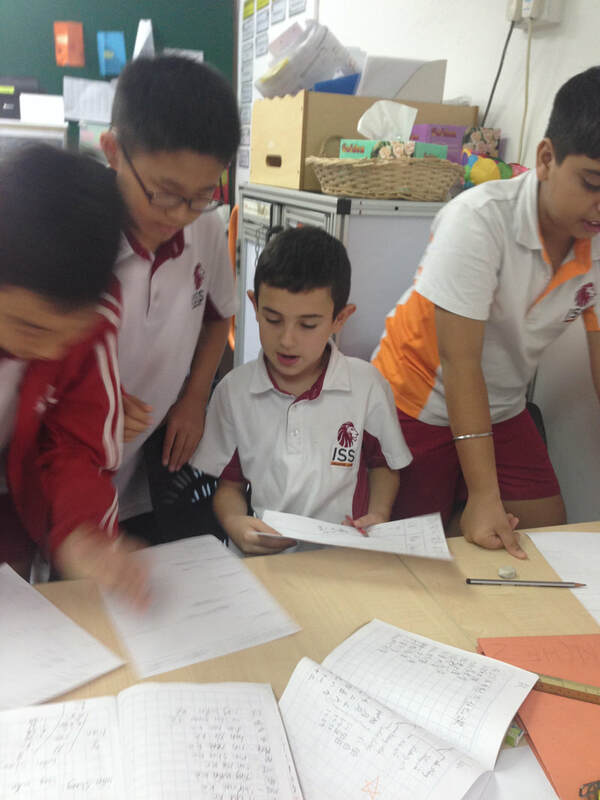 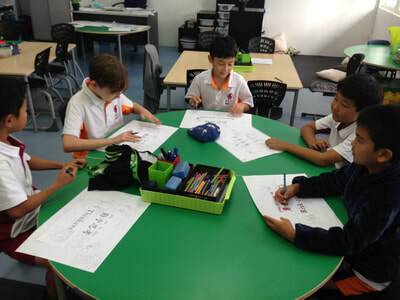 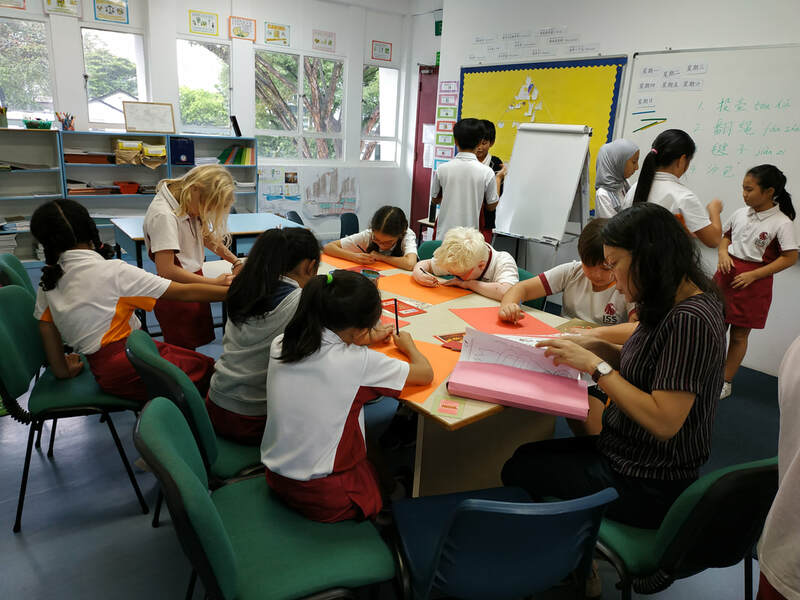 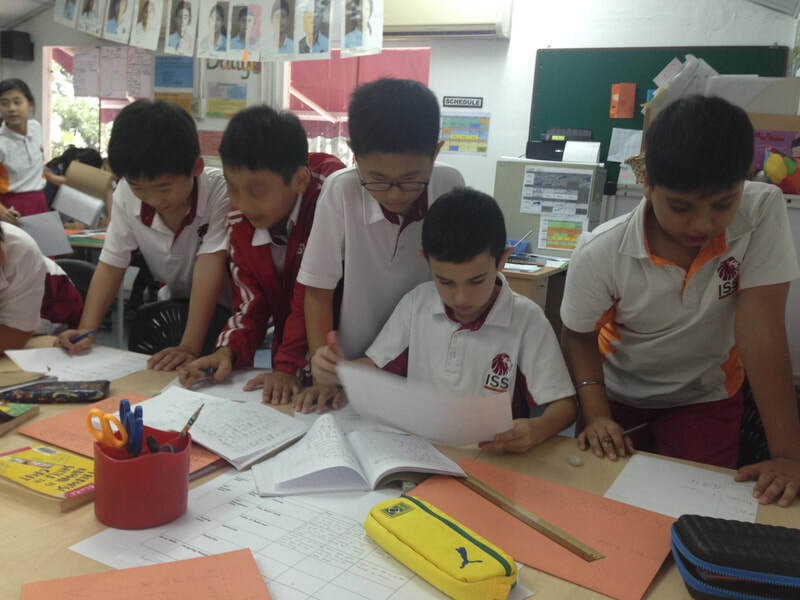 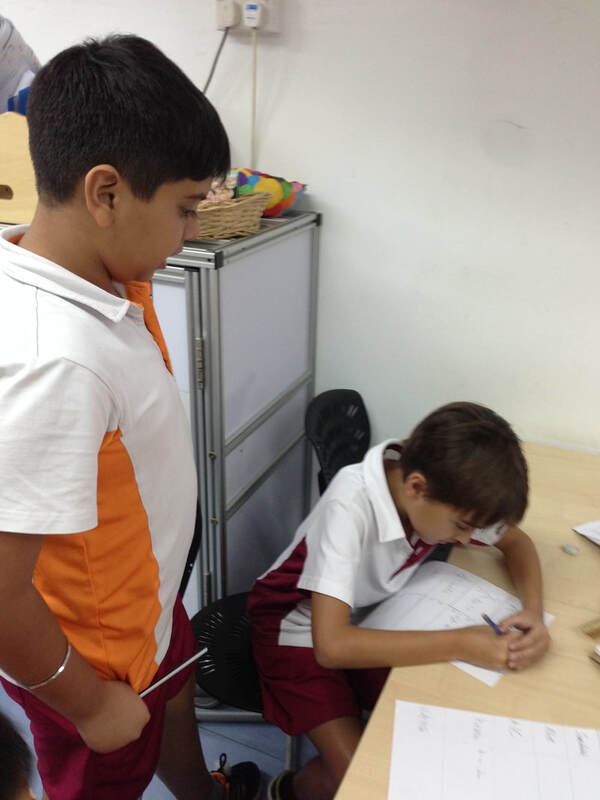 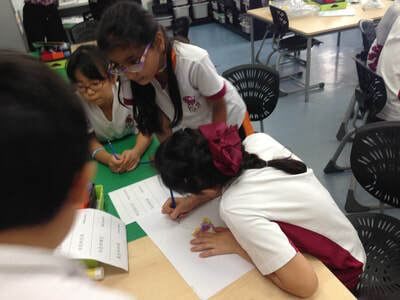 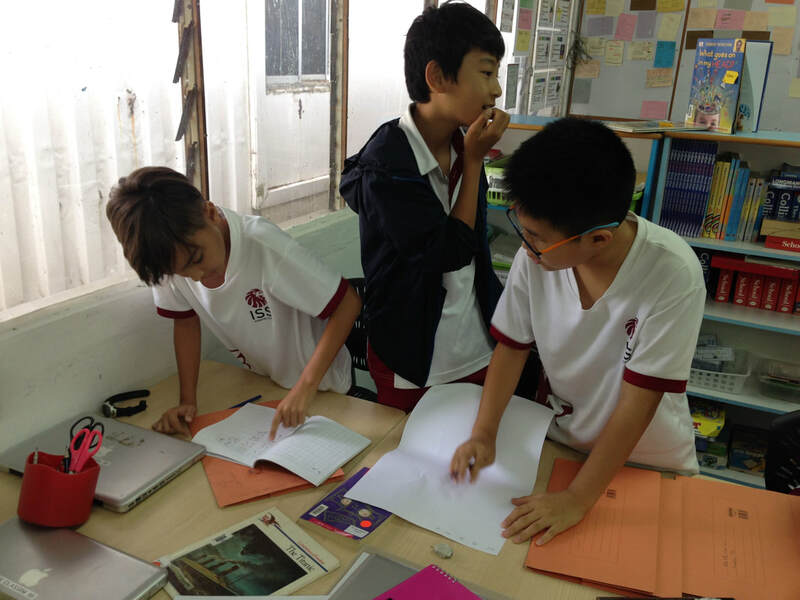 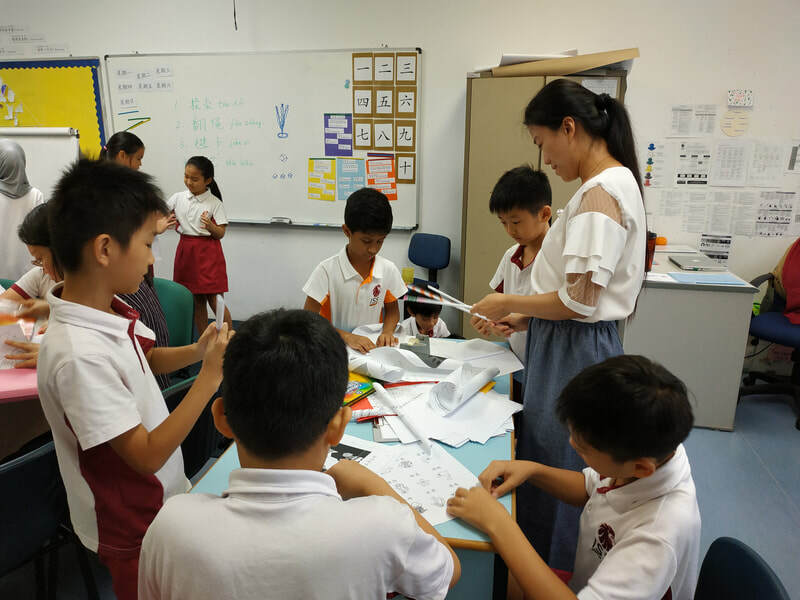 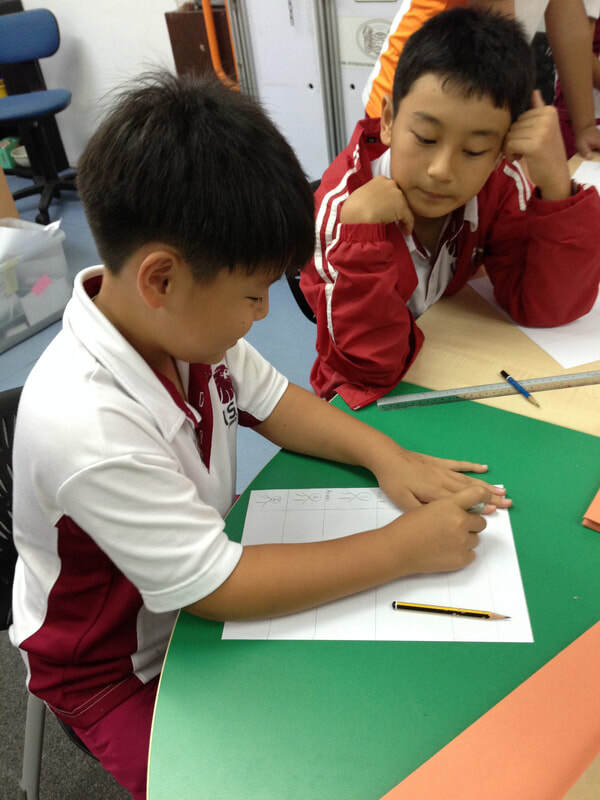 Group working: G5 students has explored how to write Pinyin. 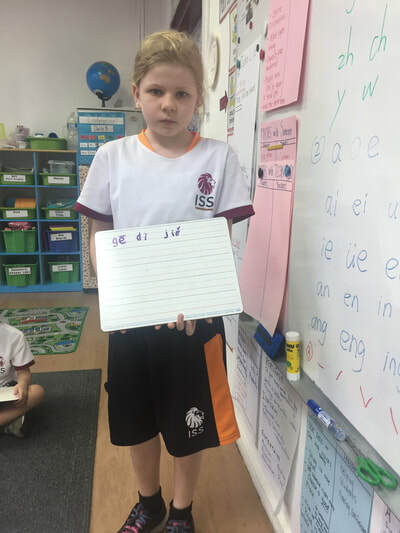 Unit 4 Week 1 Blog Welcome back to school. 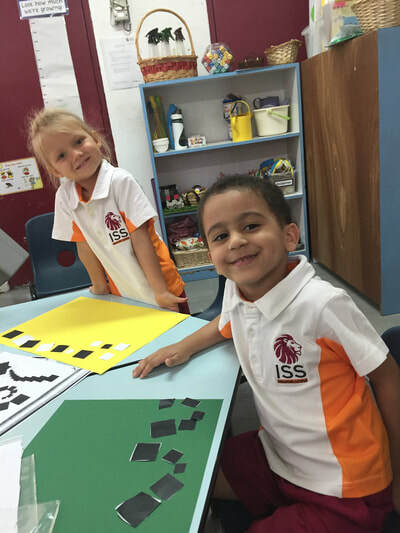 Welcome new students. 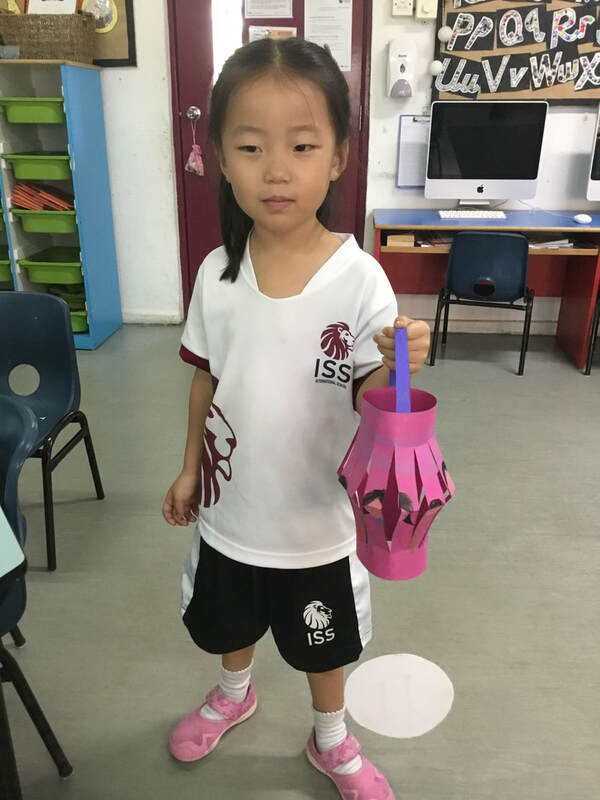 Story-<xiao ji zhao ma ma>. 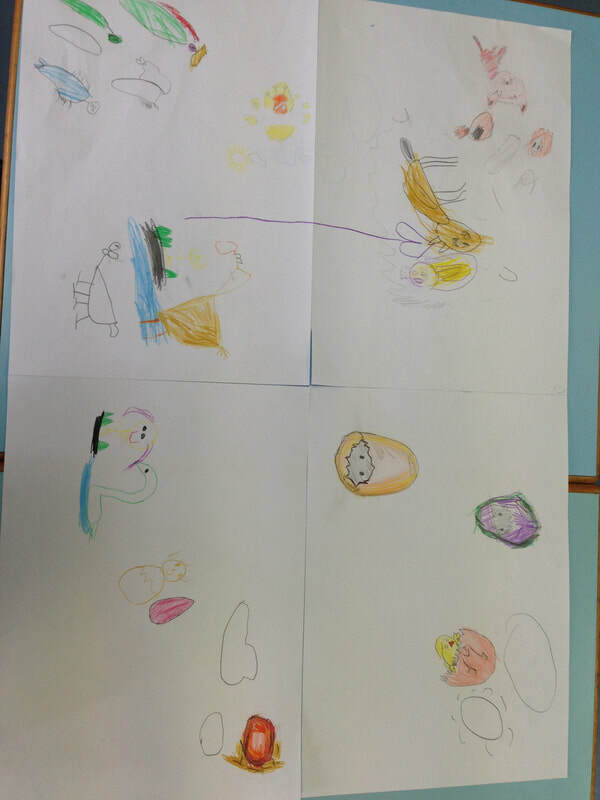 K1 Children retold the story based on their drawing. 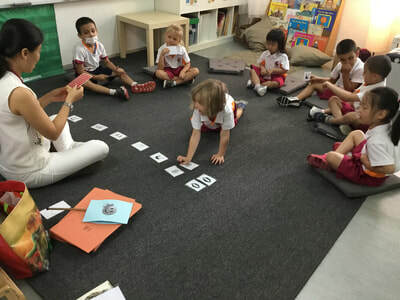 K2 Children are learning the story- 'three little pigs'. 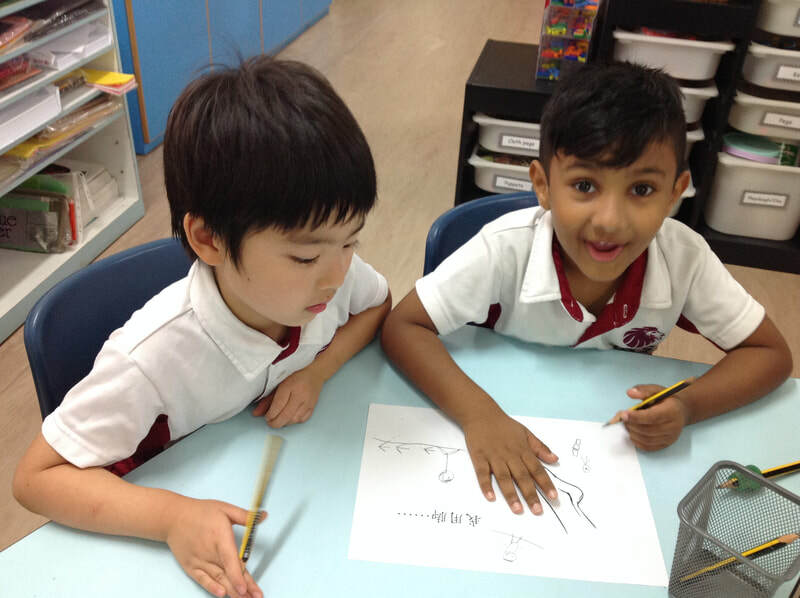 They are trying to retell the story by using sentences from the storybook. Seasons in the world. 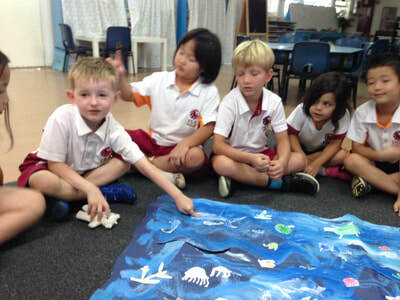 G1 students shared what season is it now in their country. 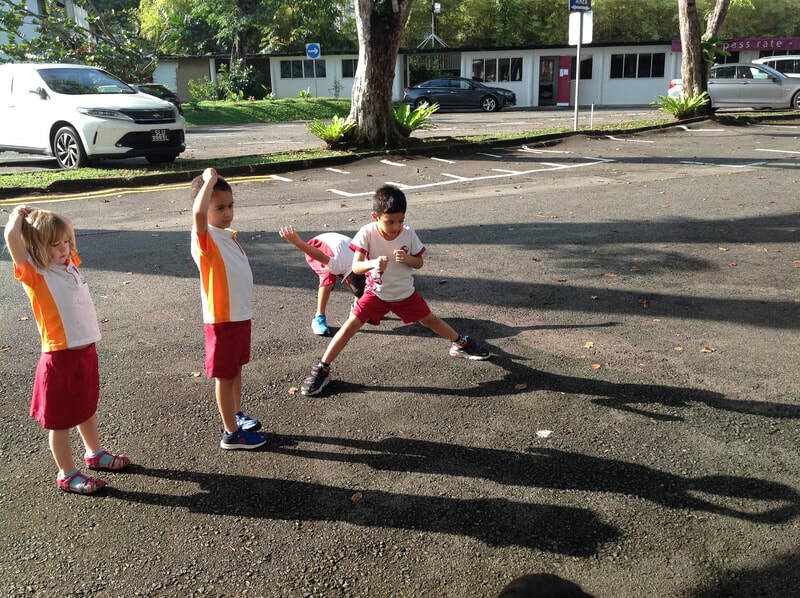 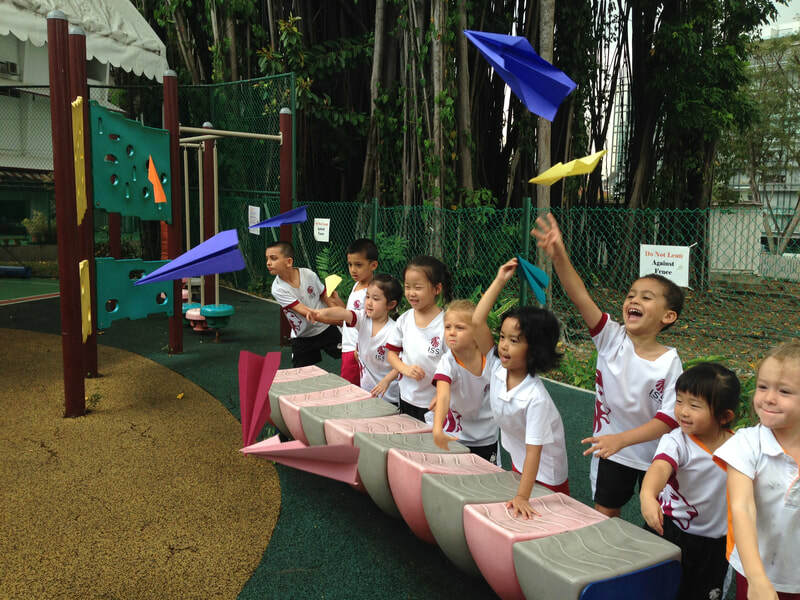 K1 children were learning vocabularies of movement. 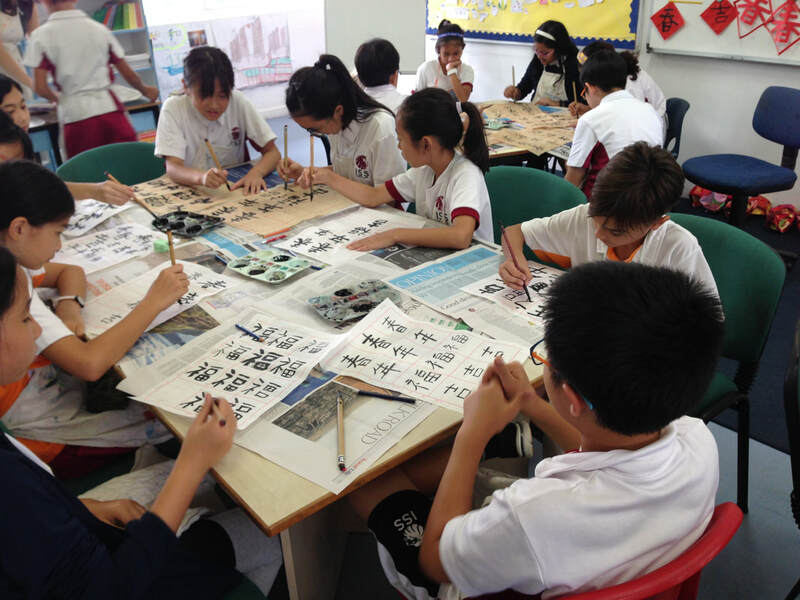 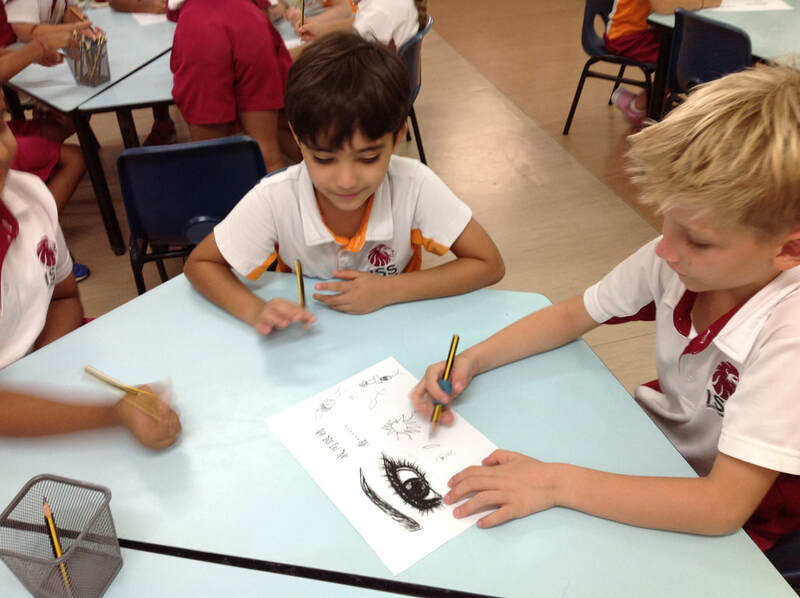 G5 students has explored Chinese calligraphy. 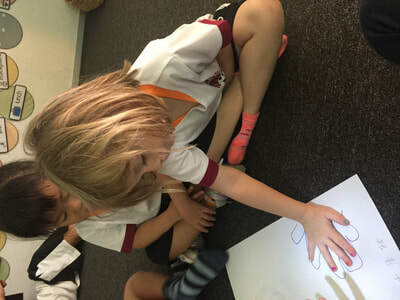 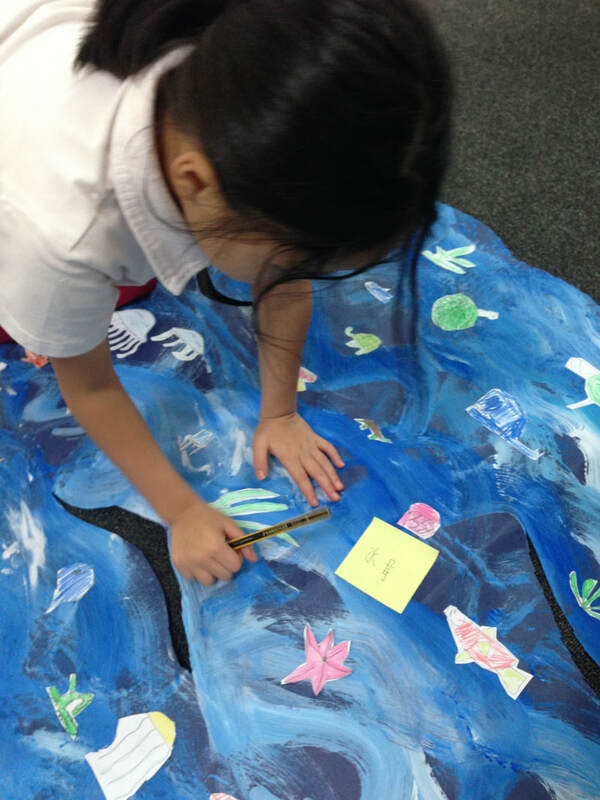 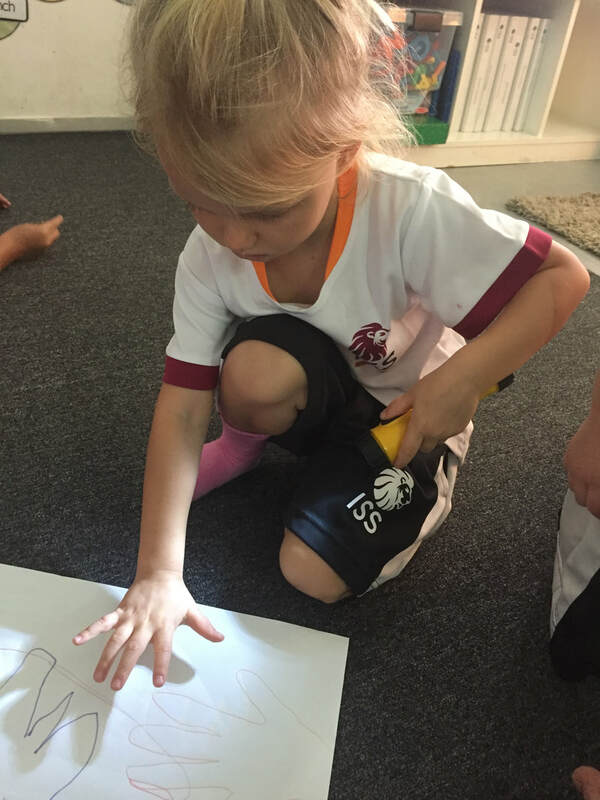 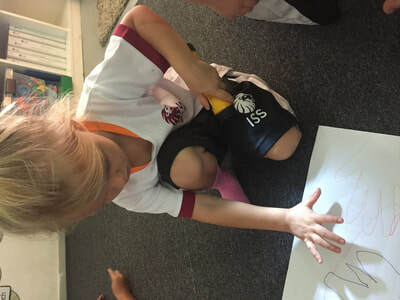 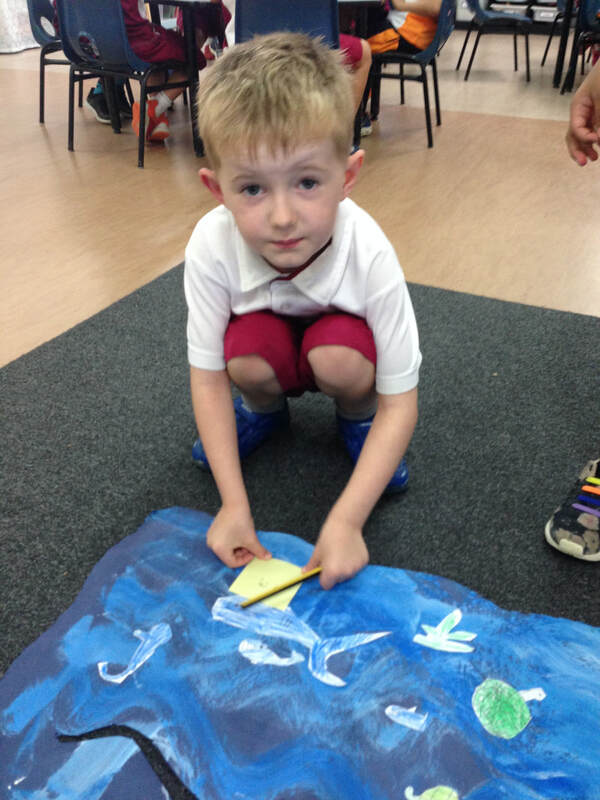 K2 How to express ourselves- K2 Children shared their ideas of what we can do with our body. 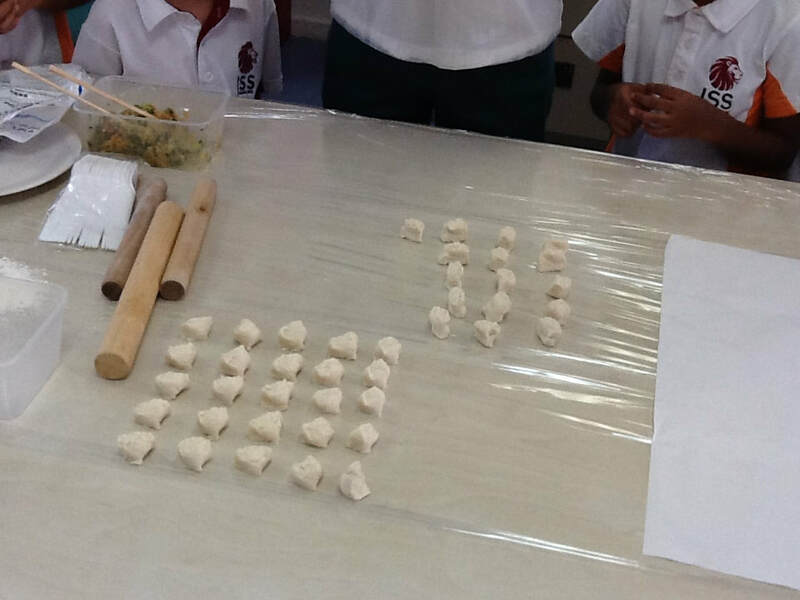 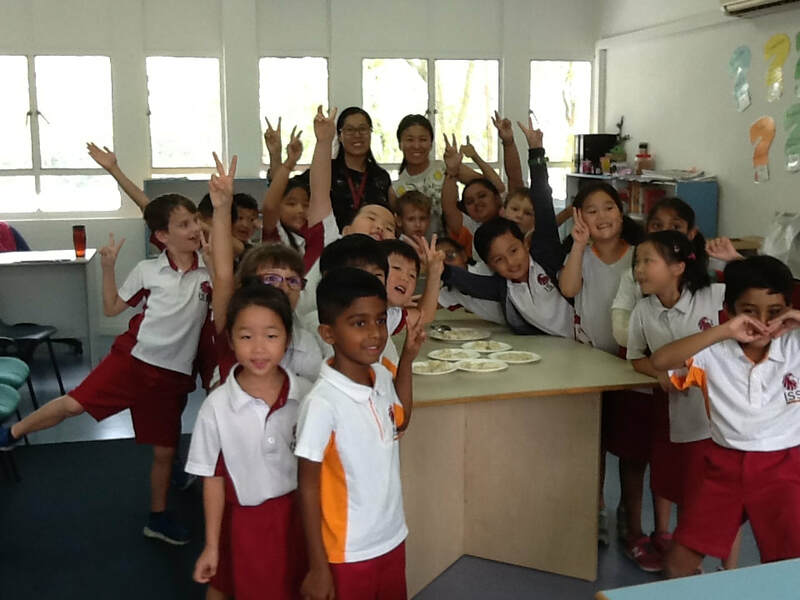 To support G1 students to understand their central idea of this unit, we made dumpling on Friday. 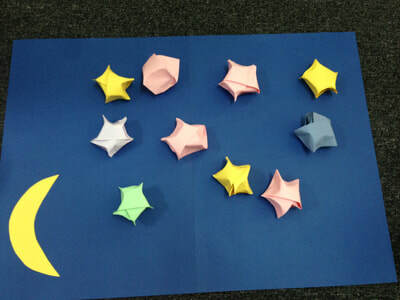 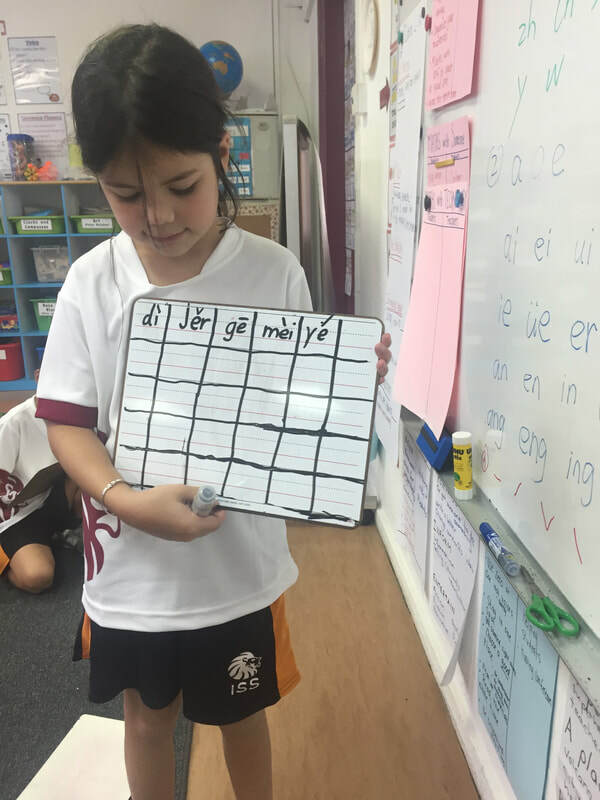 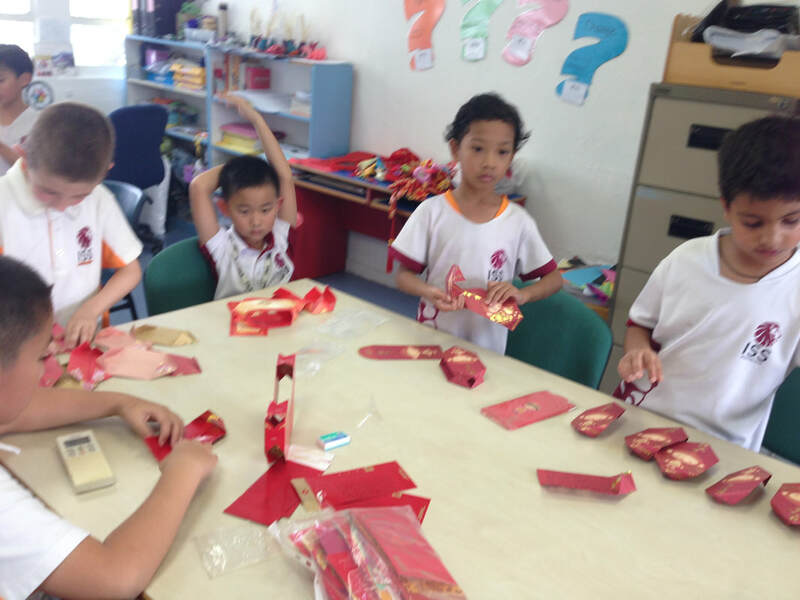 Unit 3 Week 4 Blog Gong xi fa cai, xin chun kuai le! 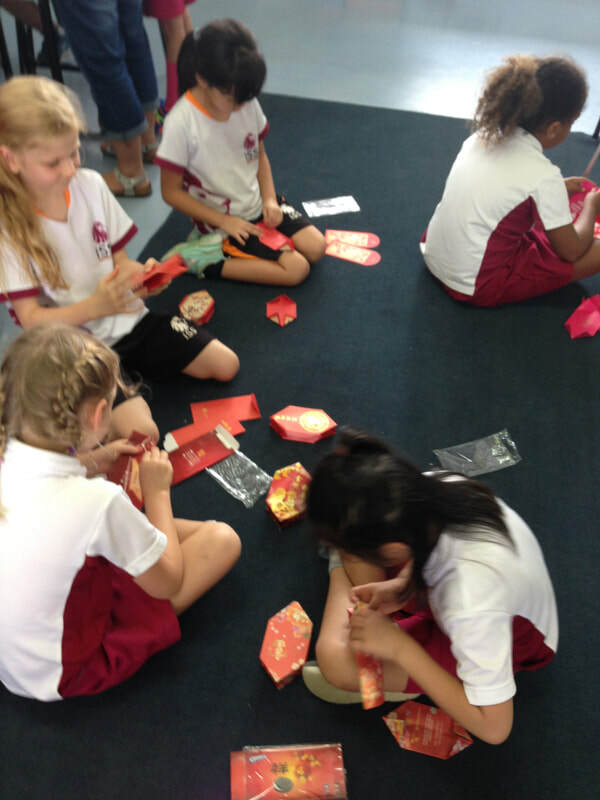 We had a wonderful Chinese New Year assembly. 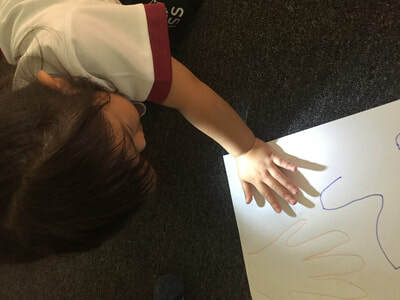 Please check the home page. 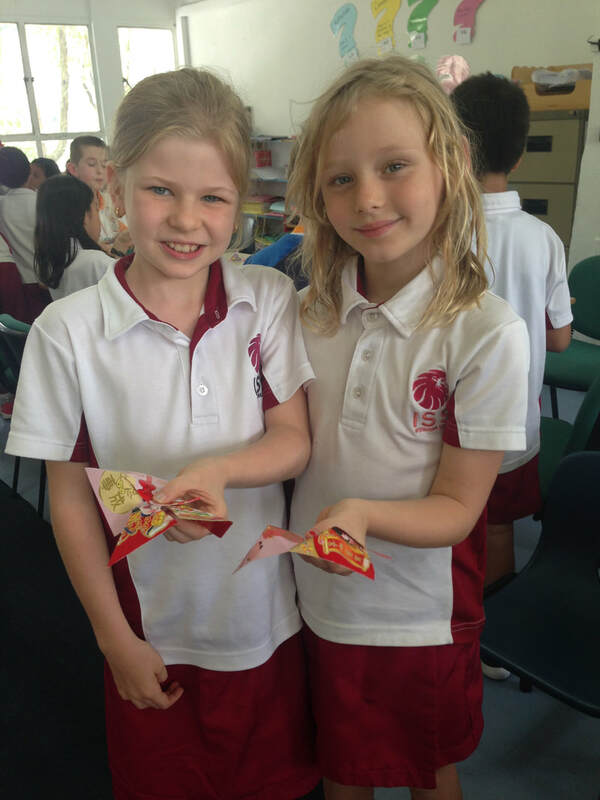 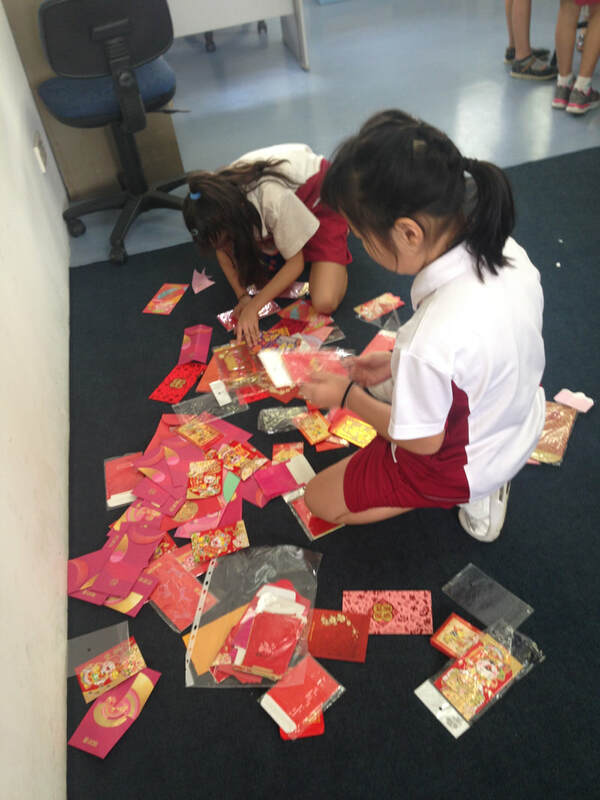 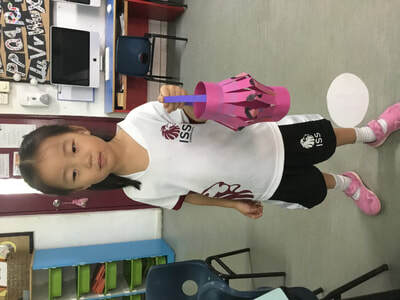 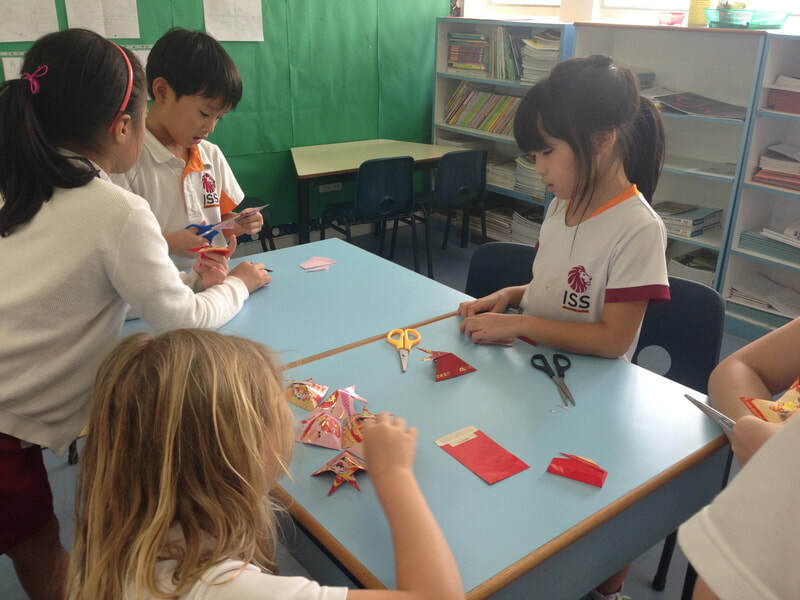 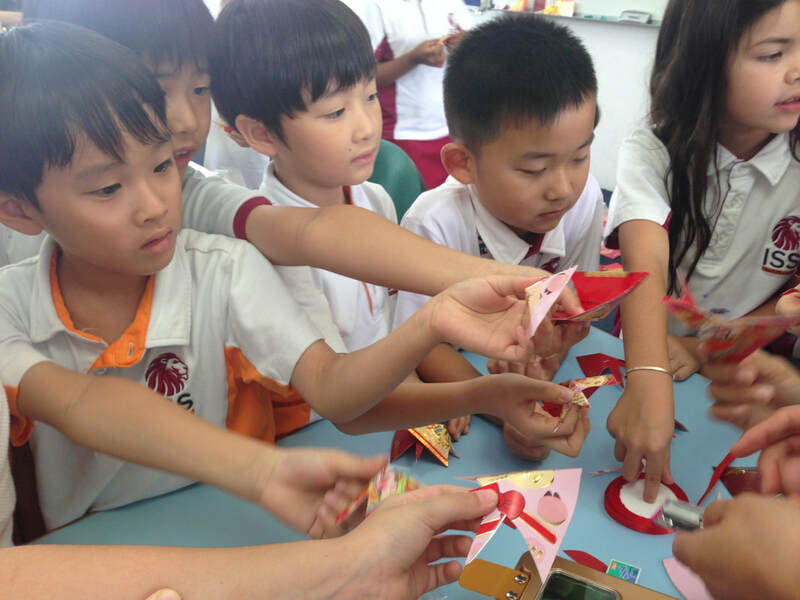 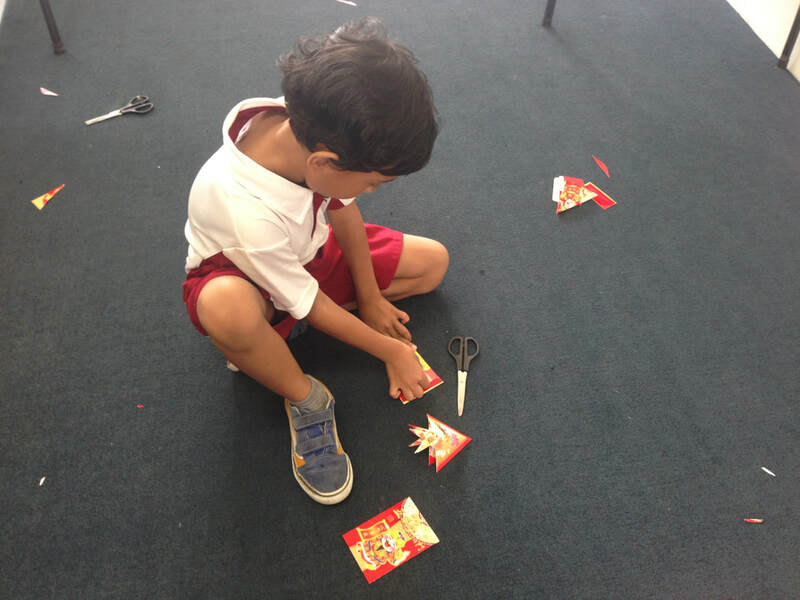 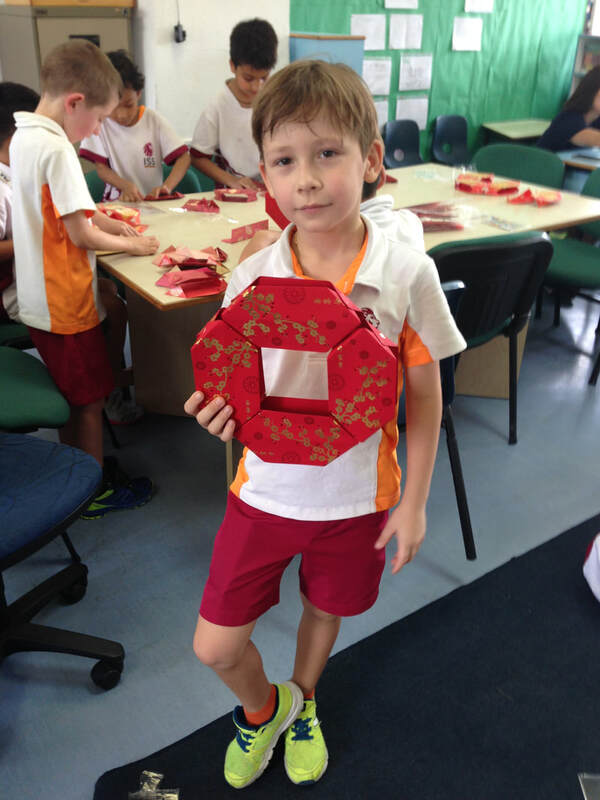 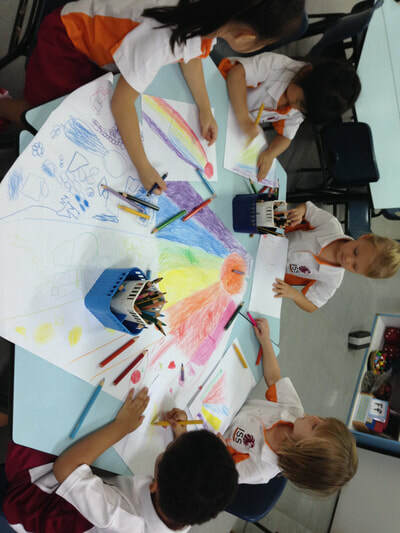 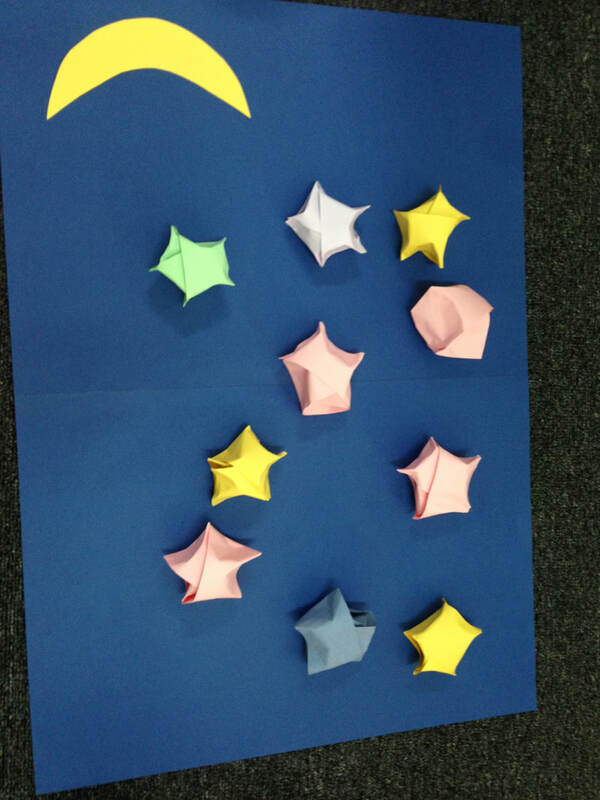 To support their Unit, G2 students have decided to make Chinese new year decorations for their small market. 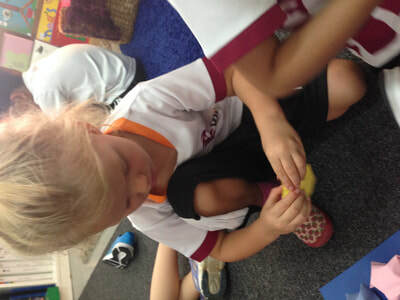 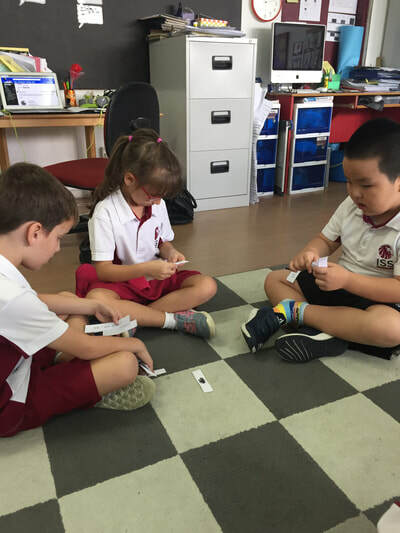 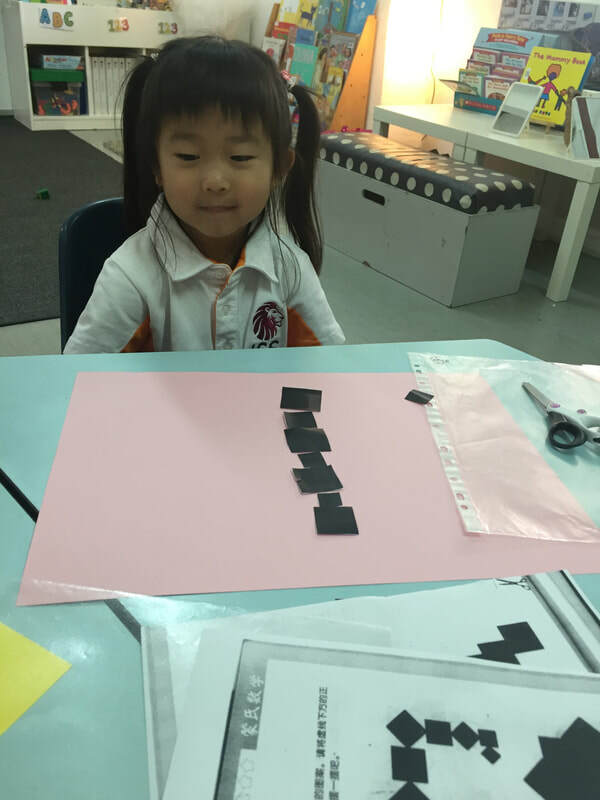 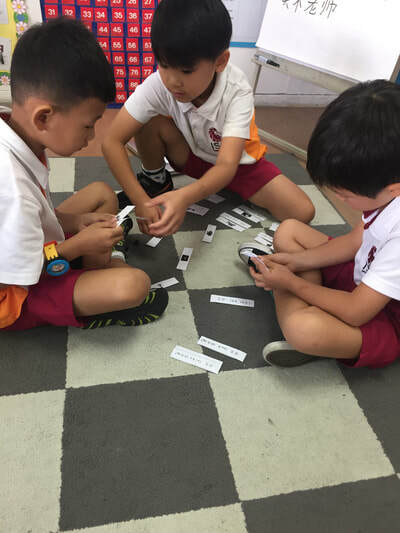 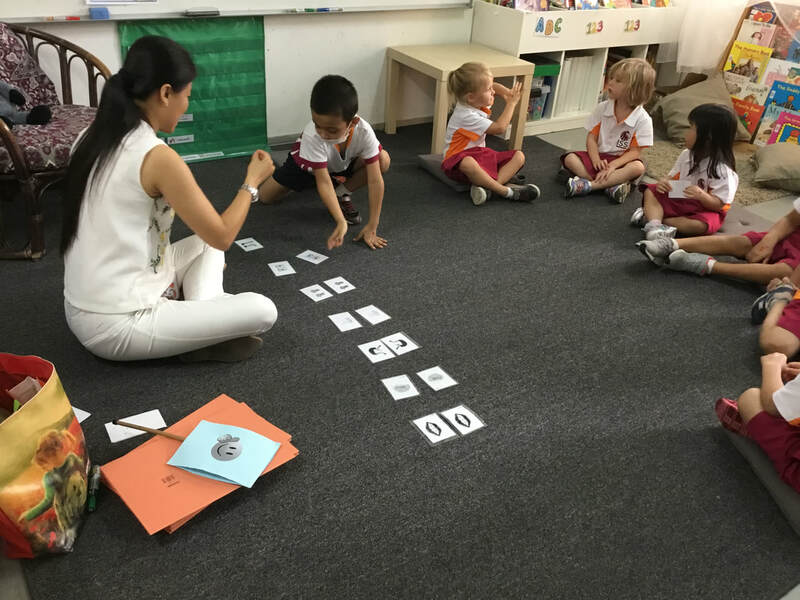 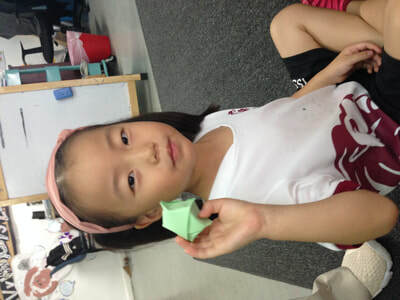 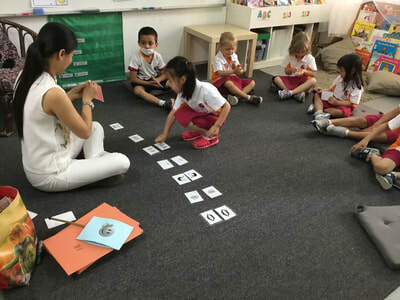 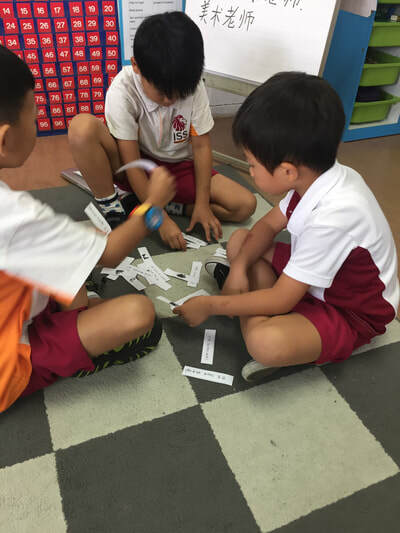 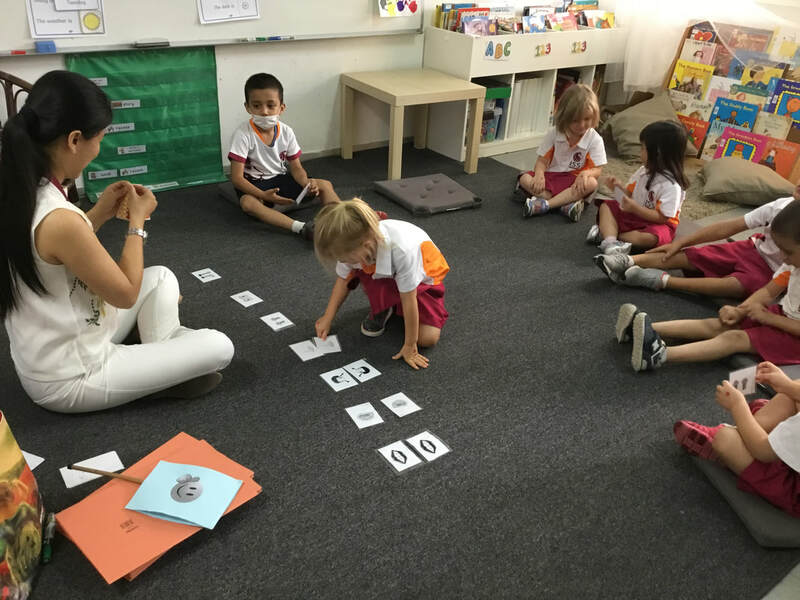 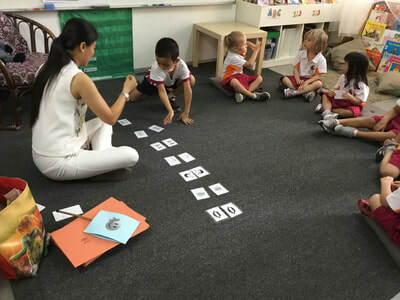 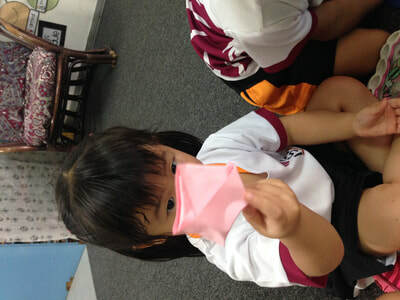 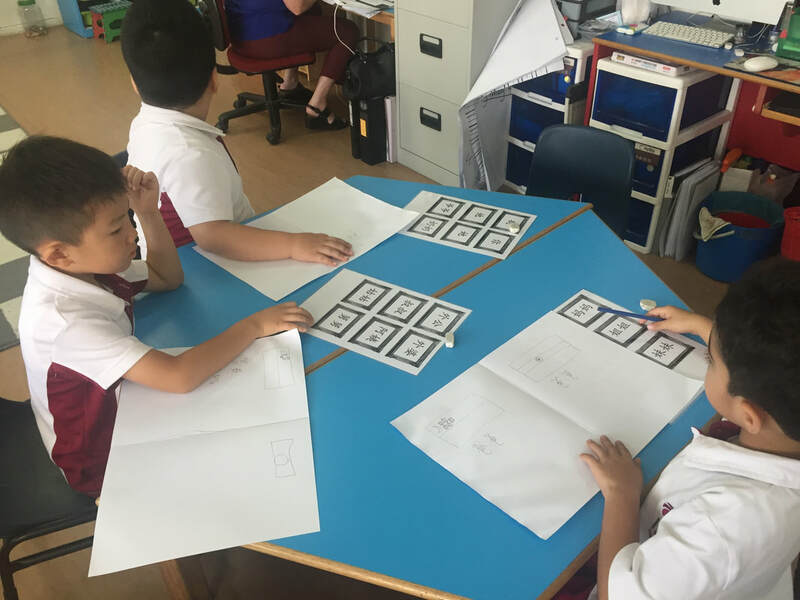 K1 Children have puzzle game in Mandarin class this week. 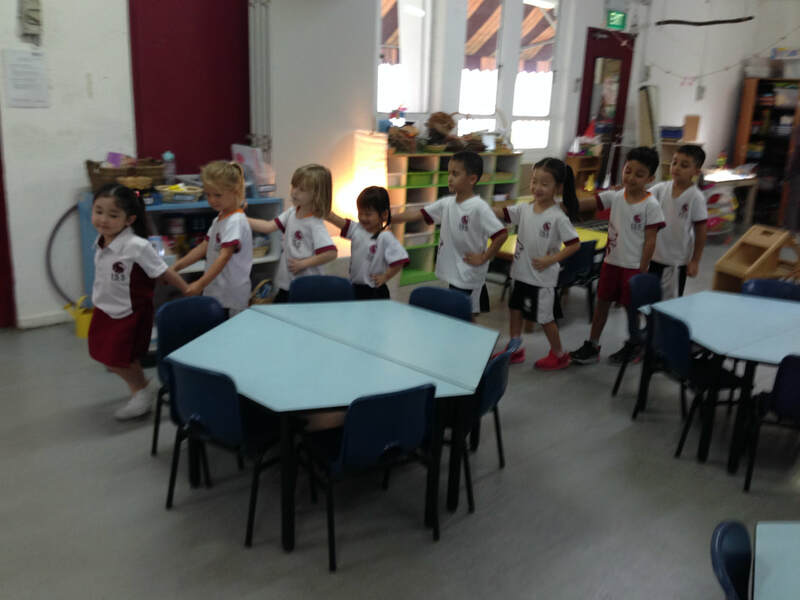 We are learning vocabulary of movement. 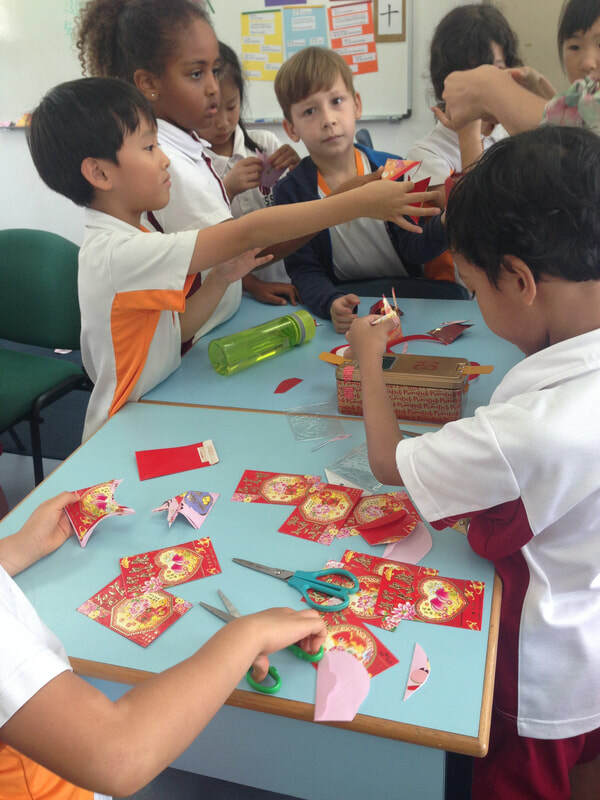 G4 students had a big group activity--- CNY drama 'nian de gu shi'. 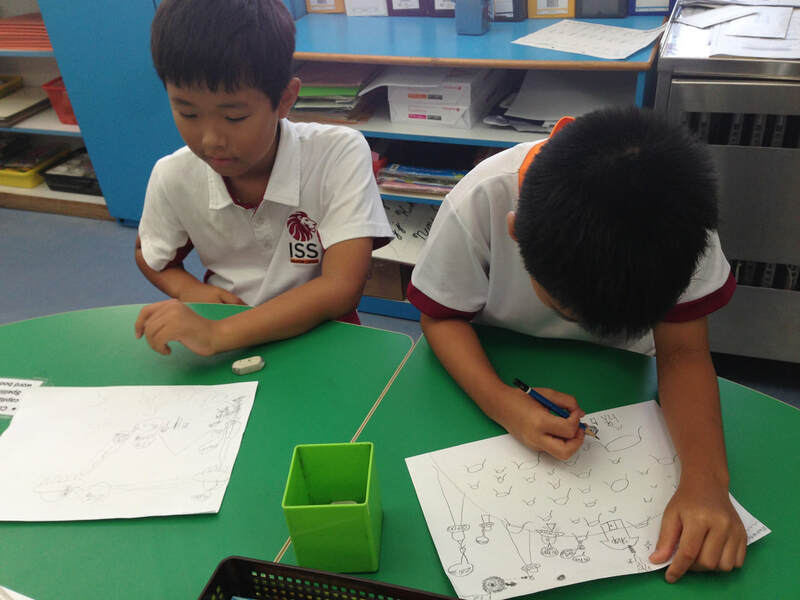 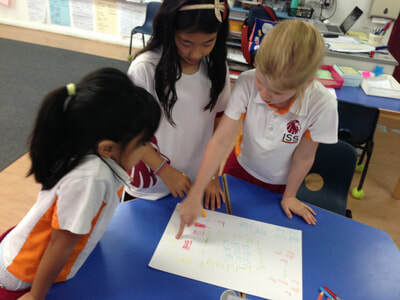 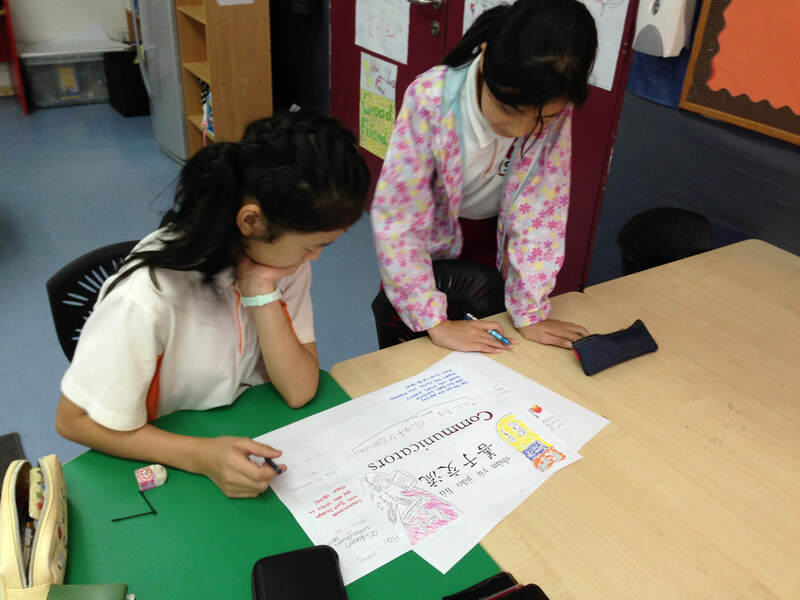 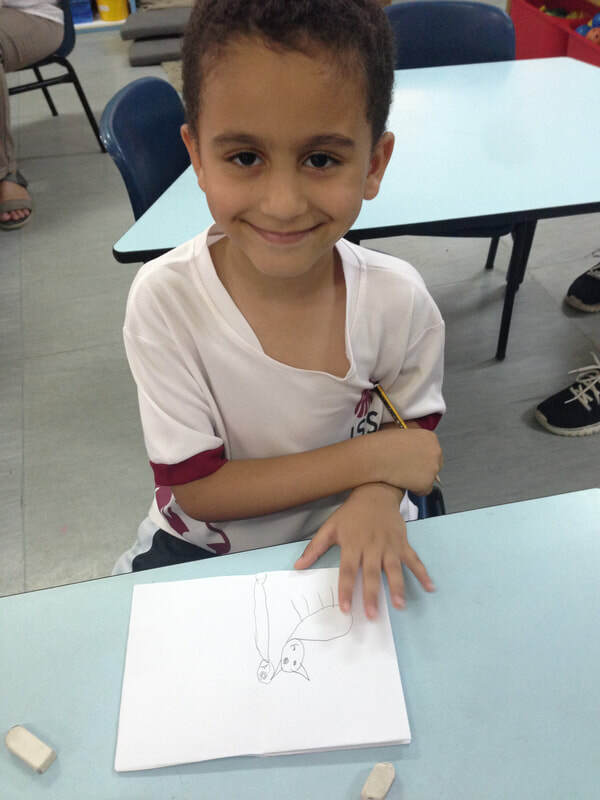 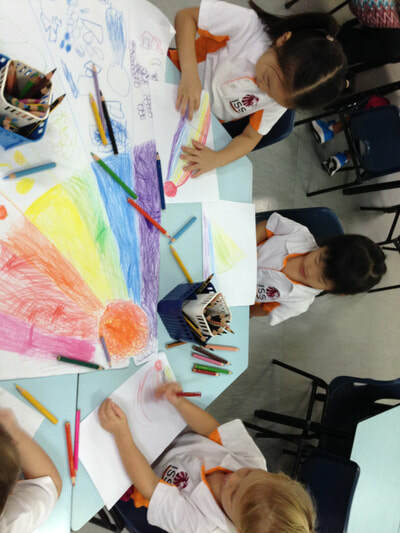 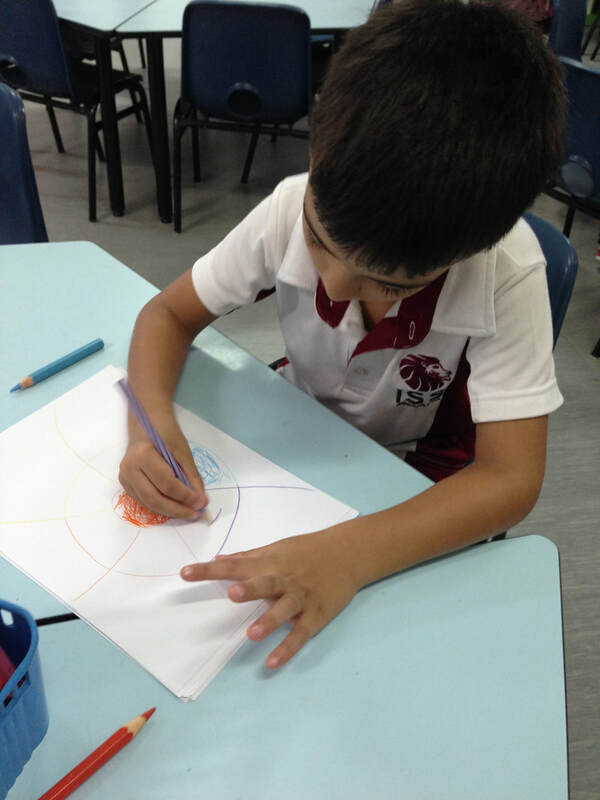 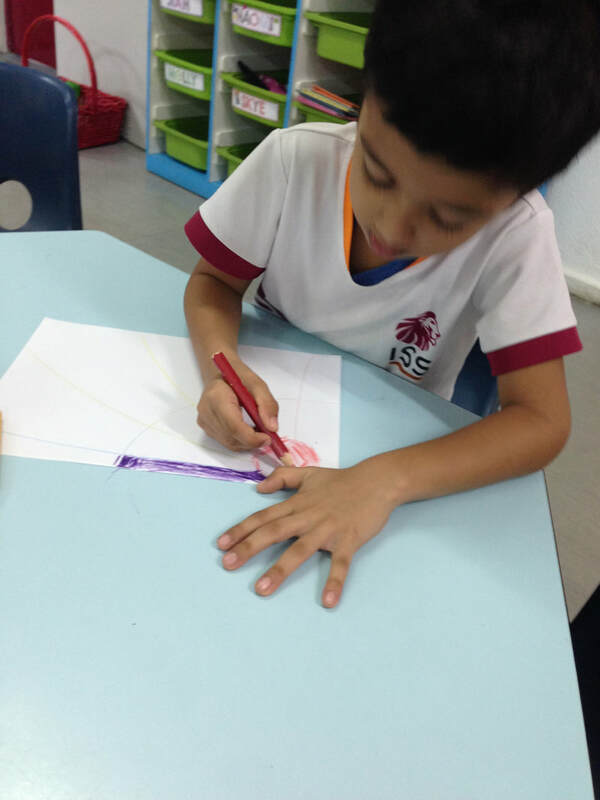 G5 students shared their country's culture by drawing a poster. 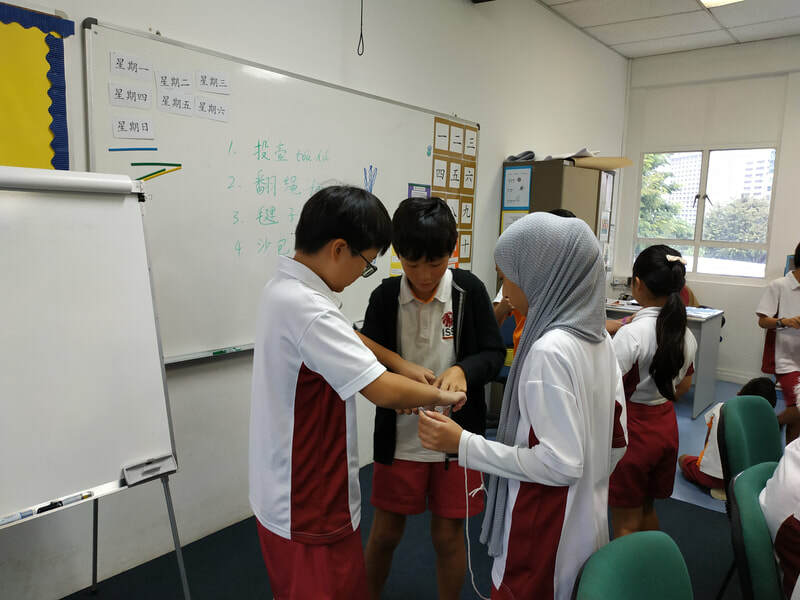 G1-G5 students Please practise the Quizlet 文化. 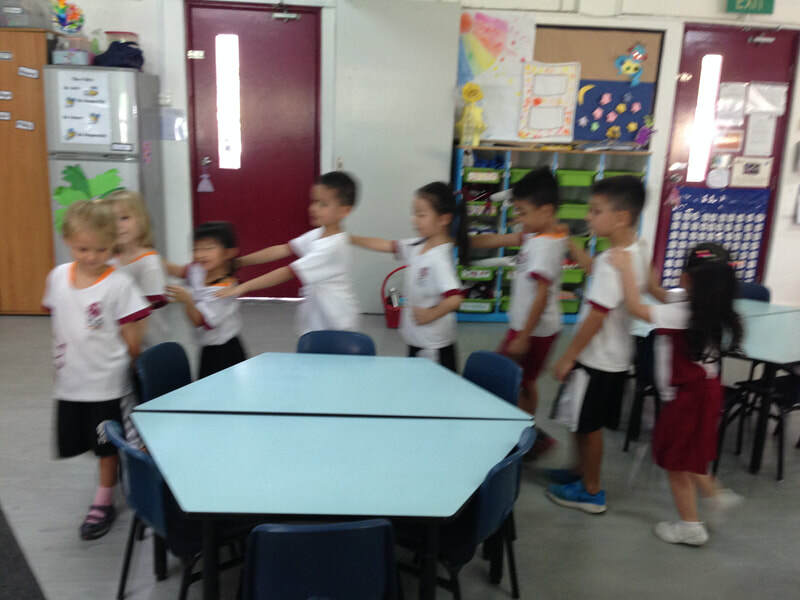 K1 children had a fun game to practise walk safely in classroom. Christmas tree created by G2 students using the Christmas vocabulary. G3 students have done their presentation for unit 2 Assessment. K1 tried to make the book 'My shadow'. 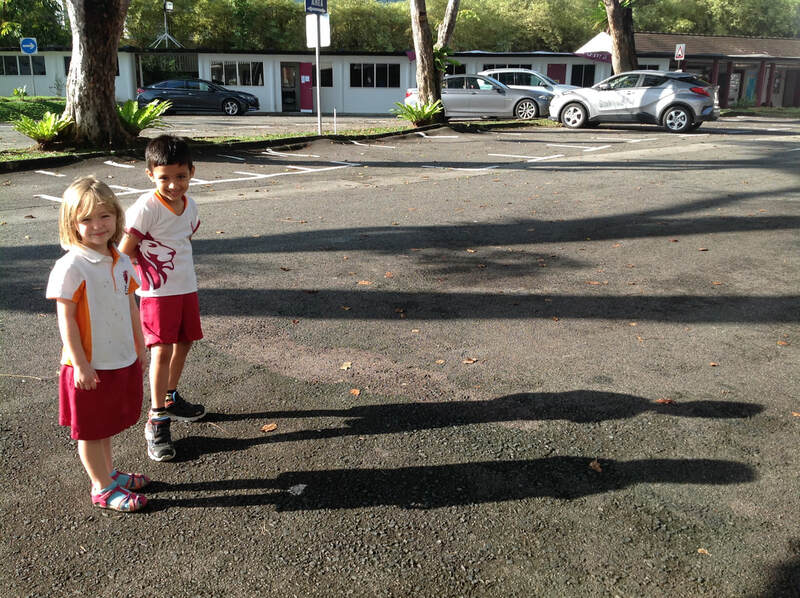 But we couldn't get our short shadow in the morning. 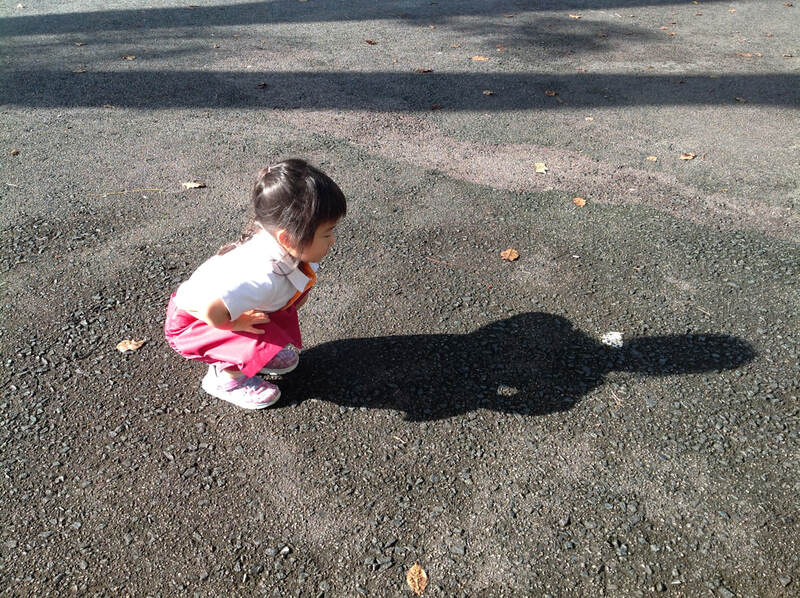 One student told me:"Don't worry, when I get my short shadow I will let you know." 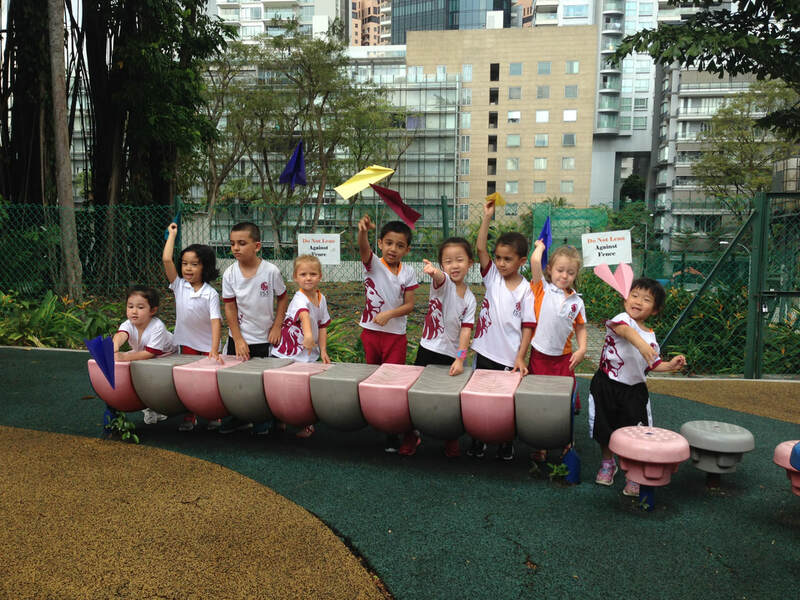 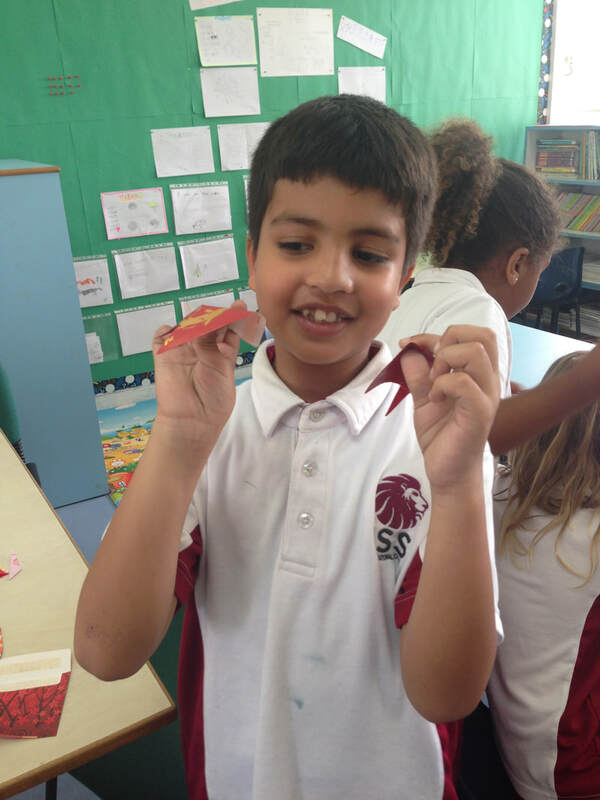 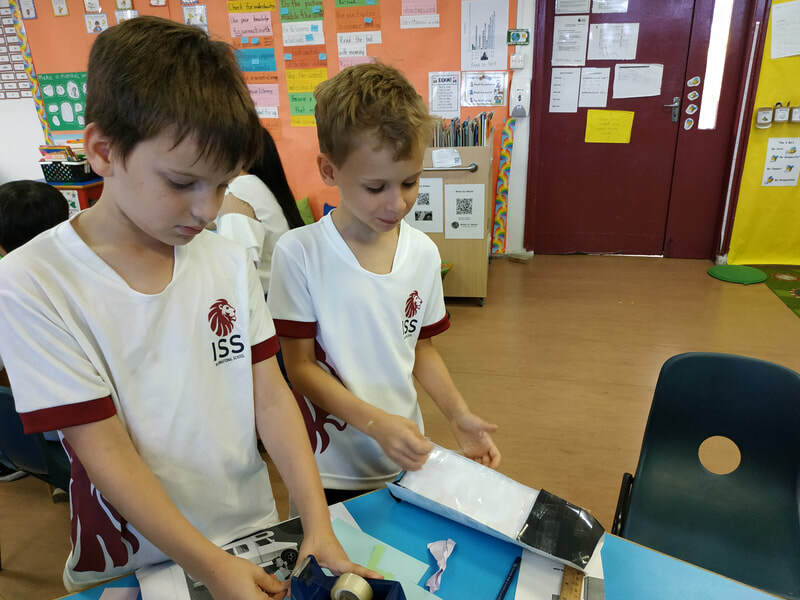 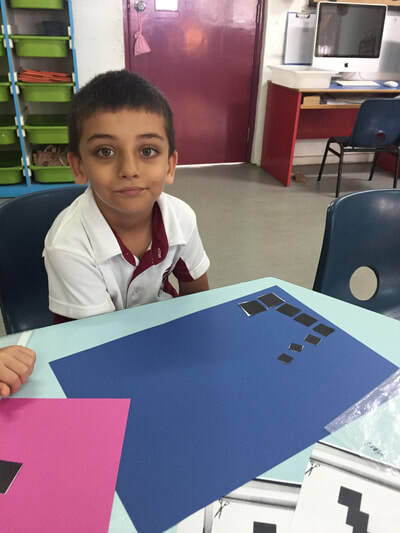 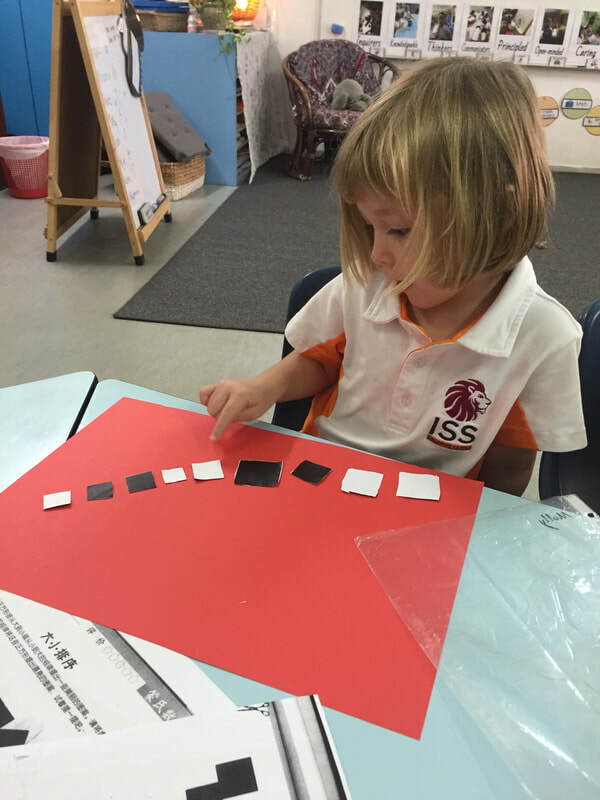 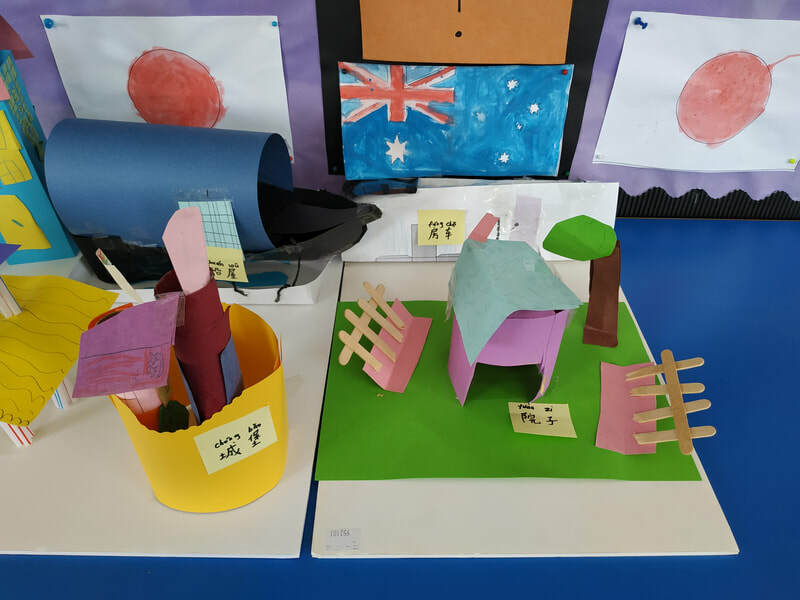 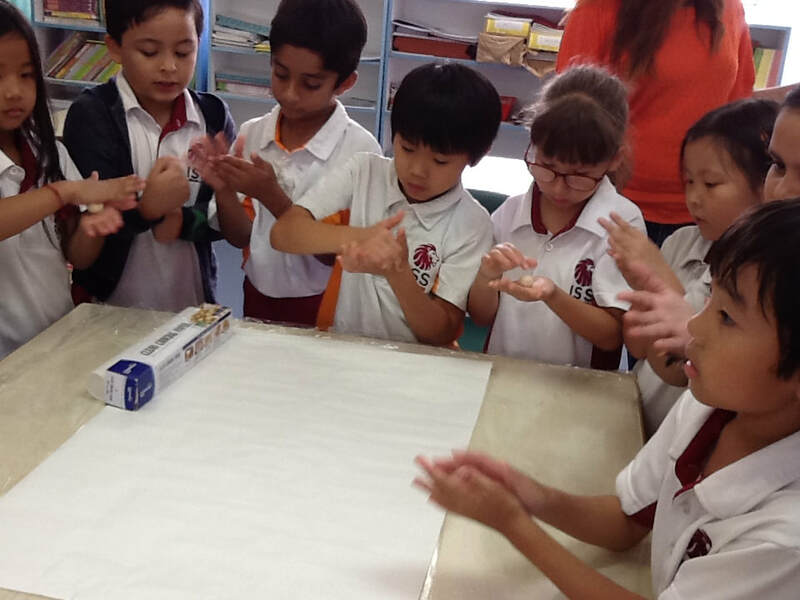 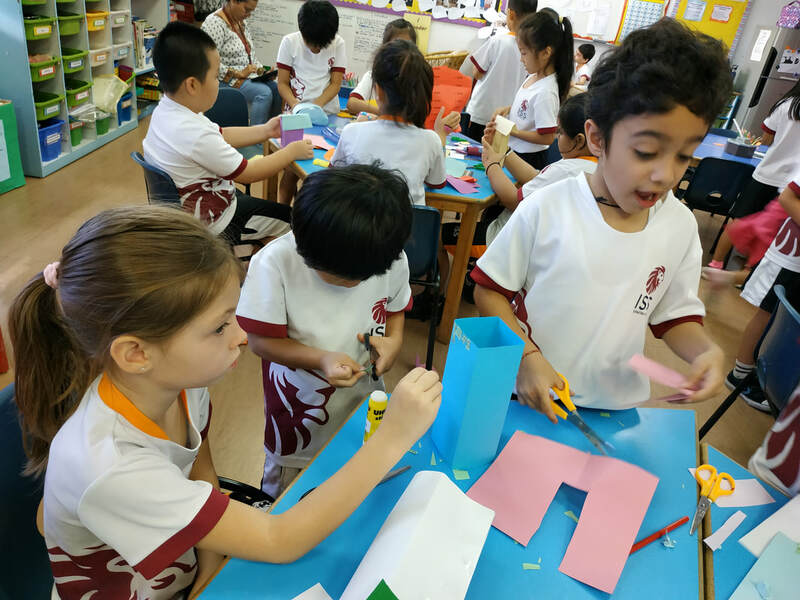 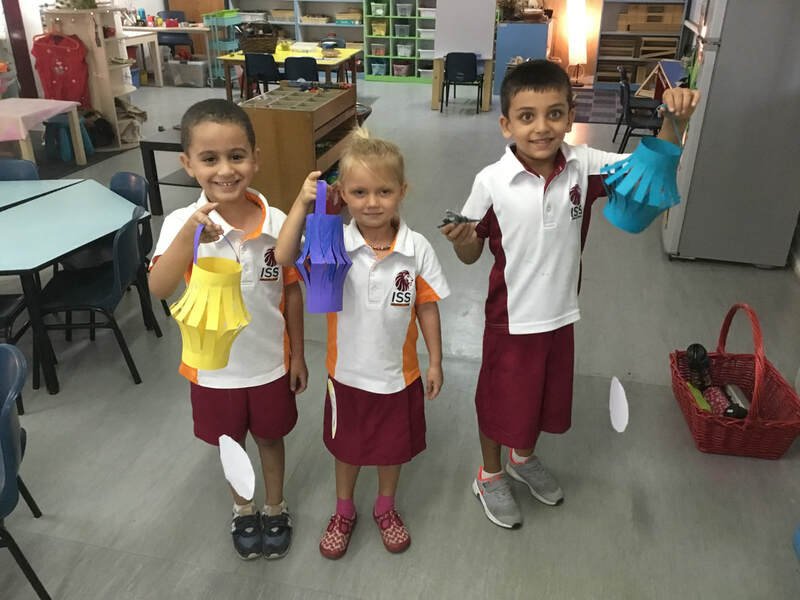 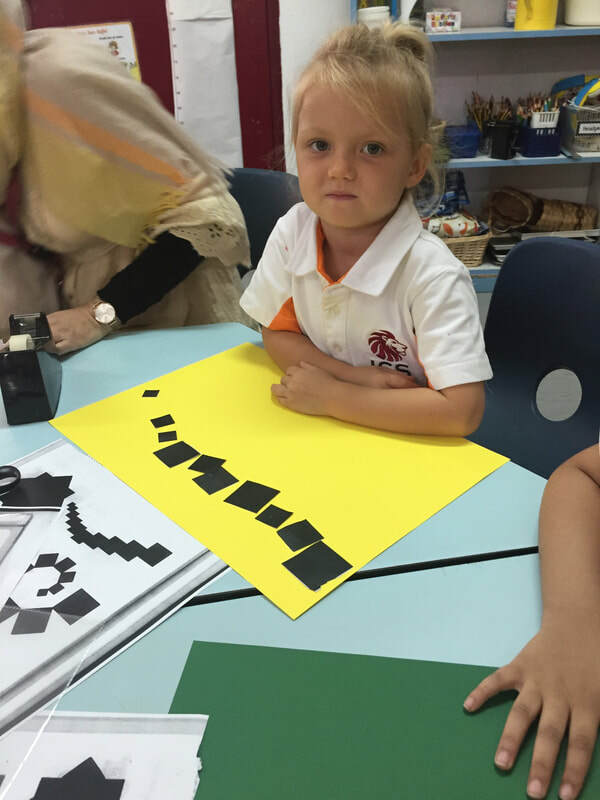 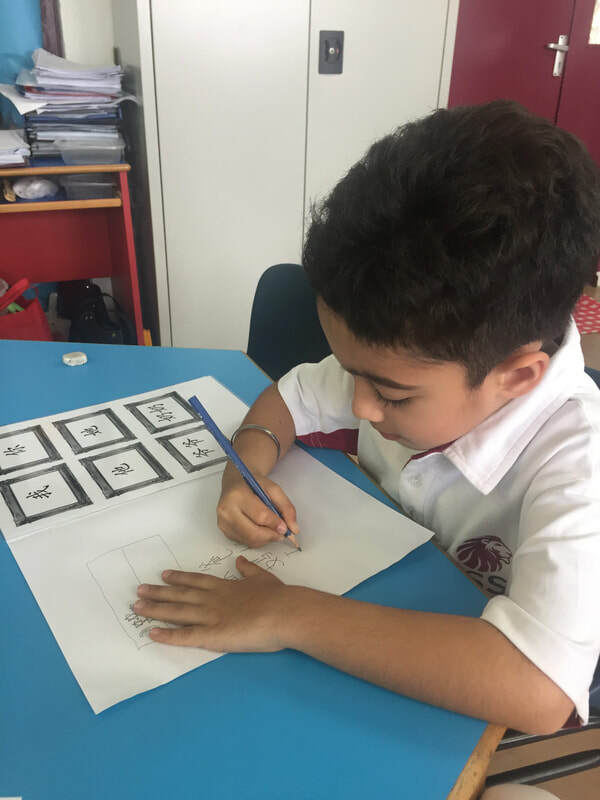 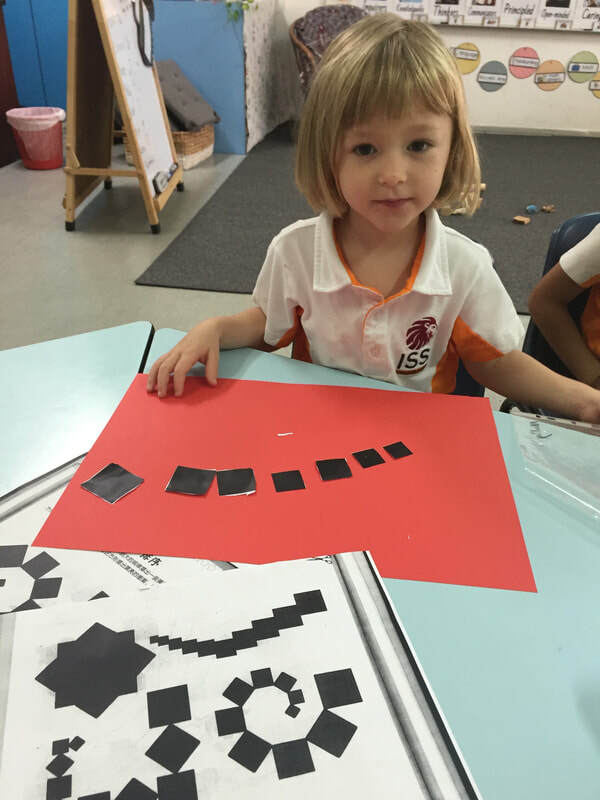 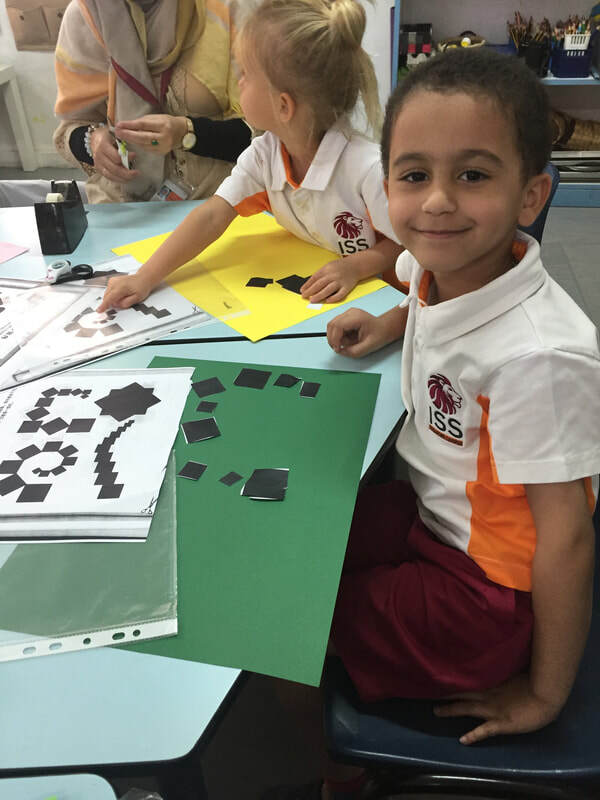 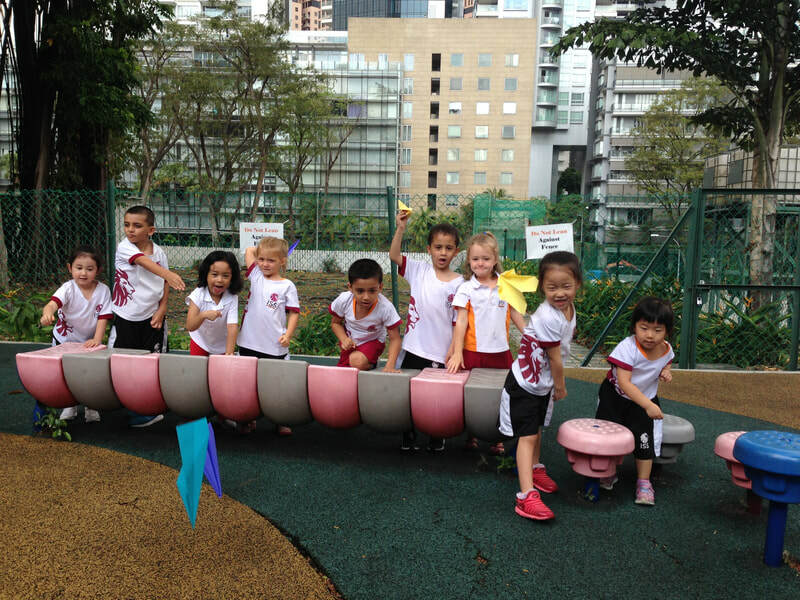 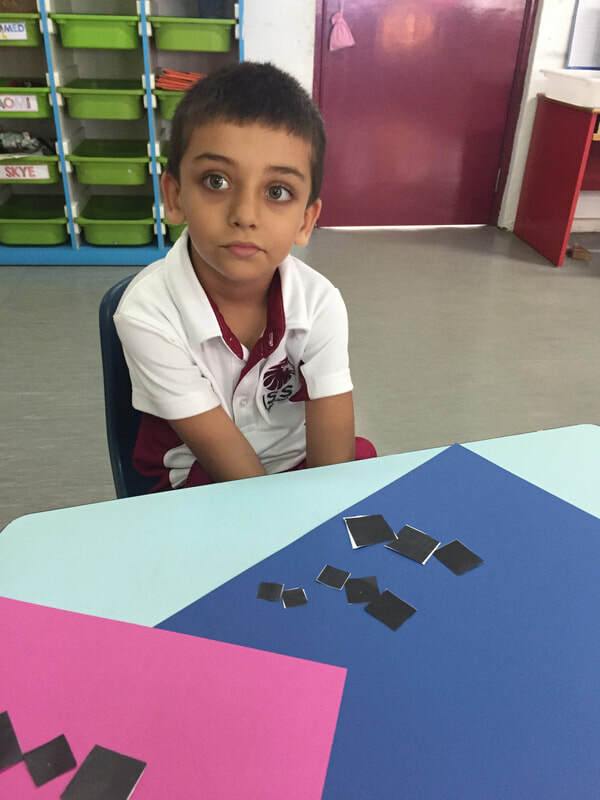 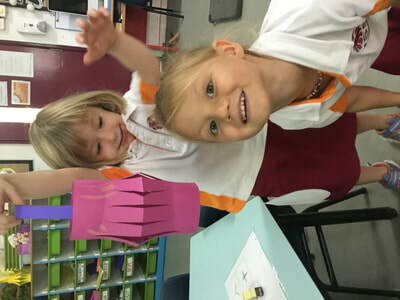 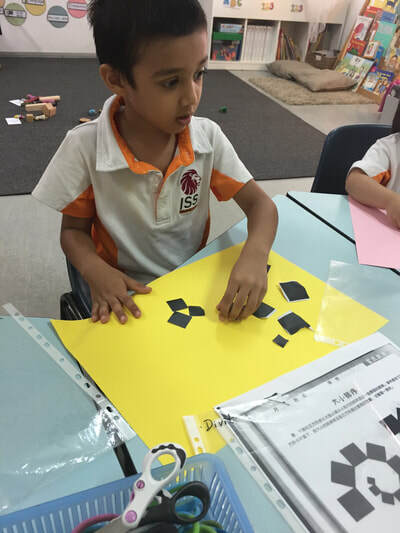 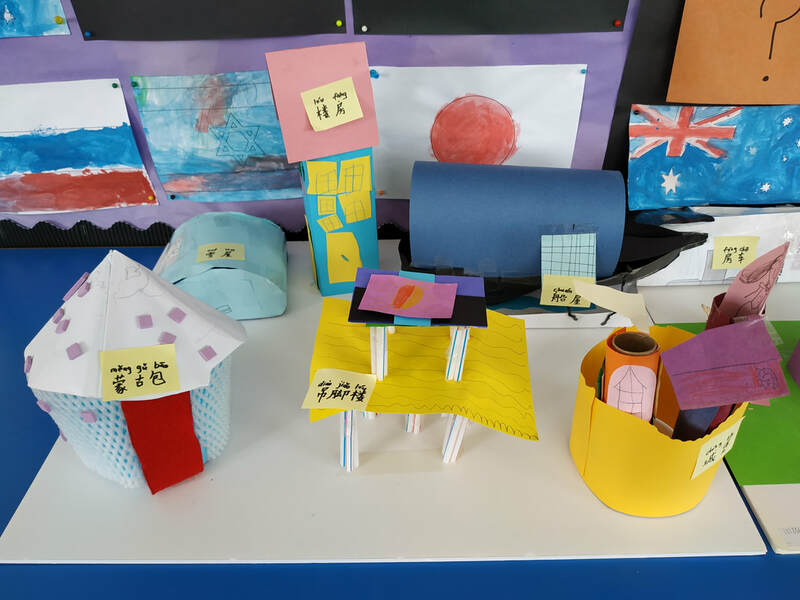 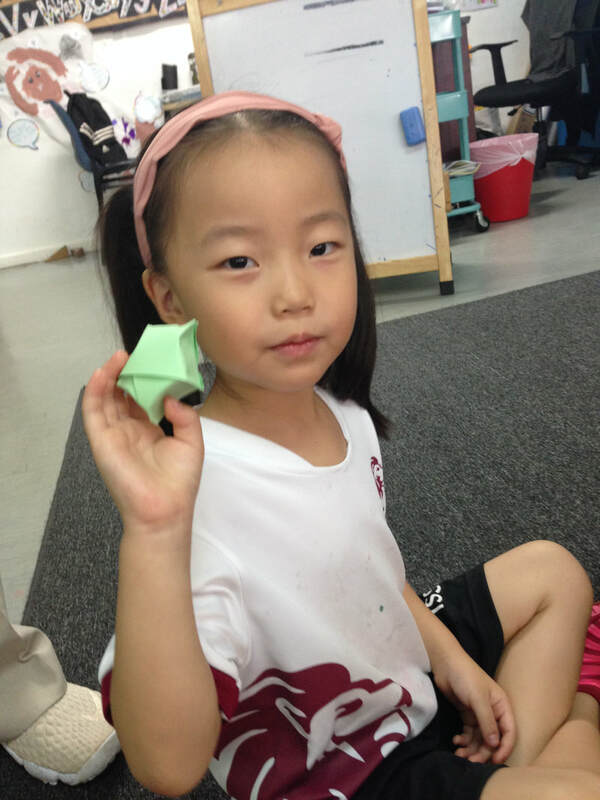 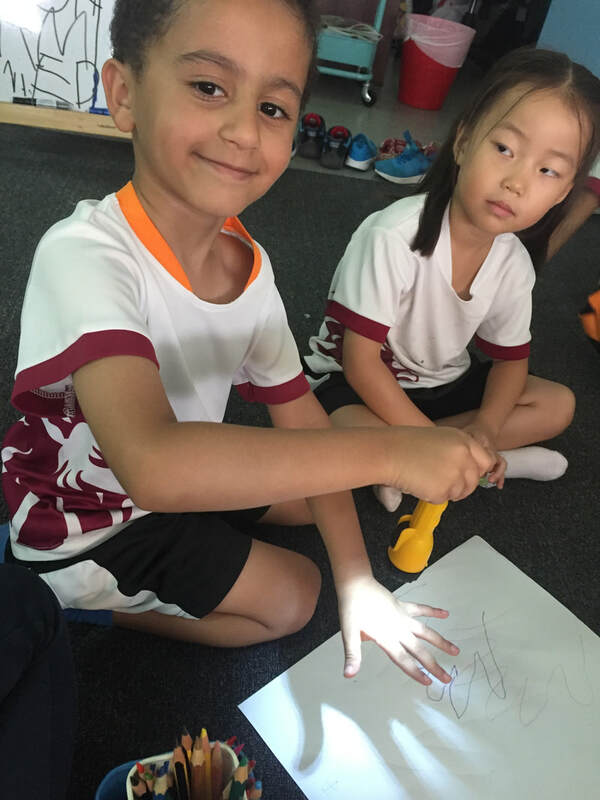 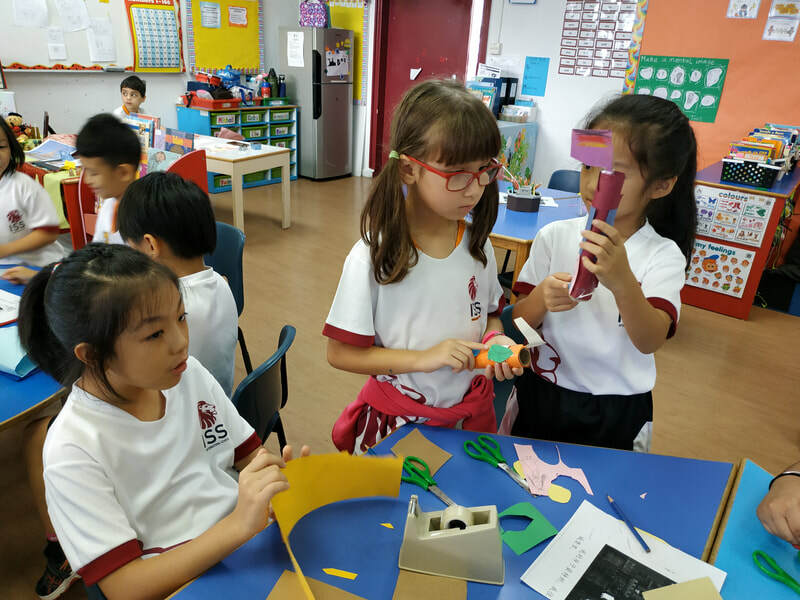 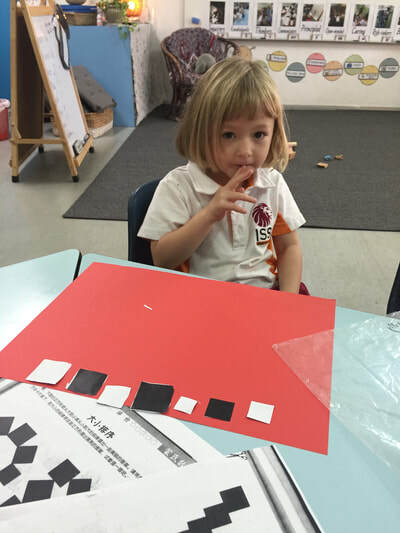 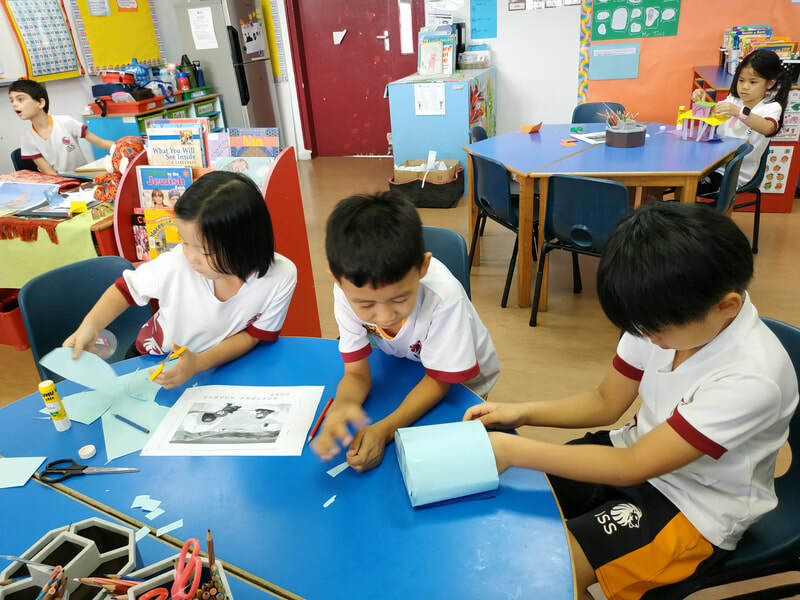 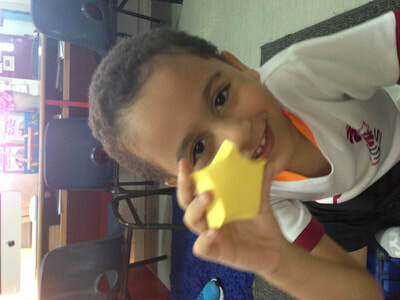 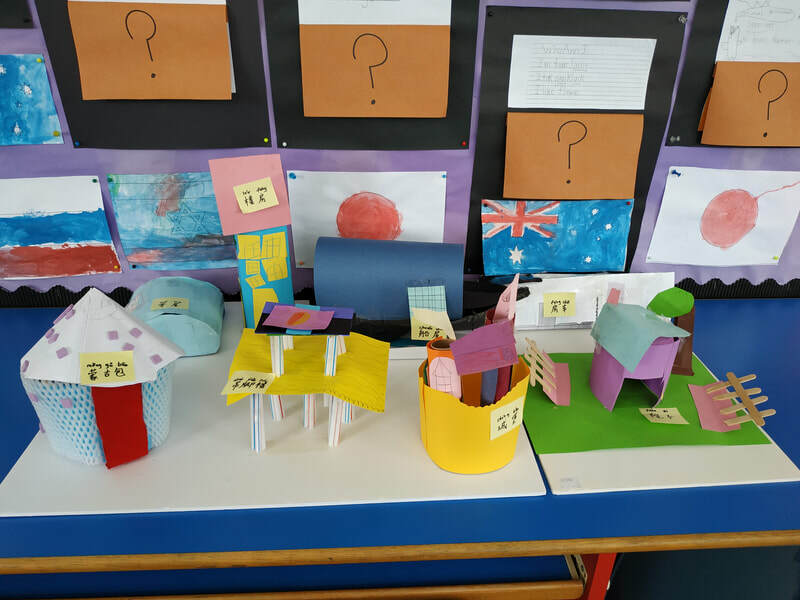 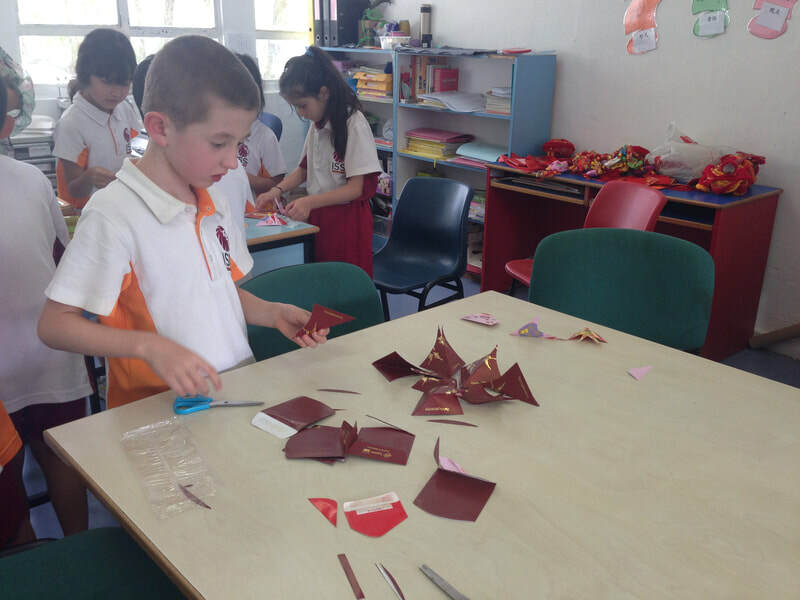 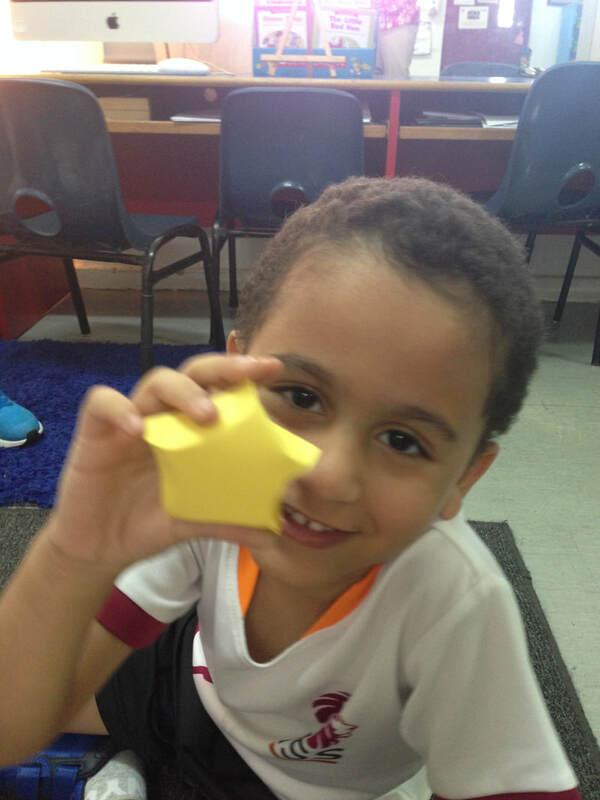 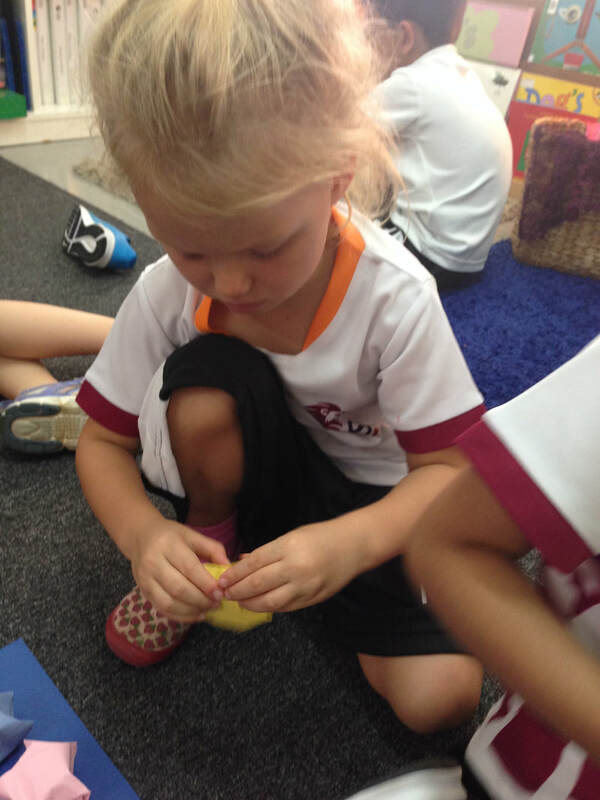 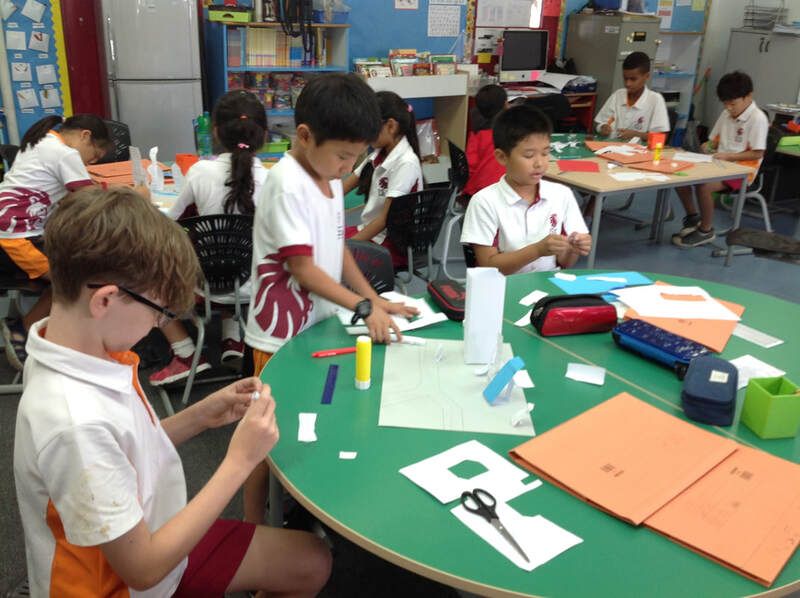 Through making the different type of houses, G1 students have explored different customs. 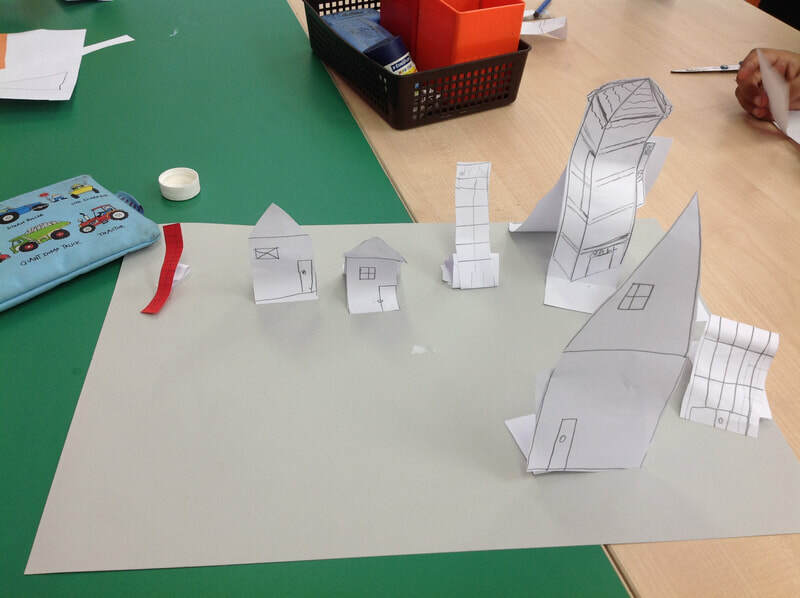 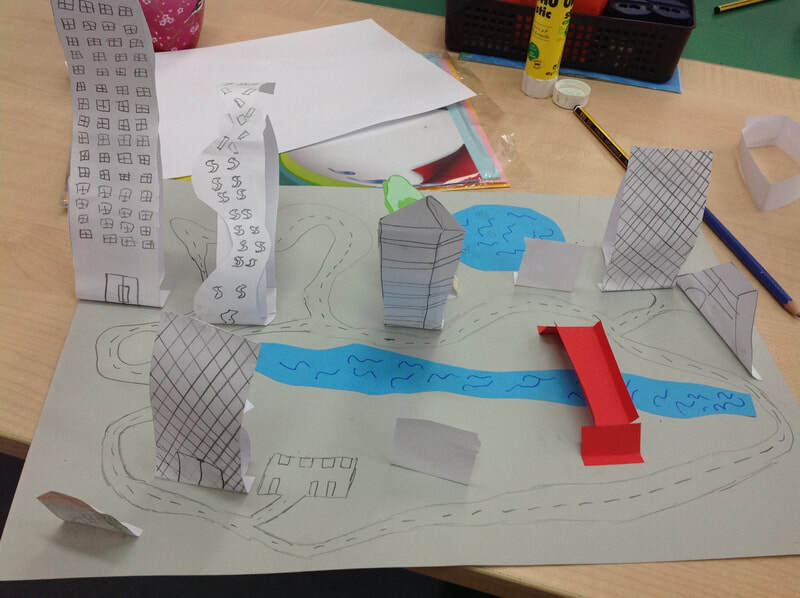 G3 students have designed the city for their unit 2 summative assessment. 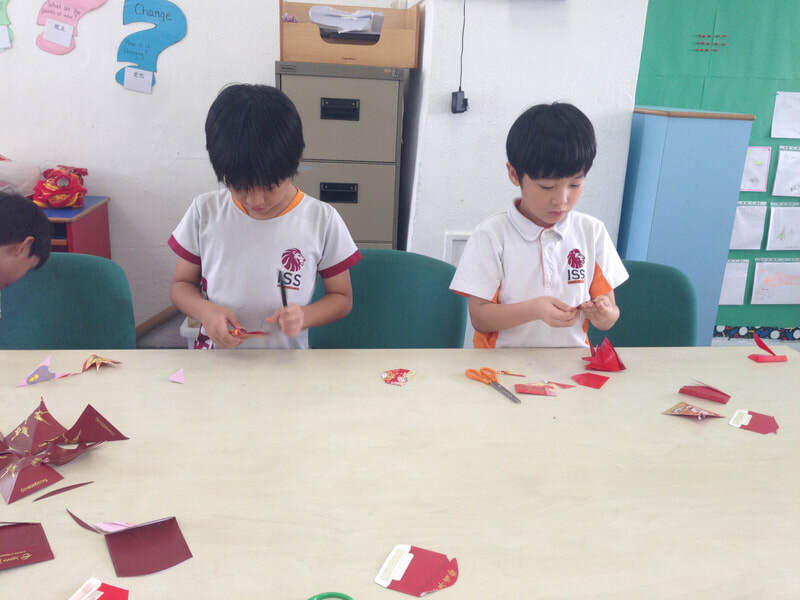 During the Mandarin lesson, I have shared the story <duo duo lao ban he sen lin po po> with K2. 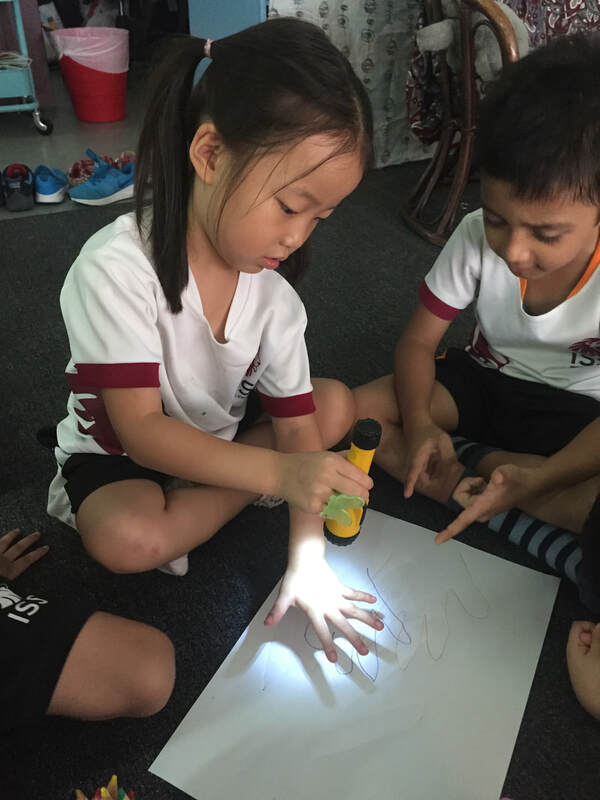 We are learning new vocabularies of the light. 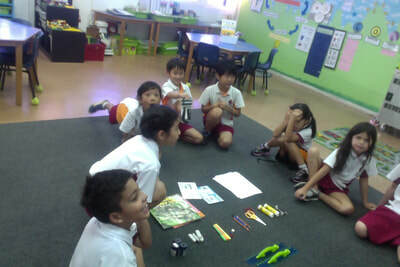 G2 Students did a role-play about their belongings. 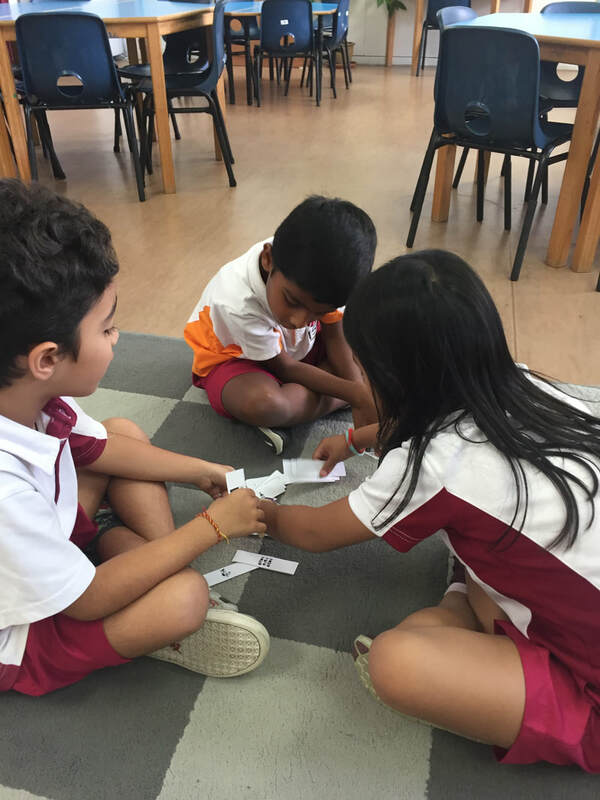 This game helped G1 students to learn the new vocabularies. G2 Missing stationery. Though this game G2 students practised the name of stationeries. 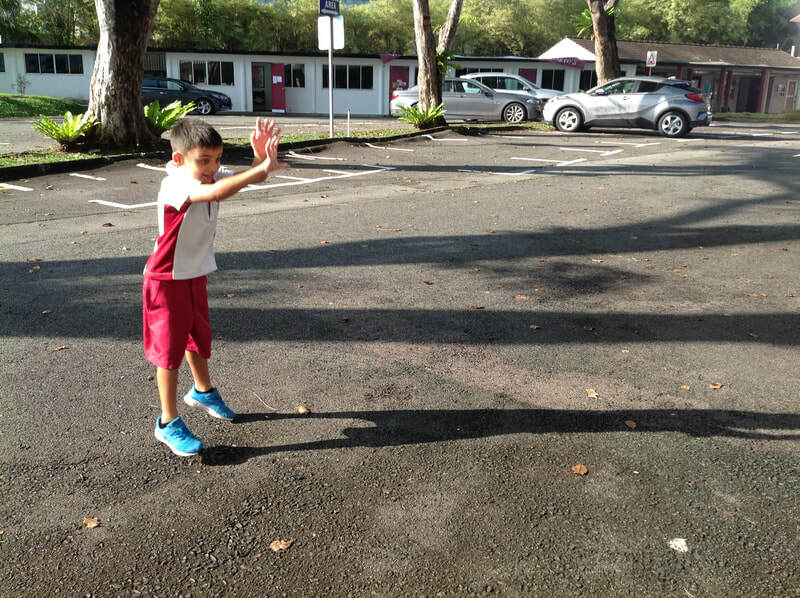 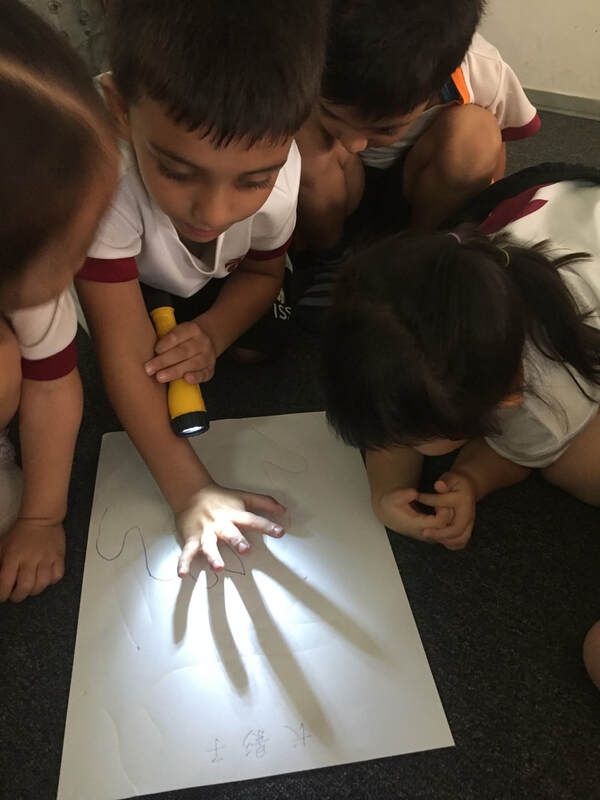 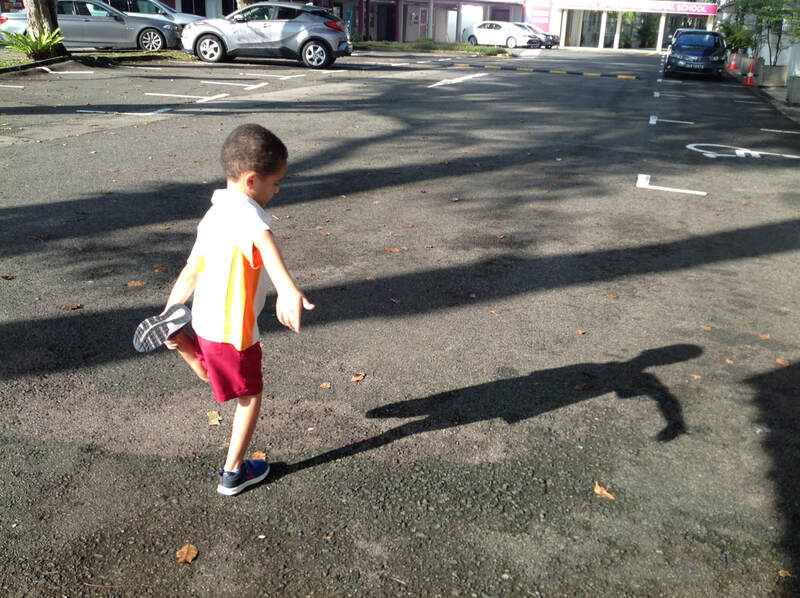 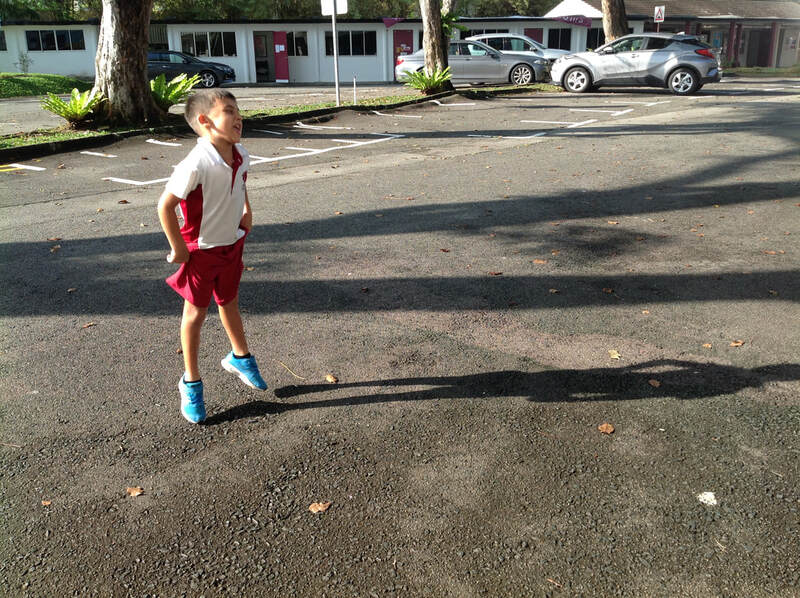 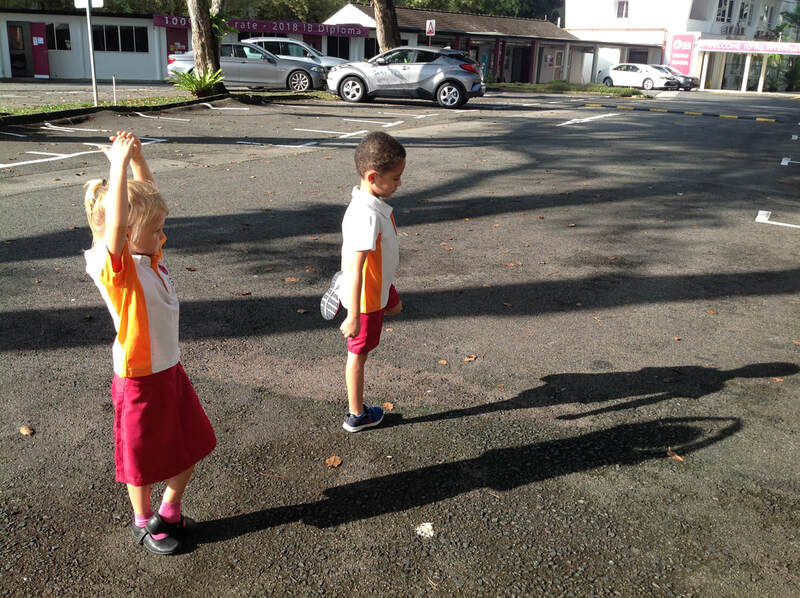 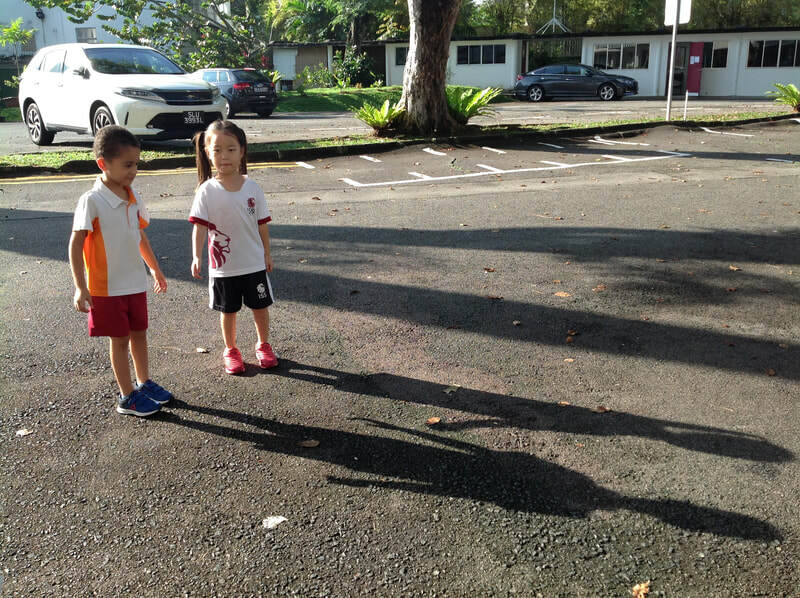 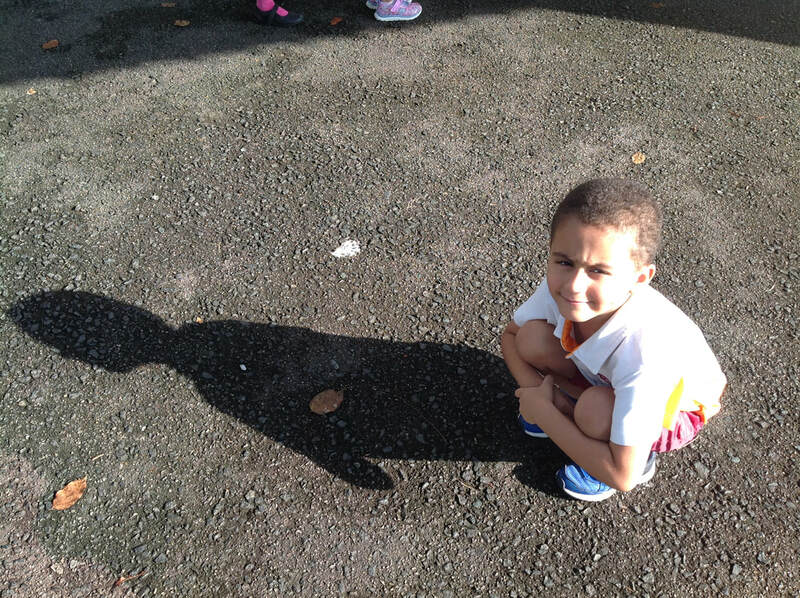 K1 Children explored long shadow and short shadow. 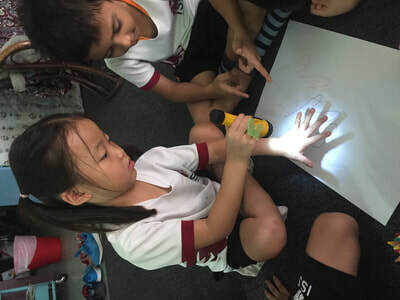 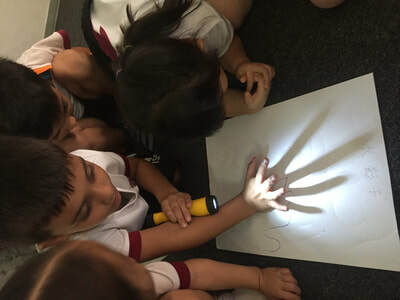 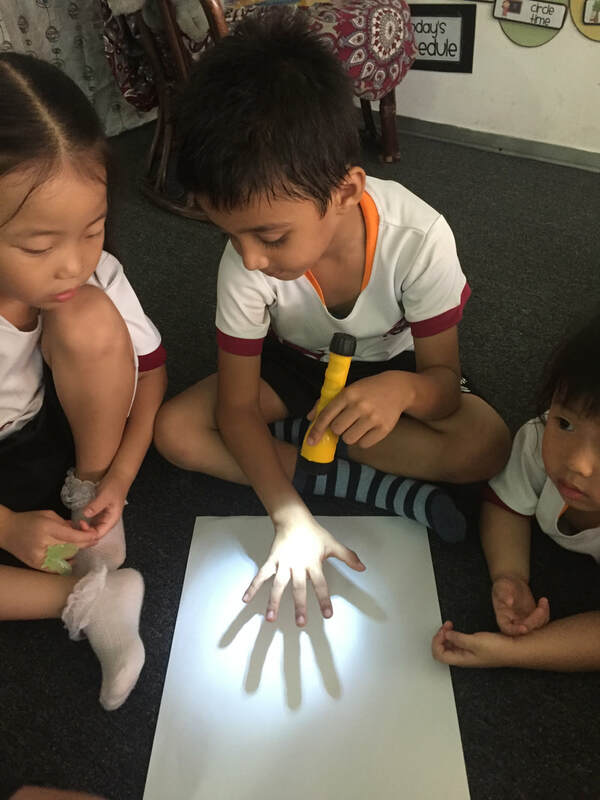 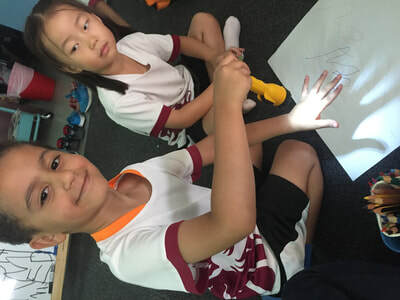 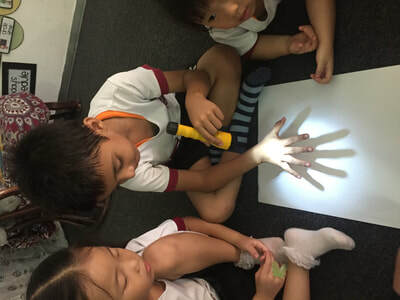 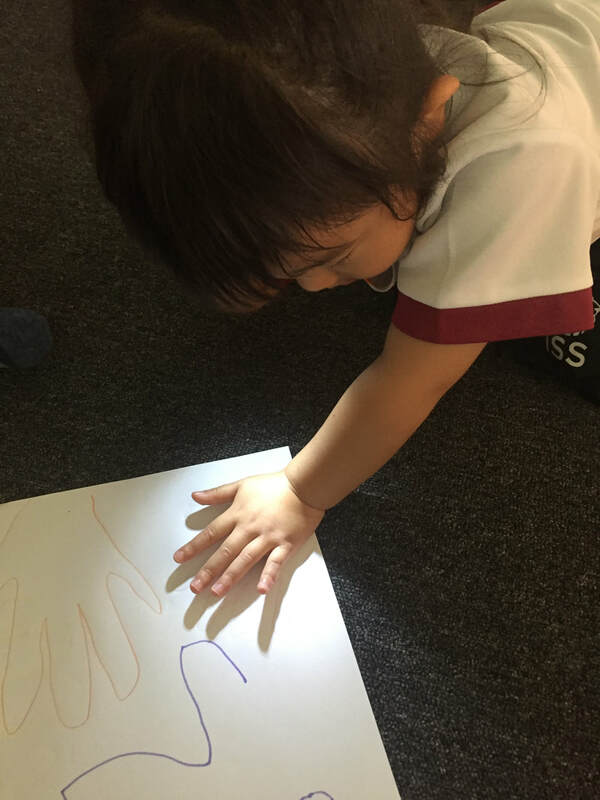 According to the lines of inquire: light source, K1 children learned the song- "xiao xing xing". 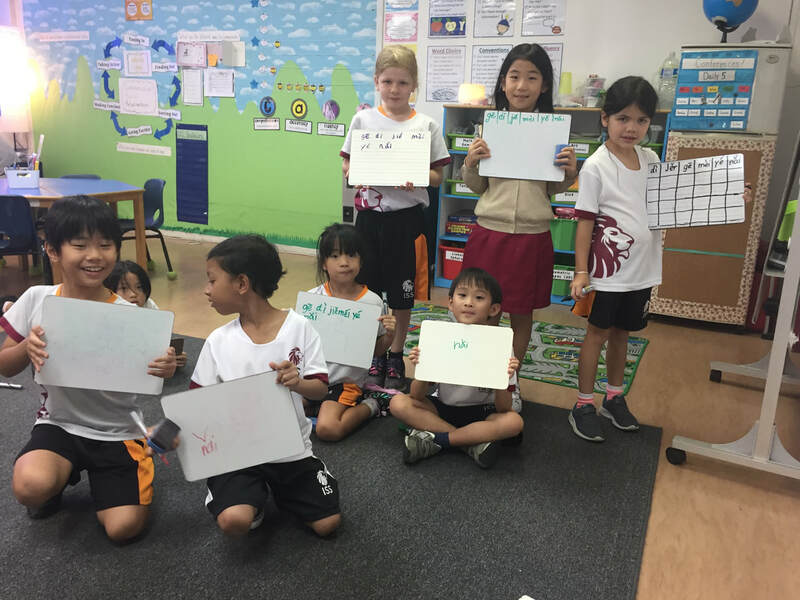 Unit 2 Week 1 and Week 2 Blog Welcome back to school! 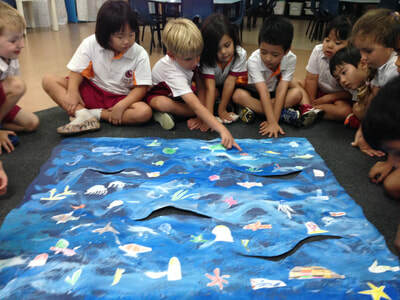 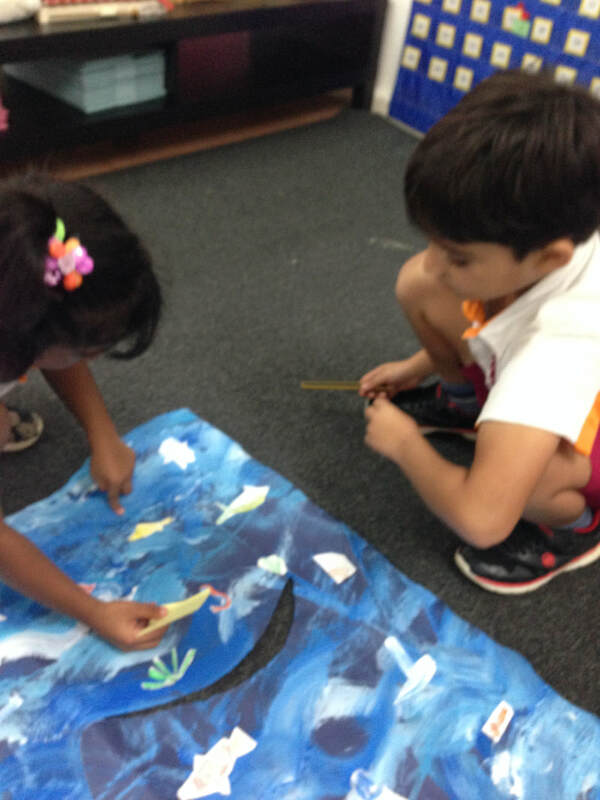 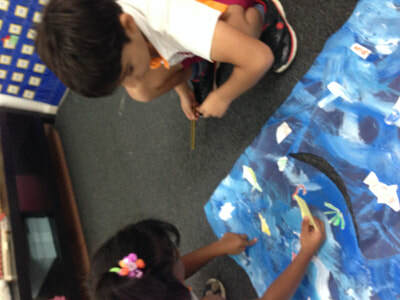 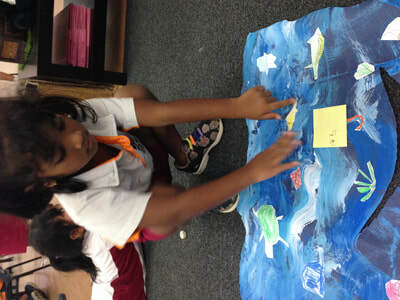 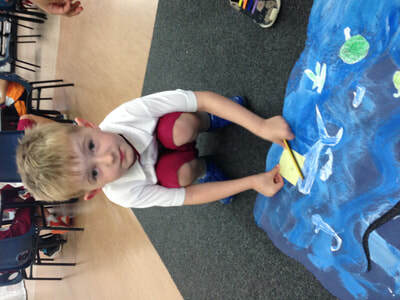 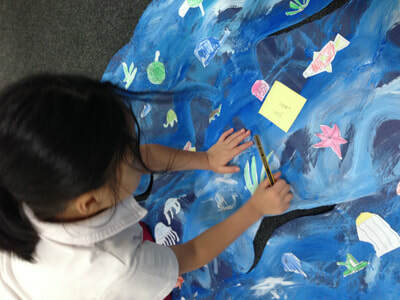 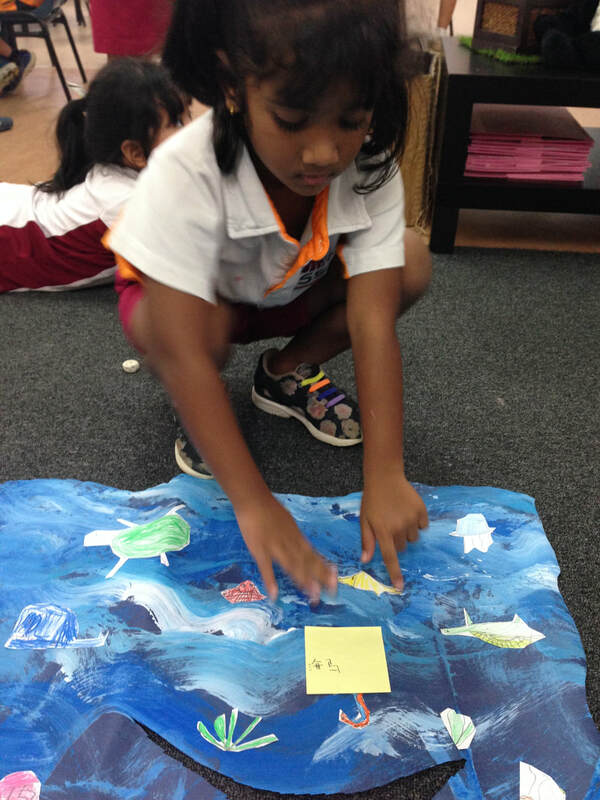 K2 Children has made a beautiful ocean for their new unit- Sharing the planet- Human actions affect other living things. 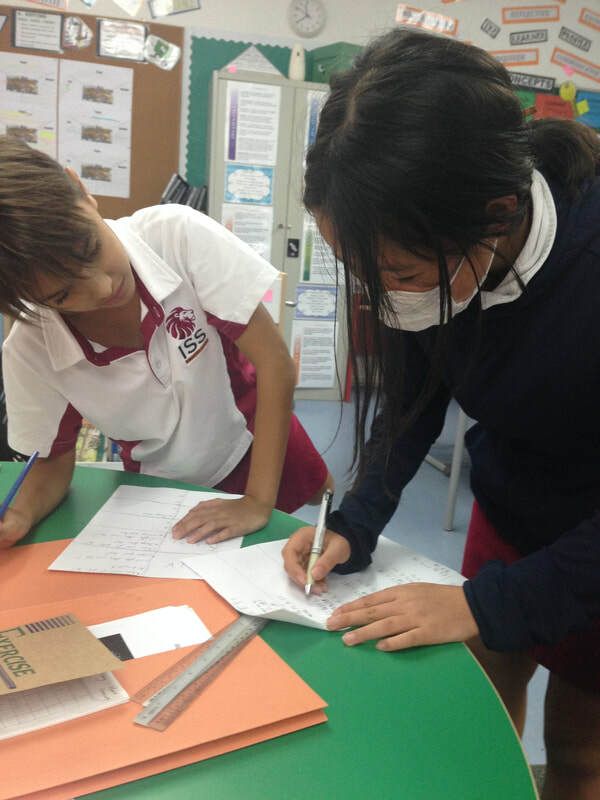 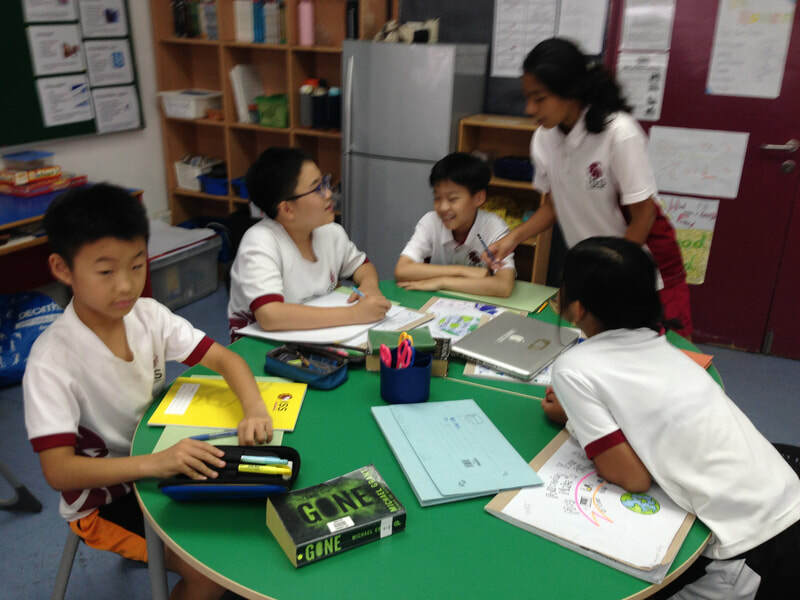 During this short week, G1-G5 students did Unit 1 reflection. We going to start Unit 2 (Community) next week. K1 Children did personal project for their first unit of summative assessment. 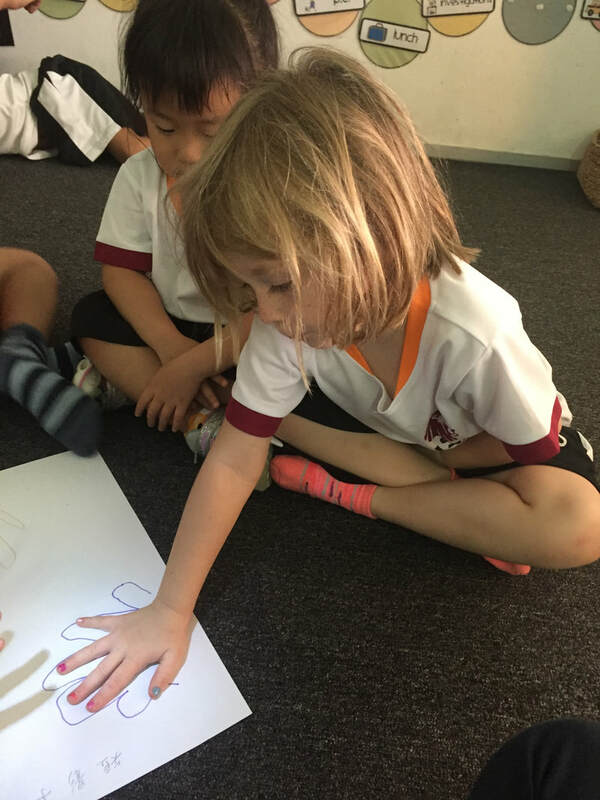 In Mandarin, K1 Children have motioned their family member, the name of the body, the colour on their body. 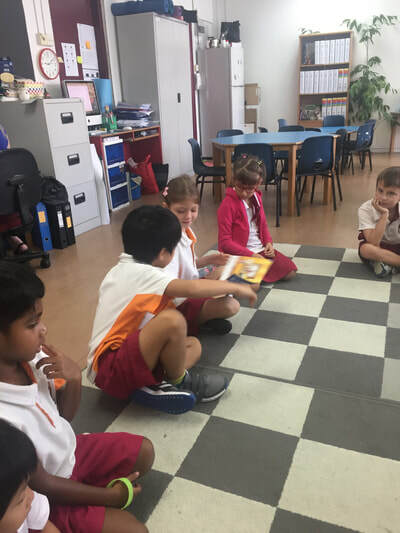 I Shared this book with K2 this week. 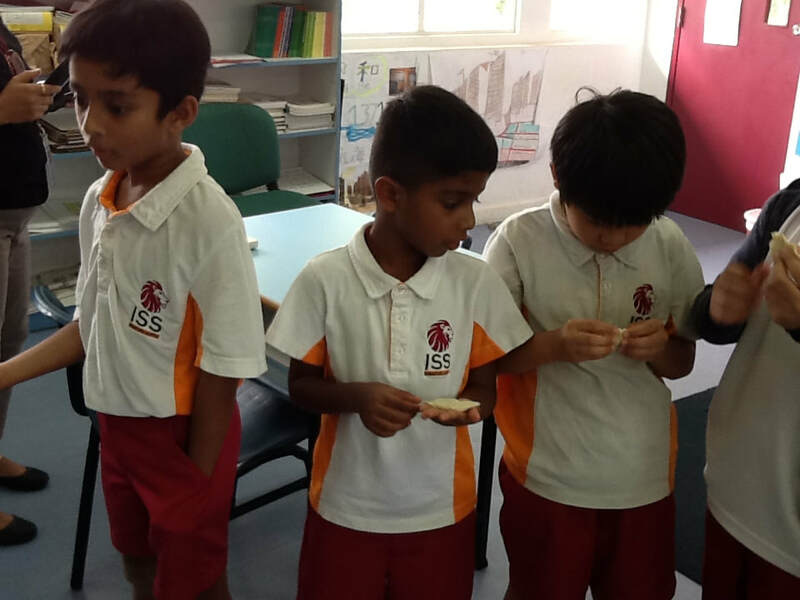 We have told about healthy food and unhealthy food. 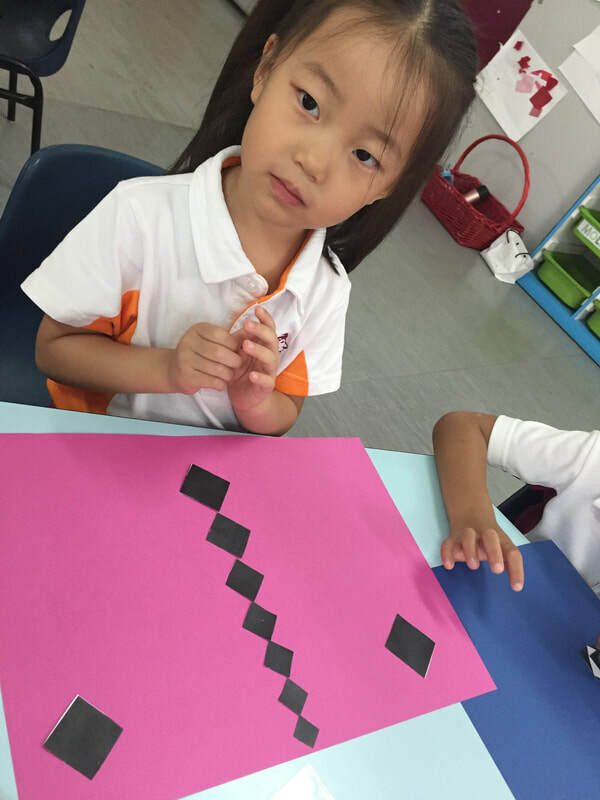 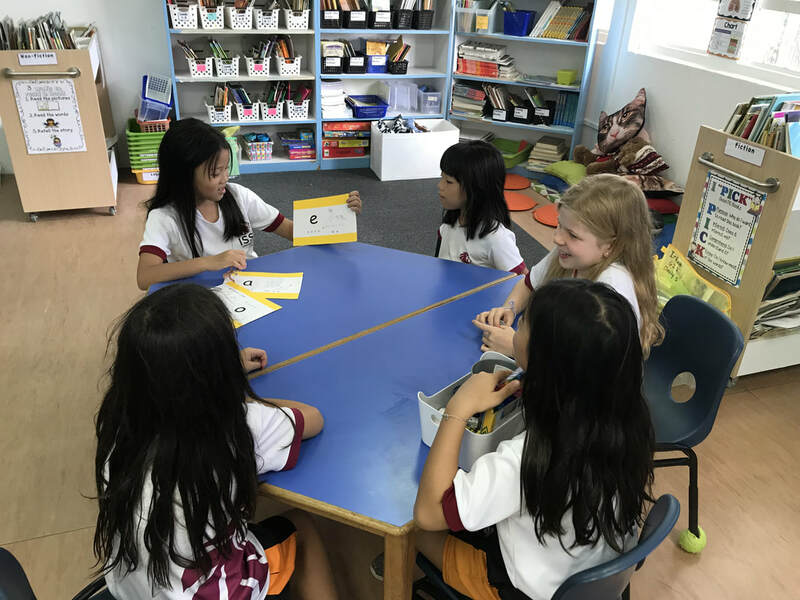 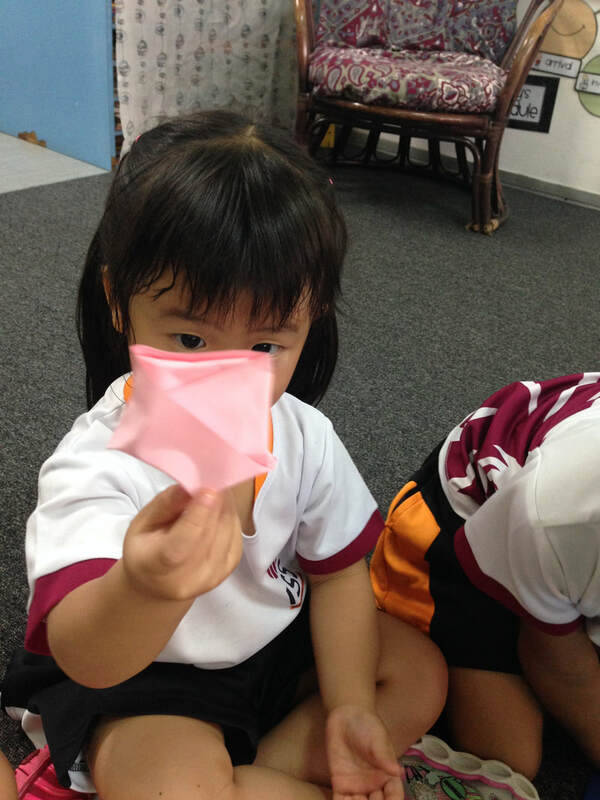 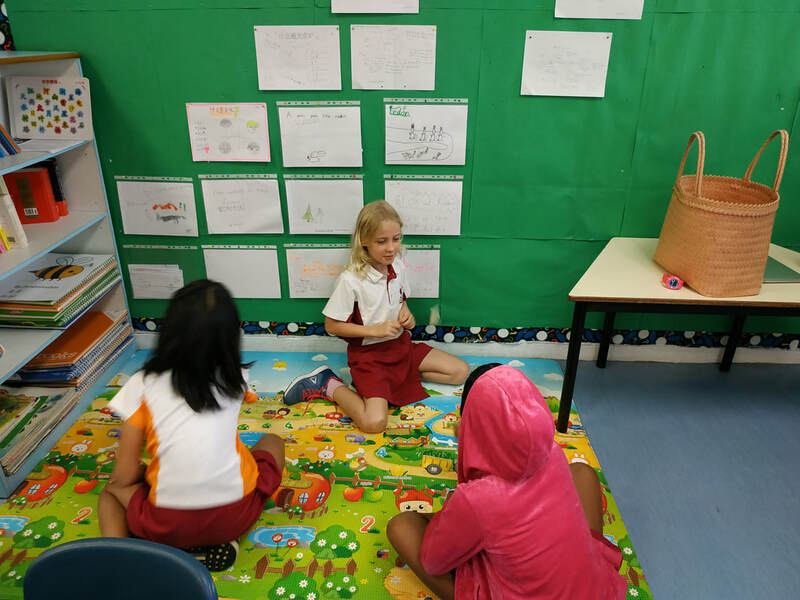 G2 Students did role play: Chang e came back from the moon. 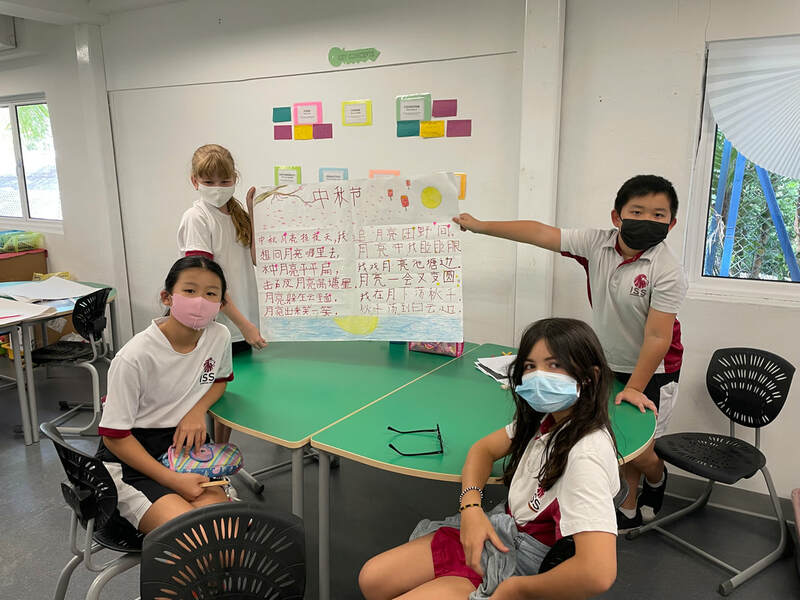 G5 students has made a poster about their family migration or travel to show their understanding of unit 1 key concepts, causation and change. 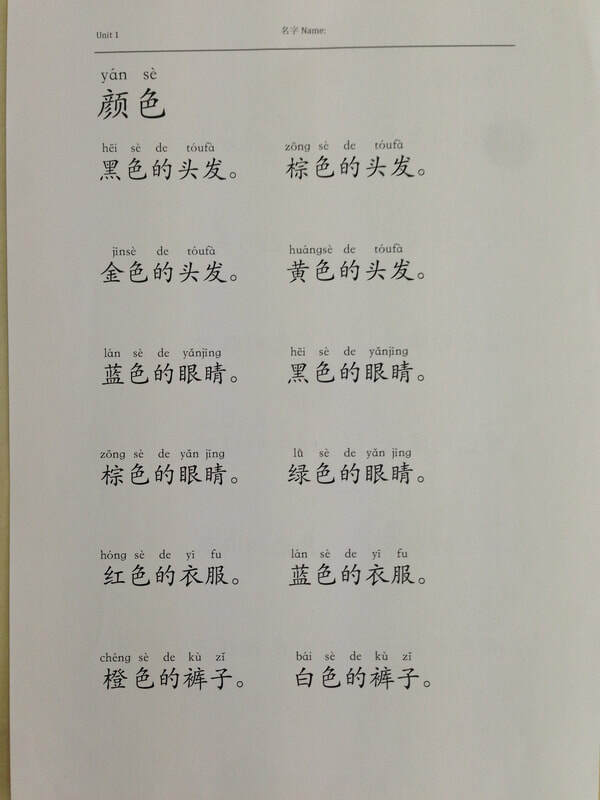 Please practice Quizlet. 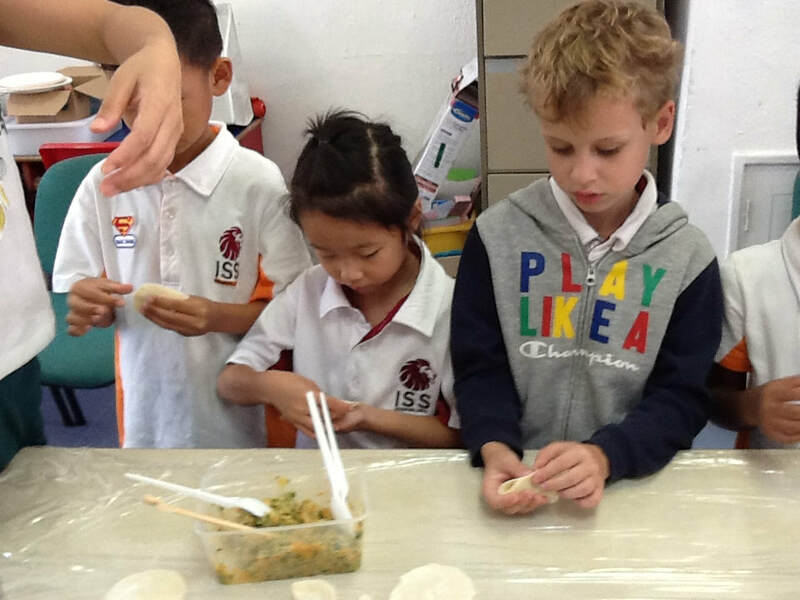 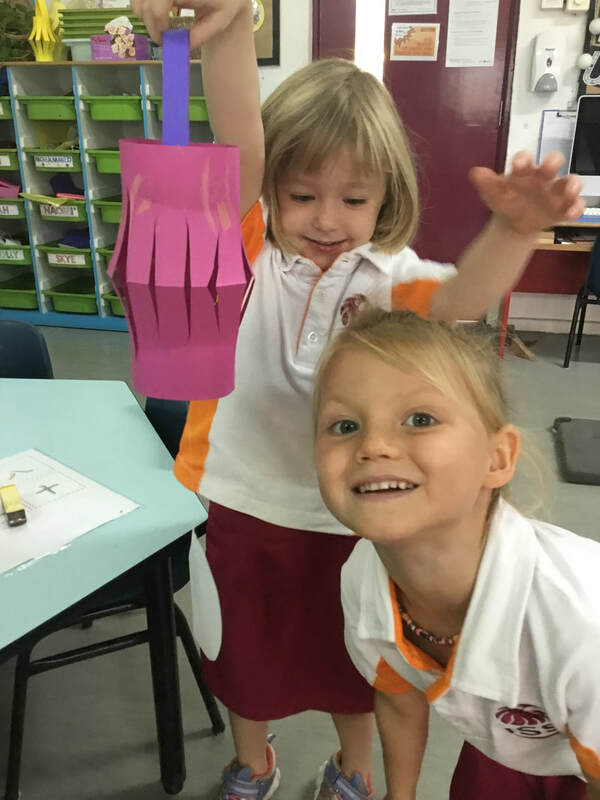 K1 Children made moon cake-'yue bing' and 'Deng long' for 'zhong qiu jie' that means Mid-Autumn Festival. 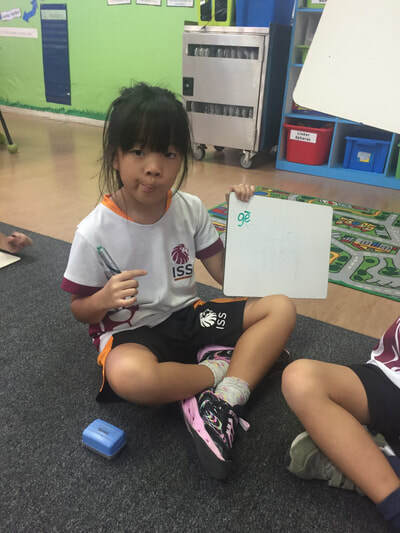 K1 Children did their number book. 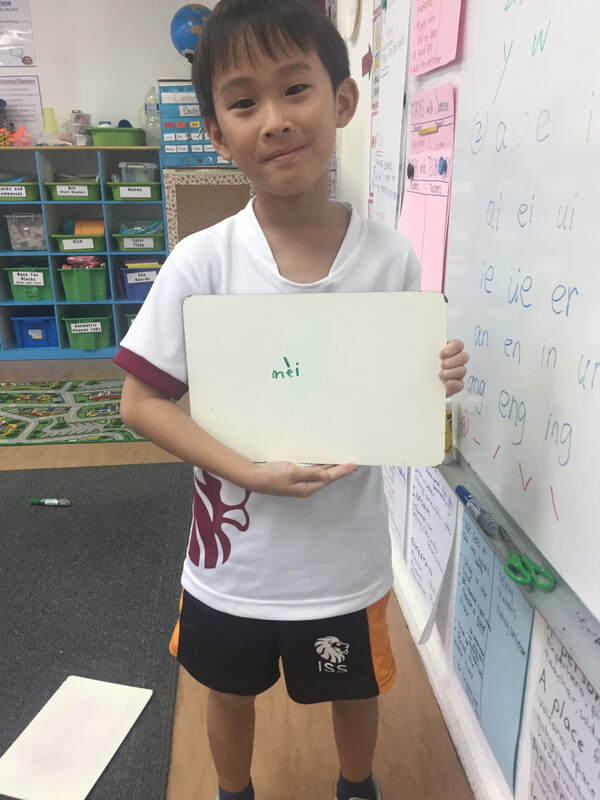 G2 Students learned how to spell Pinyin. 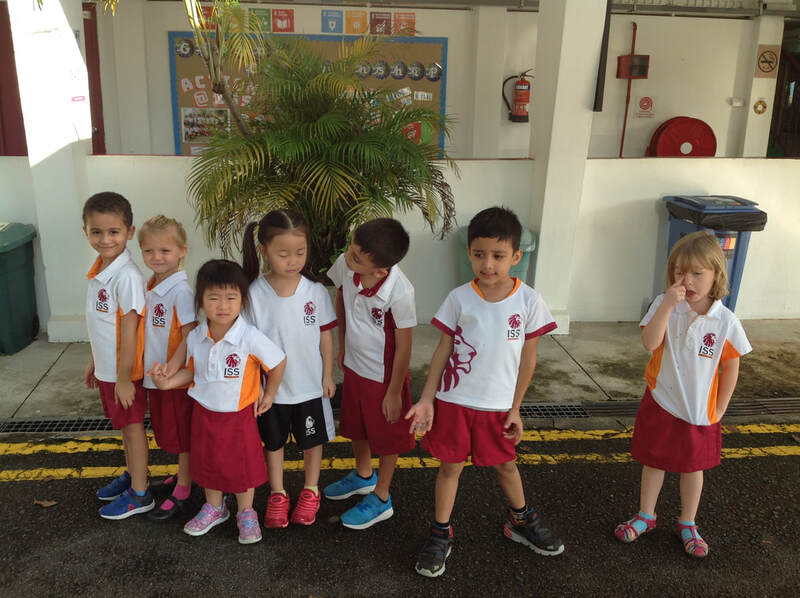 G4 students has decided to join Ms, Linda class for the 'Zeng He' performance. They shared with me many reasons that why they want to join the performance. 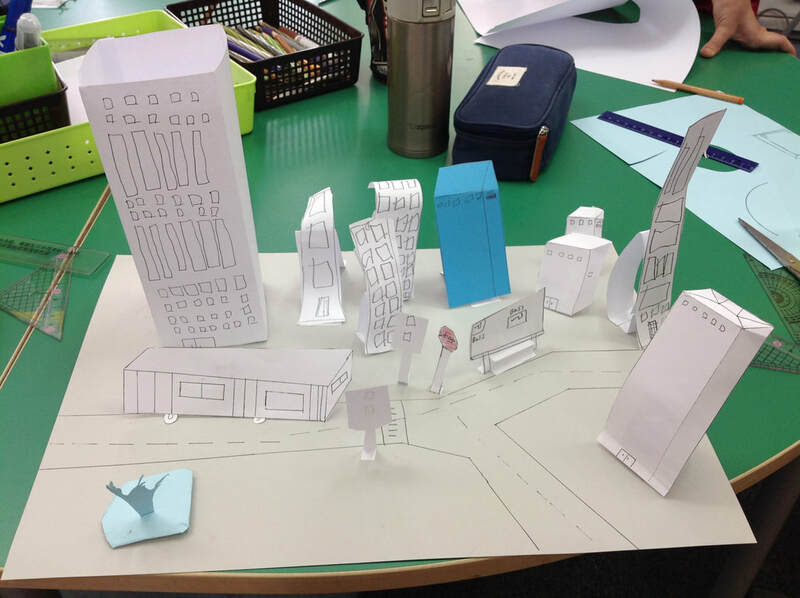 All the reasons are relate to this unit center idea and lines of inquire. 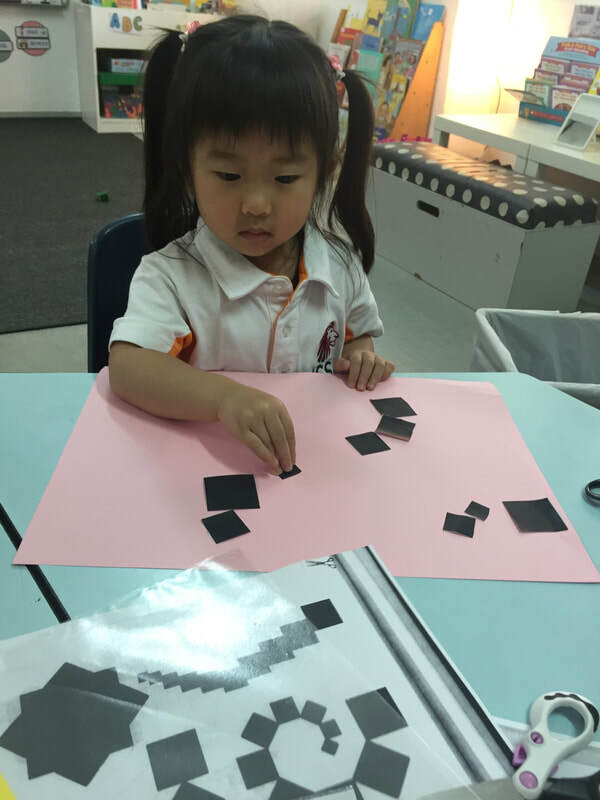 K1 children used the different size of squares to explore numbers and pattern. 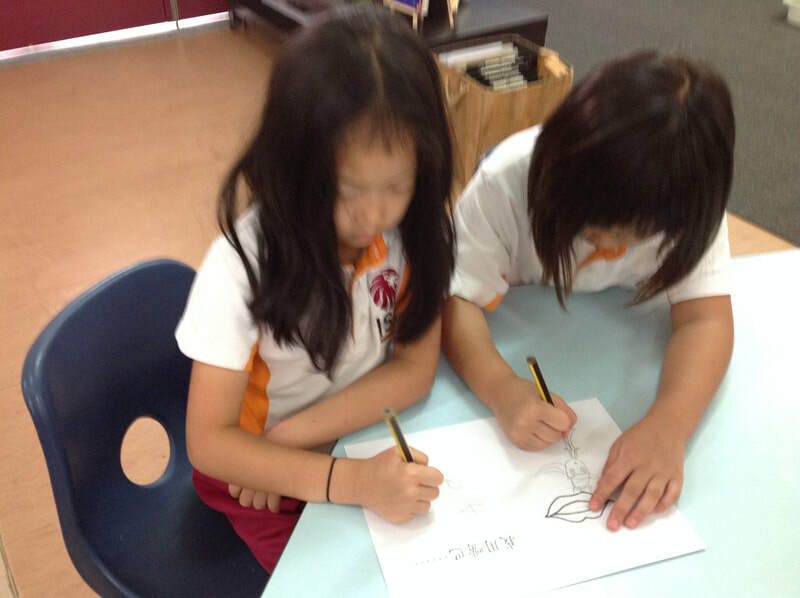 We shared the book" wo zen me le" to talk about 'ways I take care of my body'. 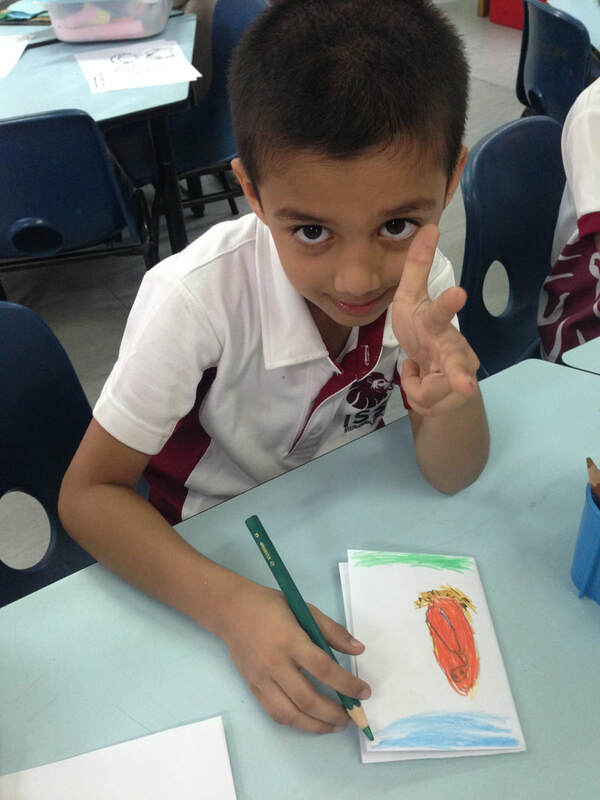 G1 students please bring 1 family photo to school on Monday. 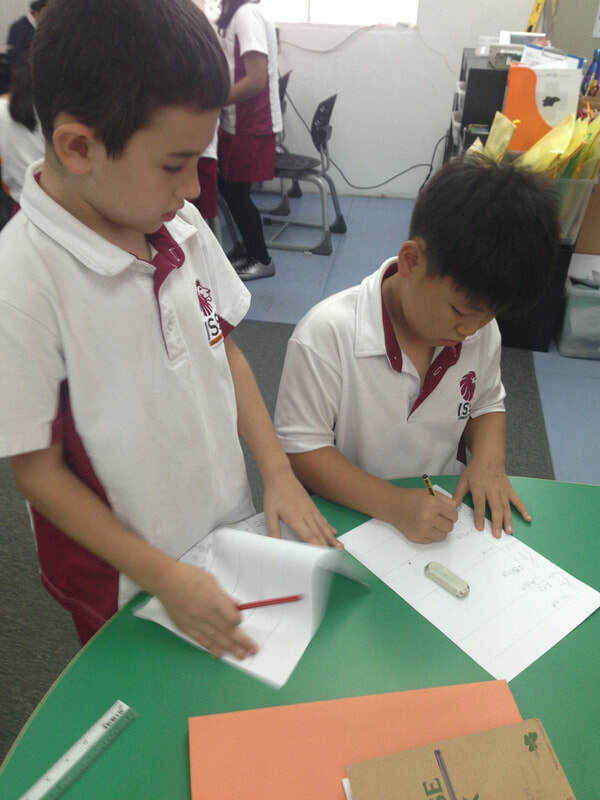 We are learning about my family members and how to describe my family members. 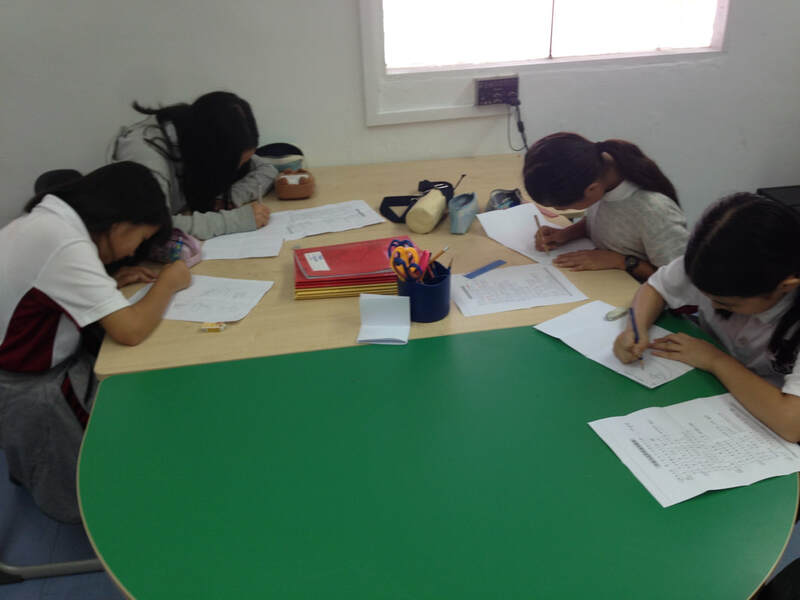 G2 students has learned all of the pinyin. 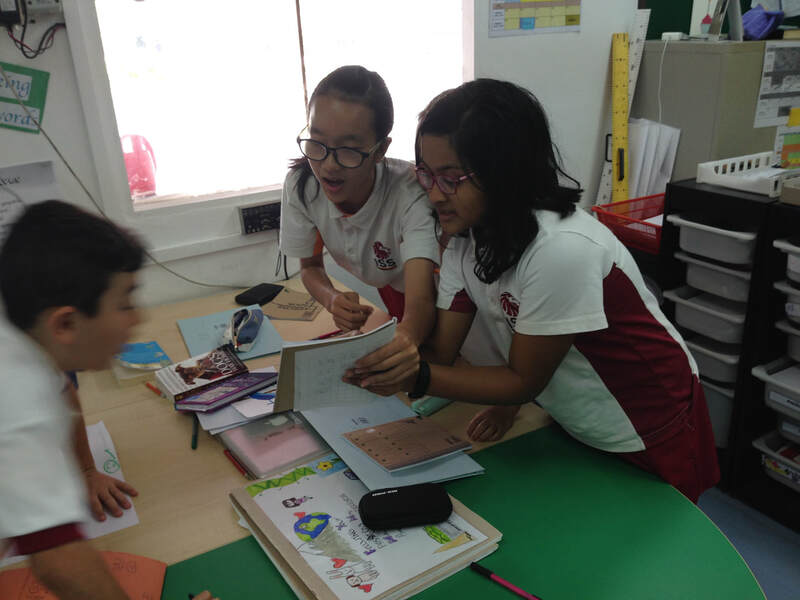 They are going to explore how to use pinyin to communicate. 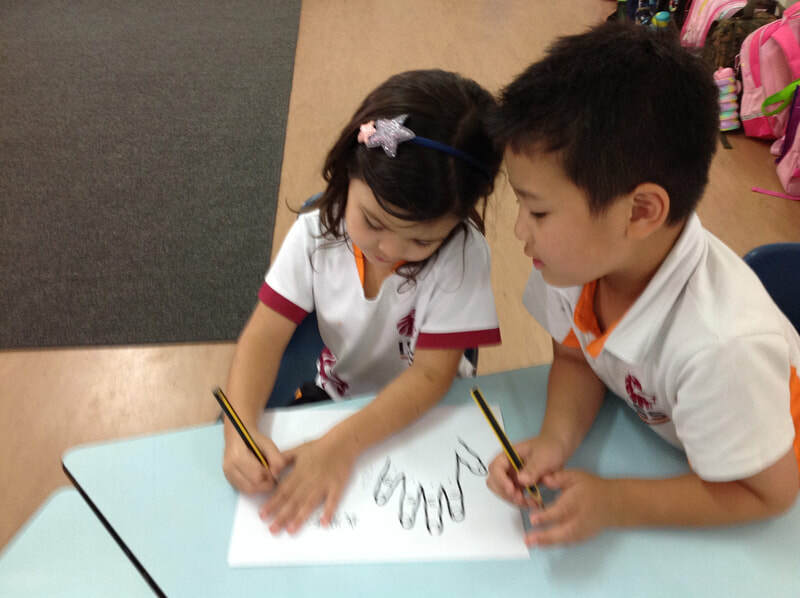 It has been great to see K1 Children reviewed all the words we have learned throughout all the activities. 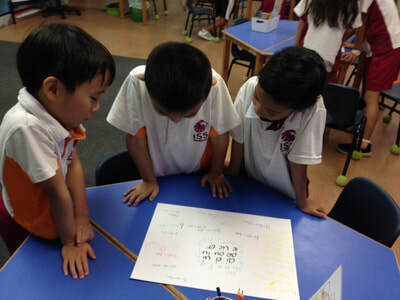 At K2, we shared the story 'wo hui zi ji zuo shi' 《我会自己做事》. We has practiced using the sentence 'wo hui zi ji.....'to express the things I can do by myself. 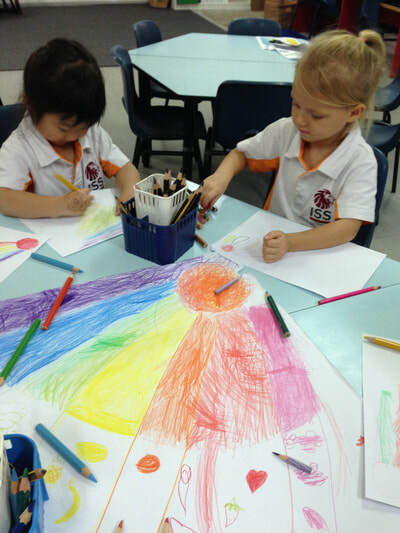 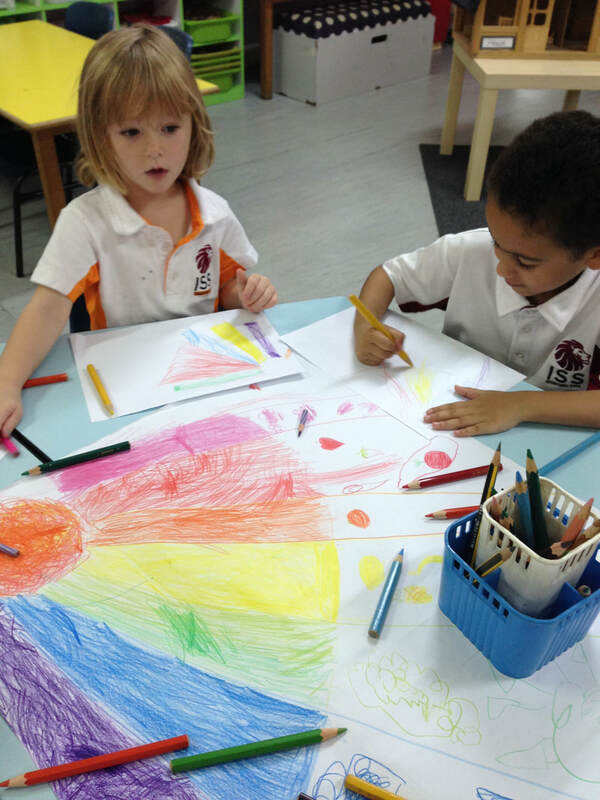 G1 students have explored to use colour to describe the things. 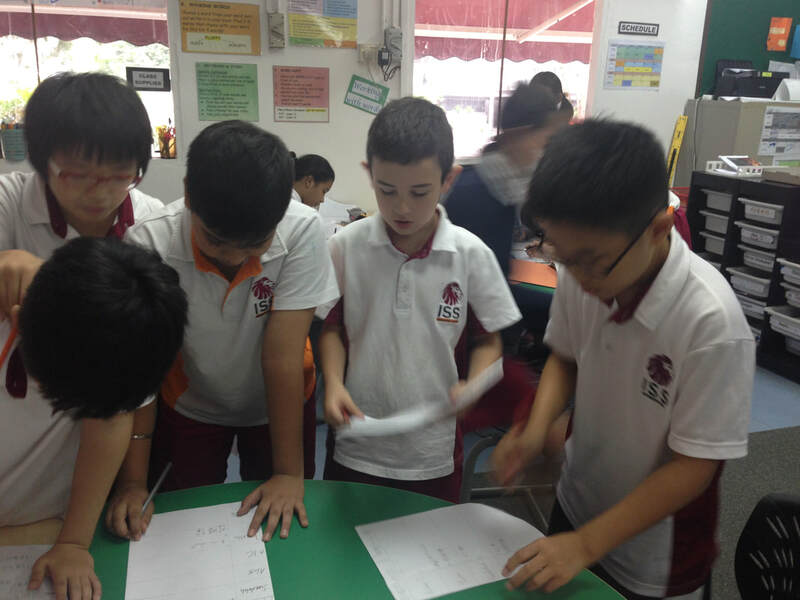 G2 students have explored using simple finals to make a compound finals. 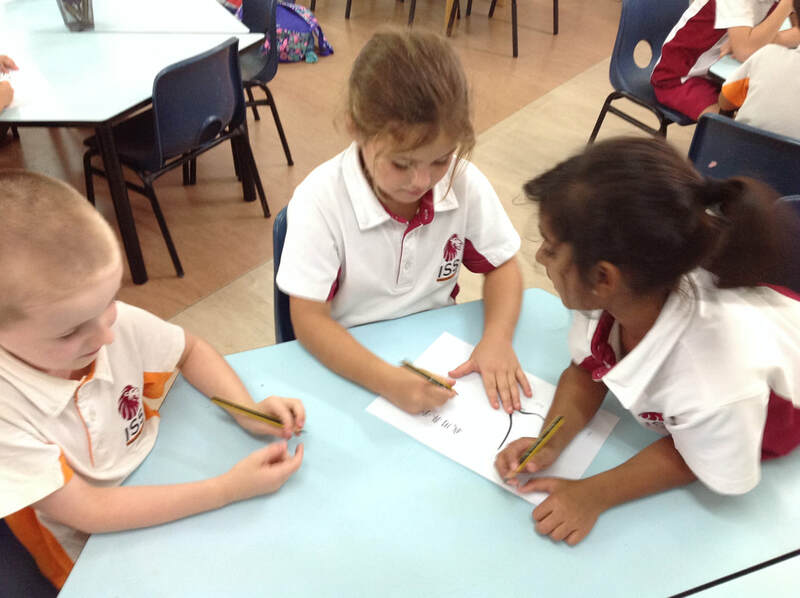 G3 has focused on describing a person this week. 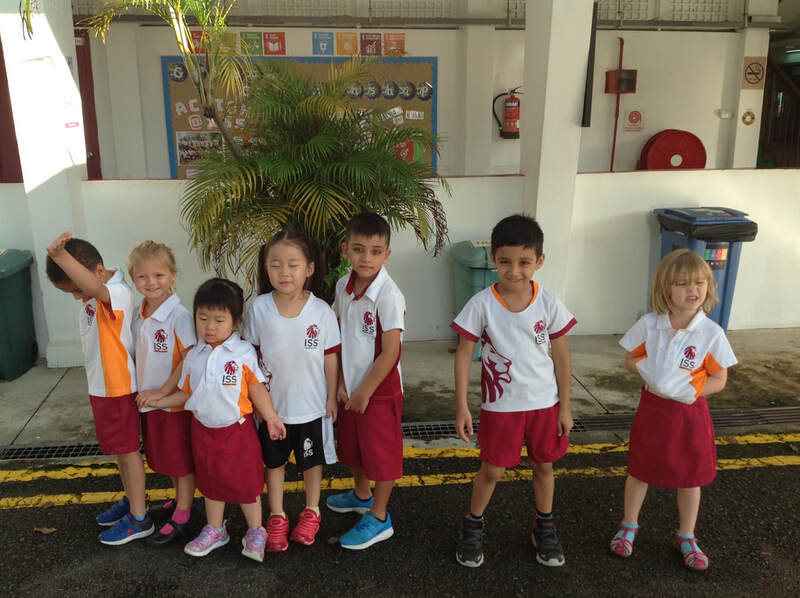 K1 Children Please bring a family photo on Monday. 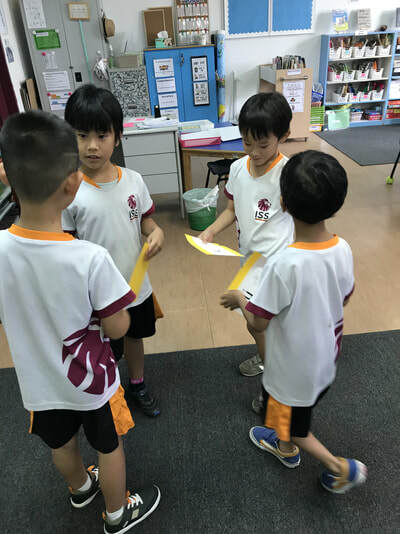 We going to talk about our family. 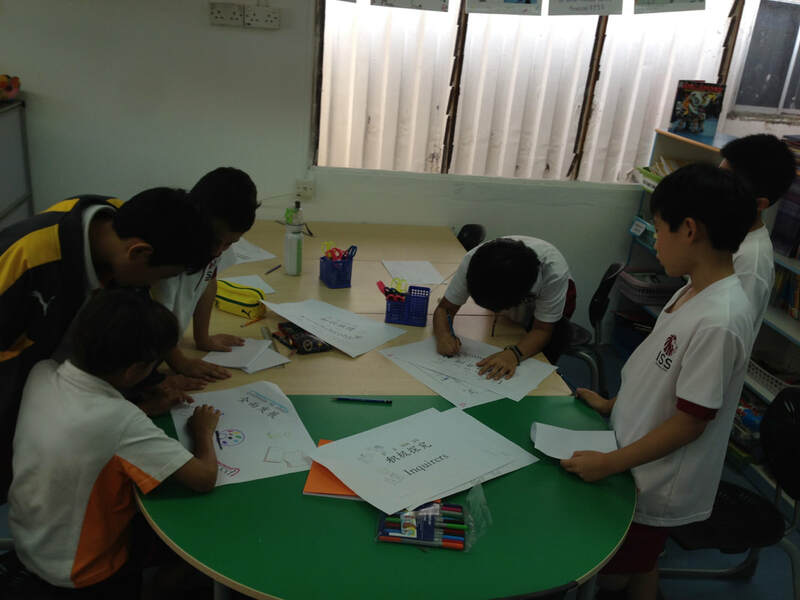 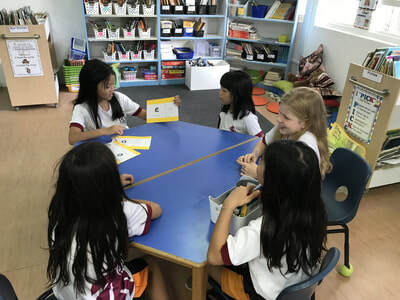 G4 students has started to do free reading in Mandarin class. 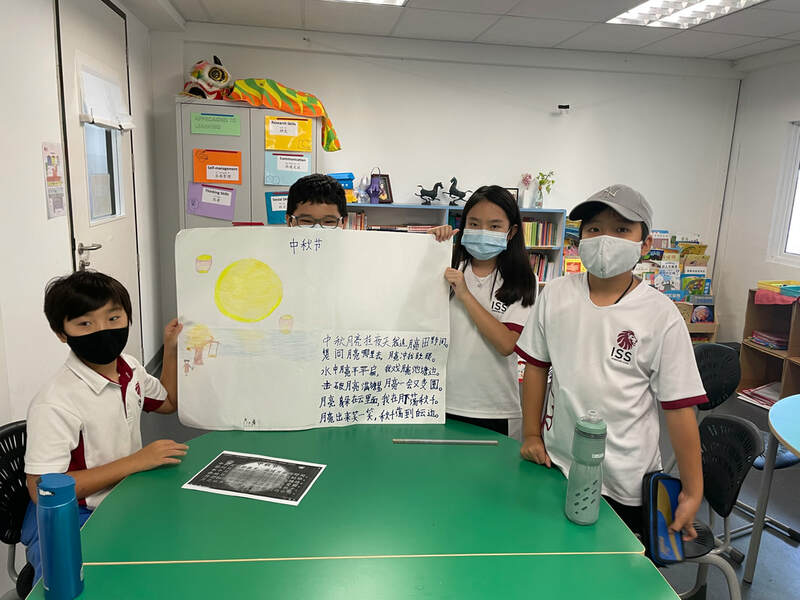 G5 Students read the story-'wang zi yu shi zi' 《王子与狮子》. 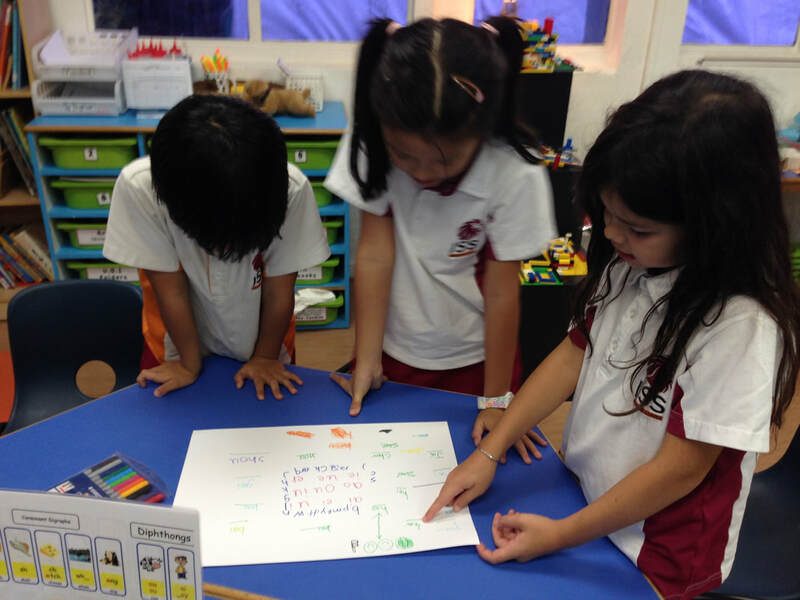 They made a poster to show their understanding of the story. 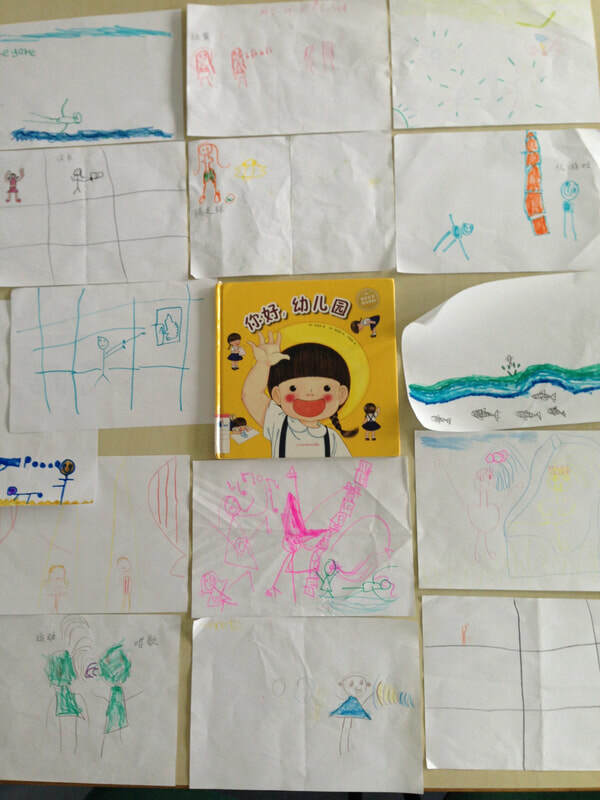 I shared the book, 'ni hao， you er yuan' 《你好， 幼儿园》, with K2 children. 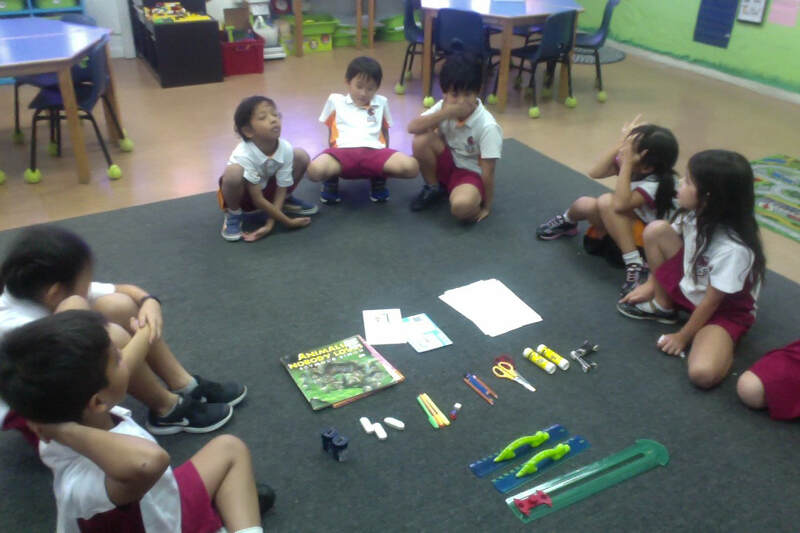 We discussed about what do we want to learn at school. 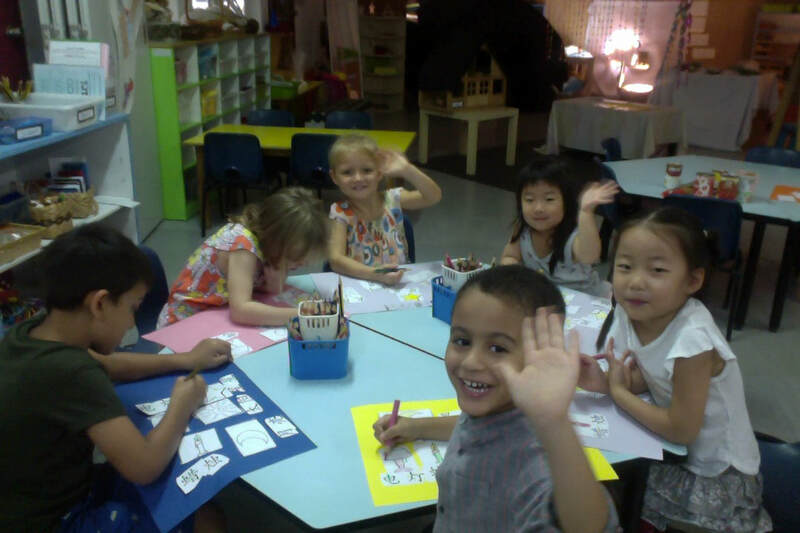 Unit 1 Week 2 Welcome back to ISS. 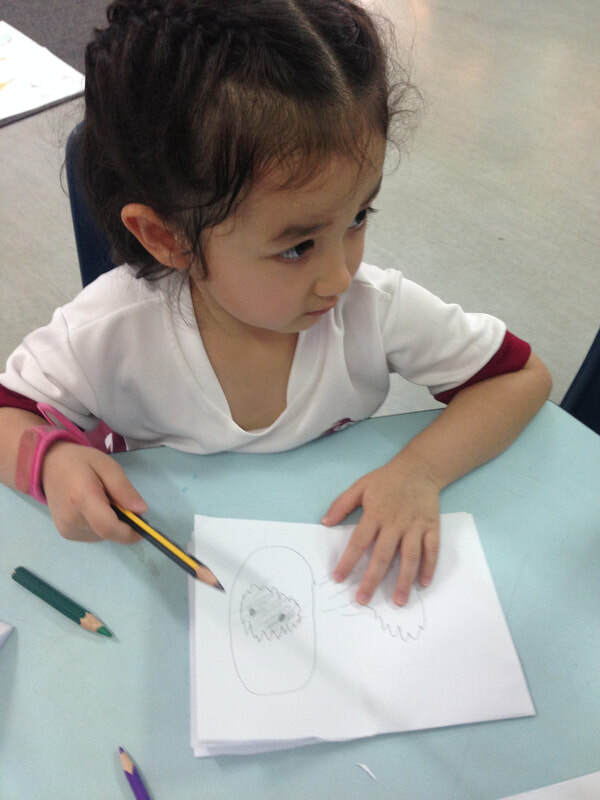 We learned the vocabulary about our face: tou fa, yan jing, bi zi, zui ba, er duo. 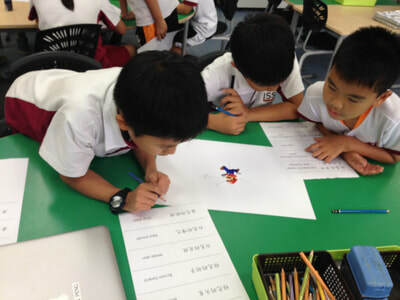 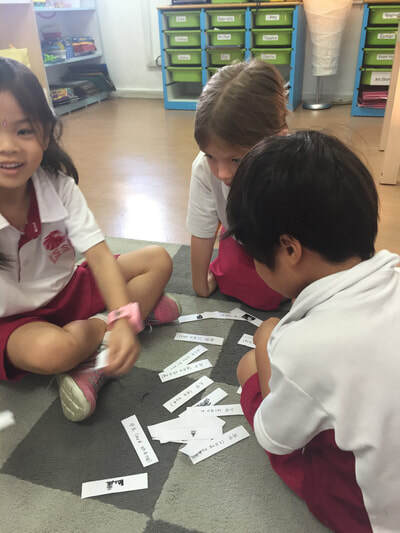 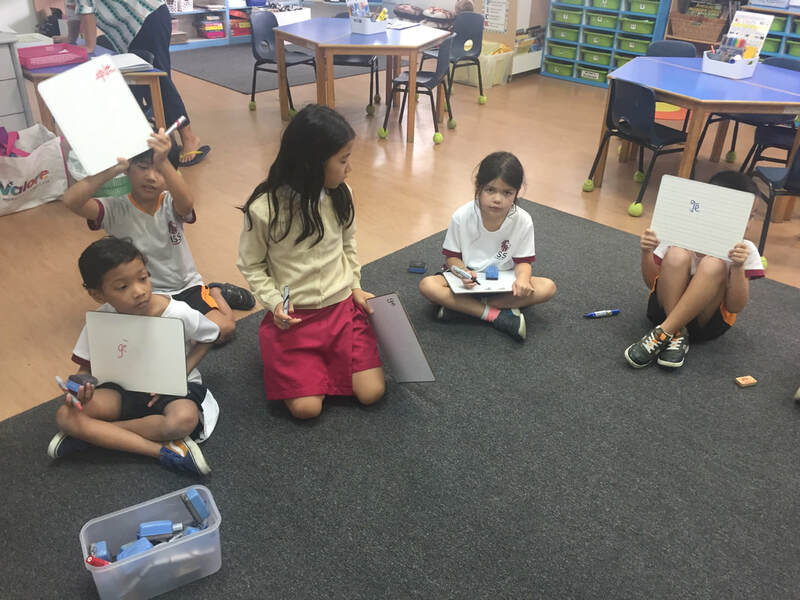 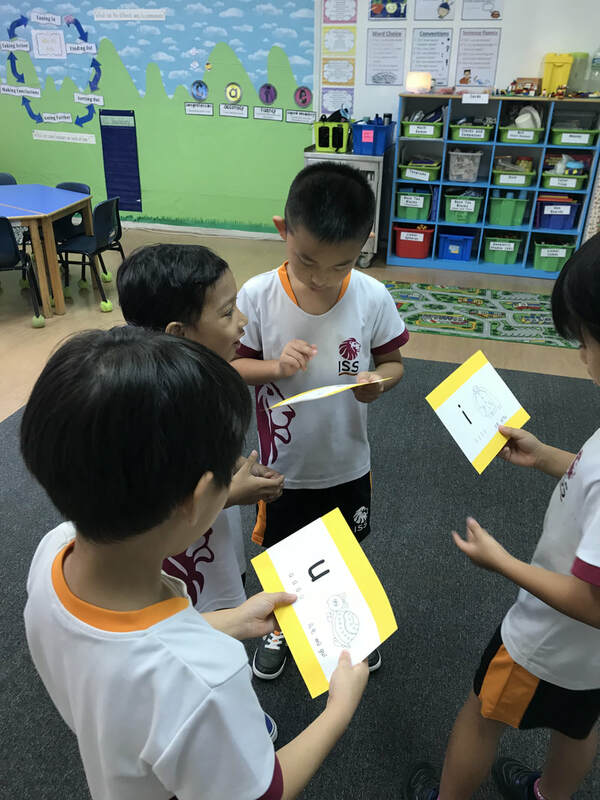 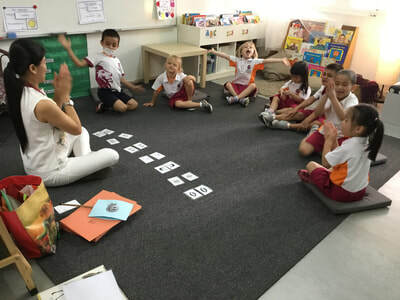 G2 students explored Hanyu Pinyin in Mandarin class. 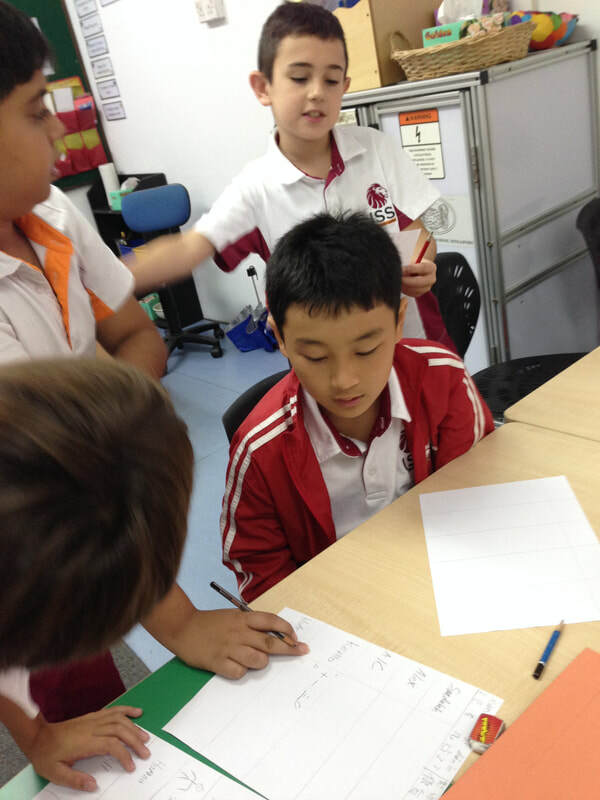 Our native speakers helped their friends read the Pinyin. Students shared their understanding of Learner profiles.